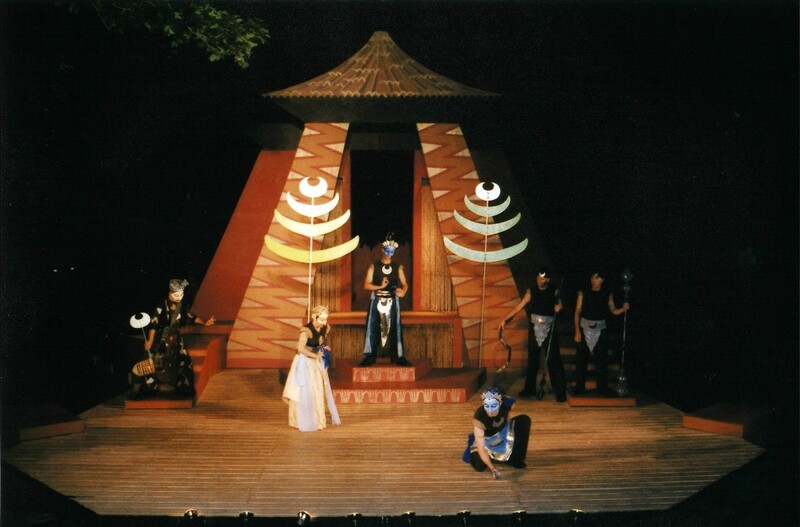 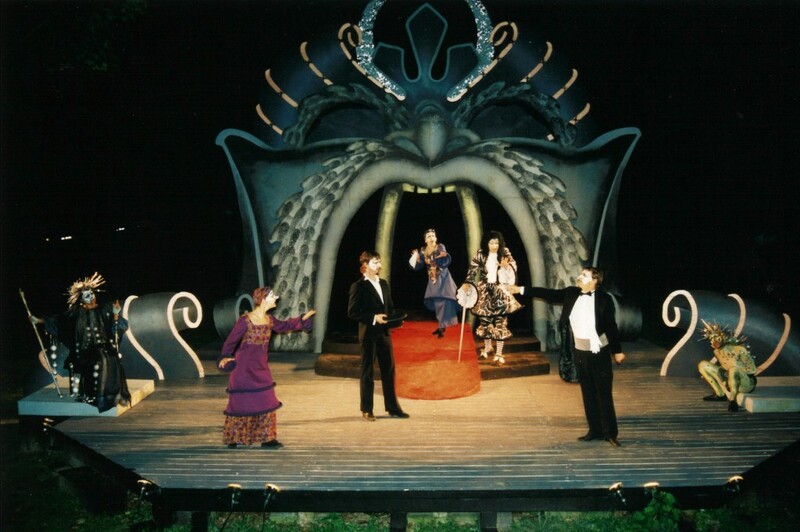 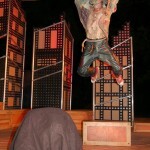 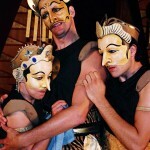 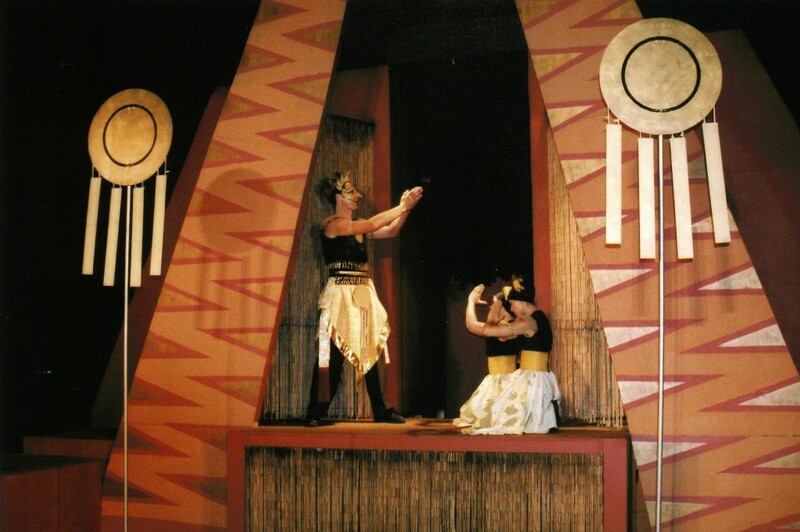 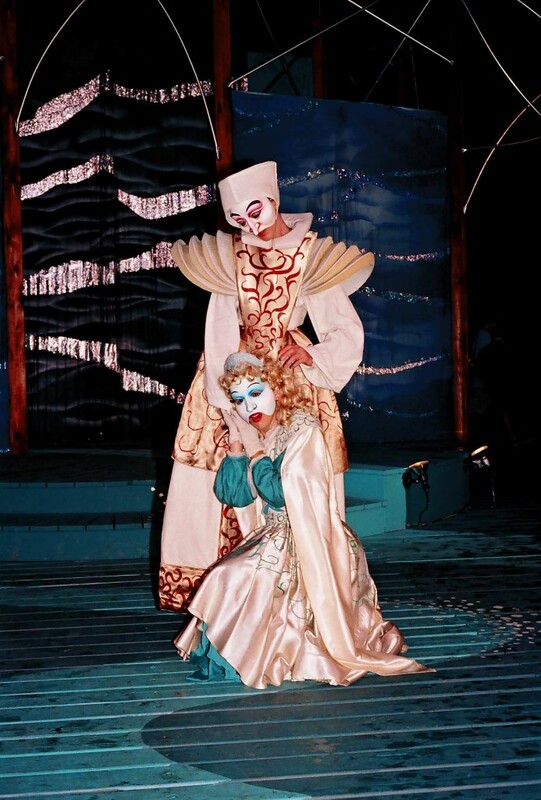 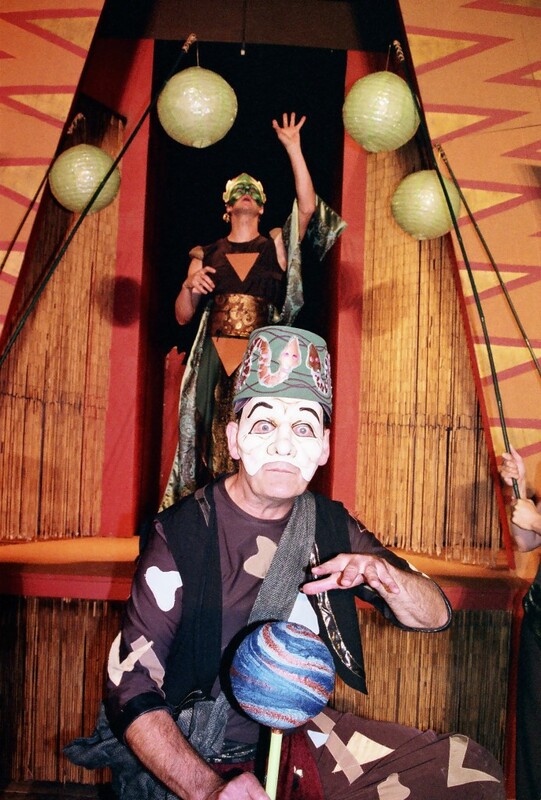 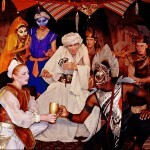 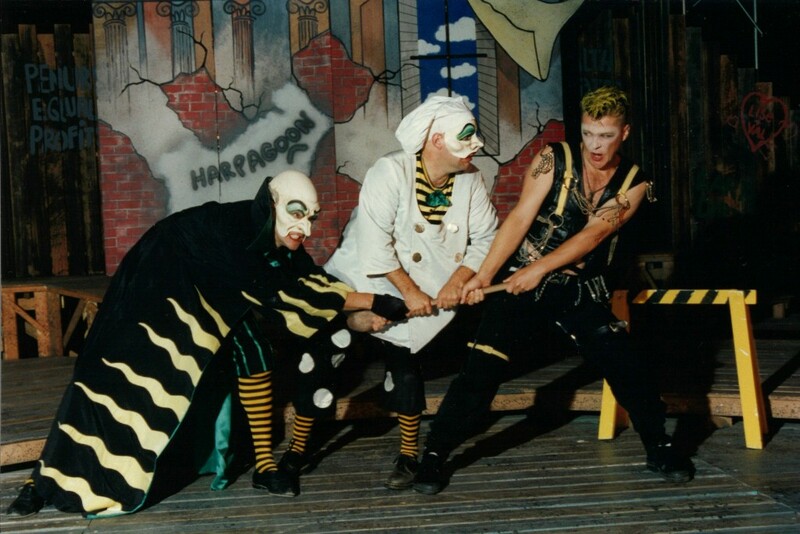 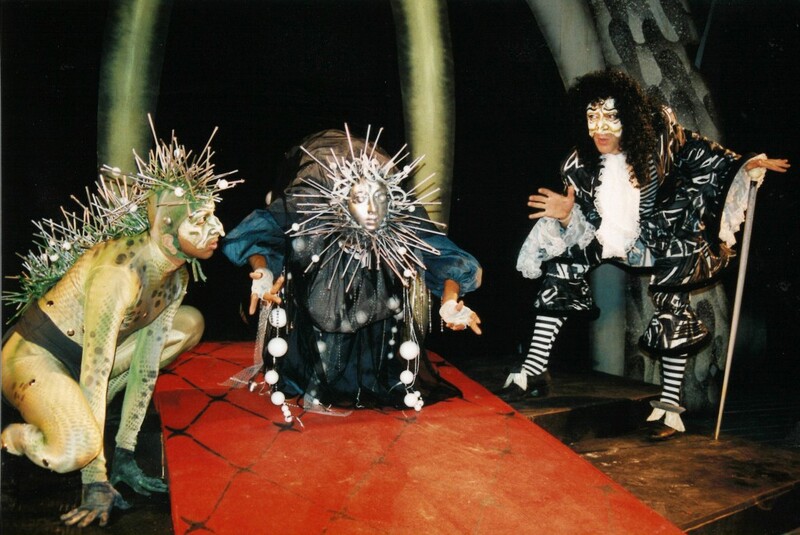 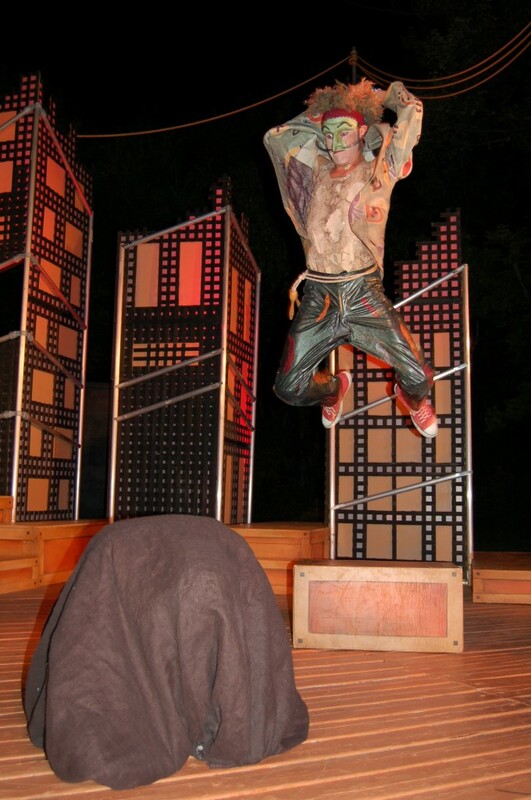 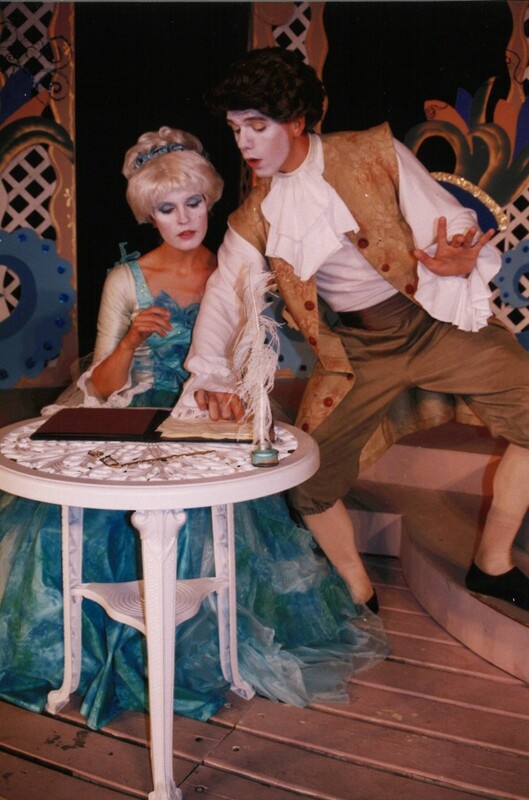 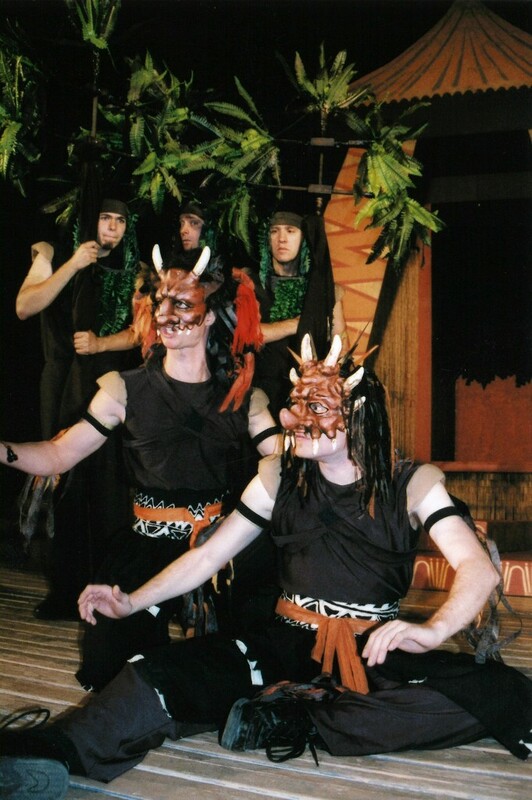 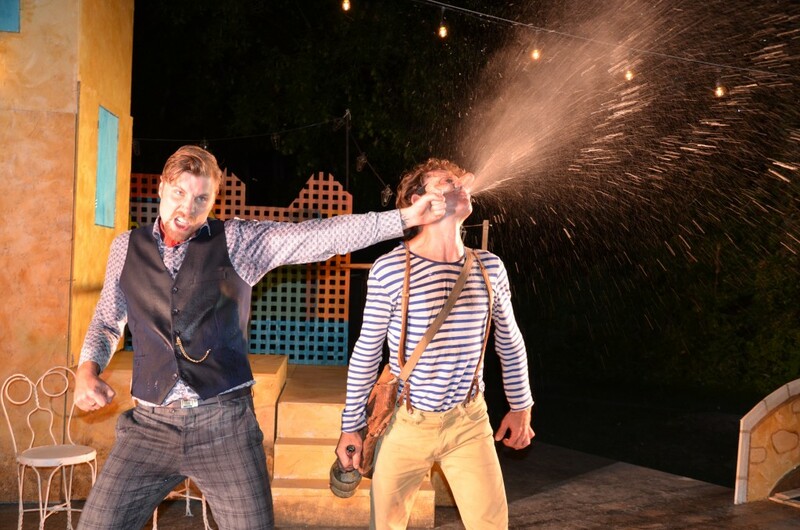 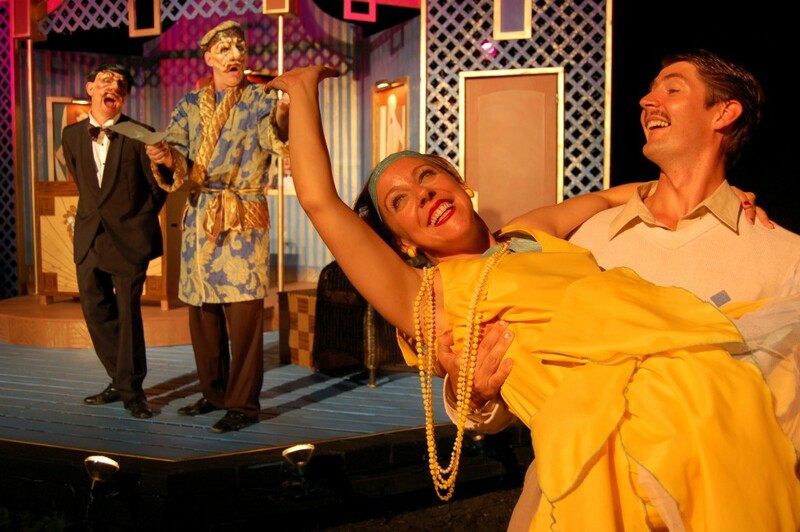 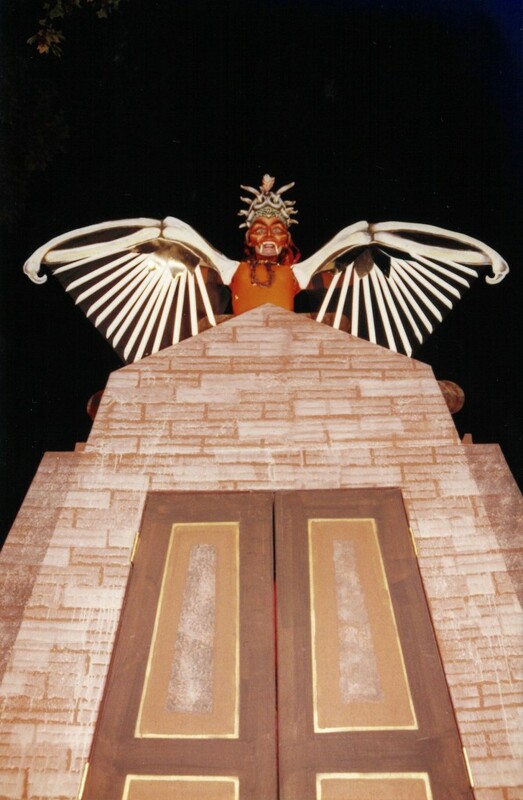 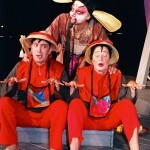 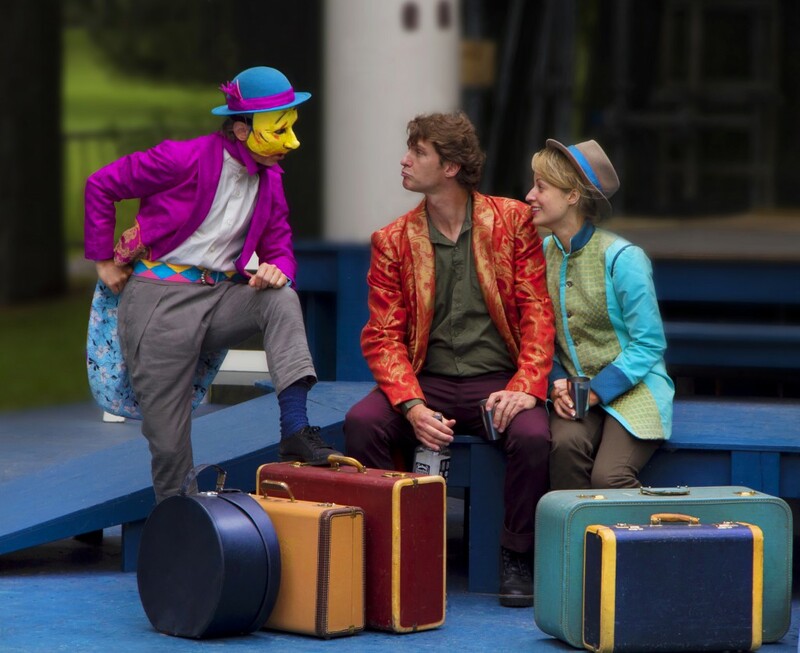 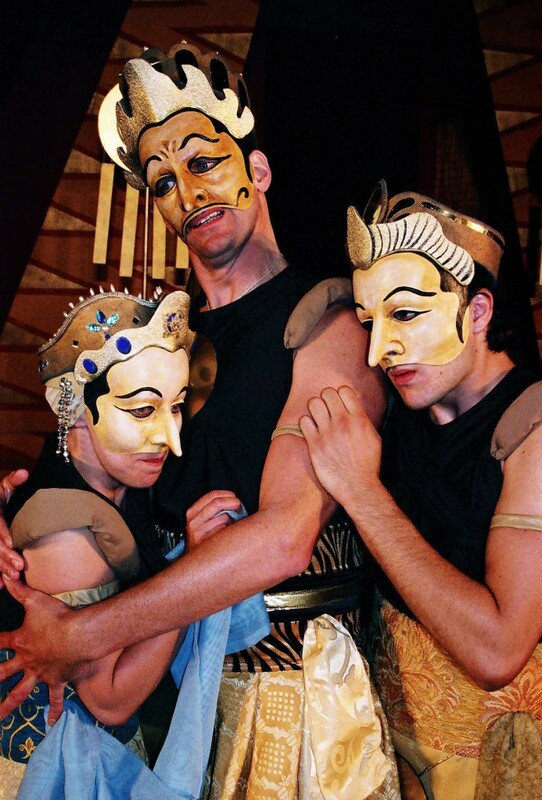 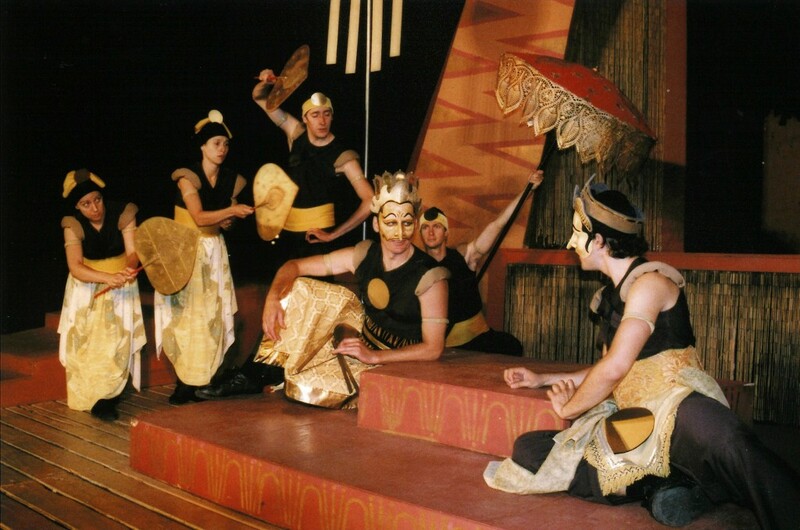 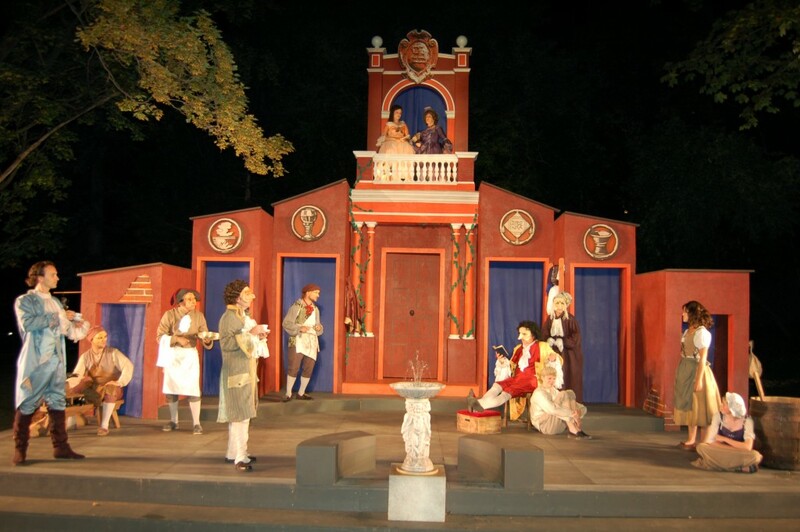 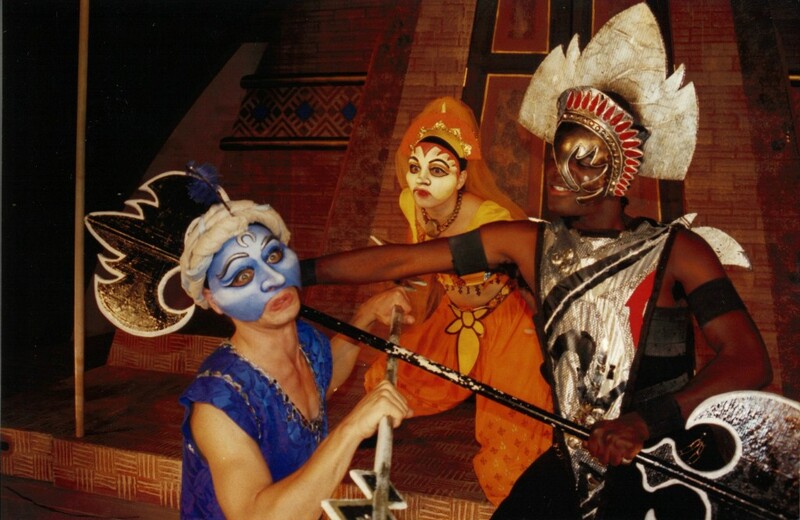 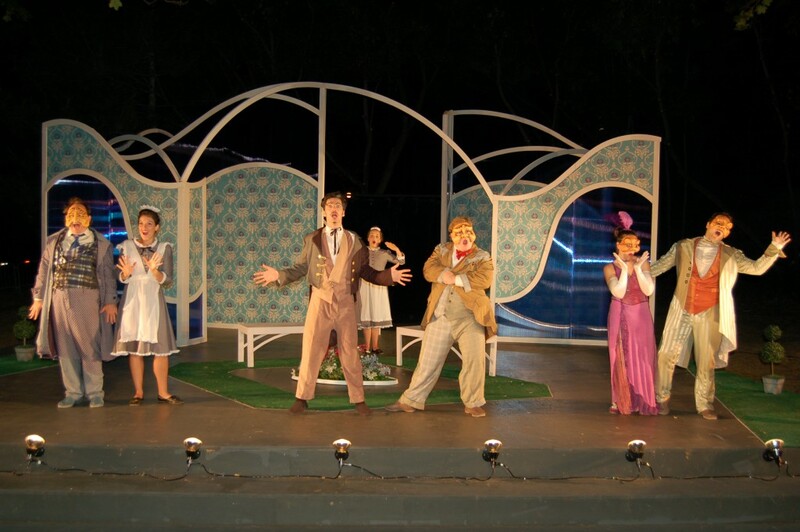 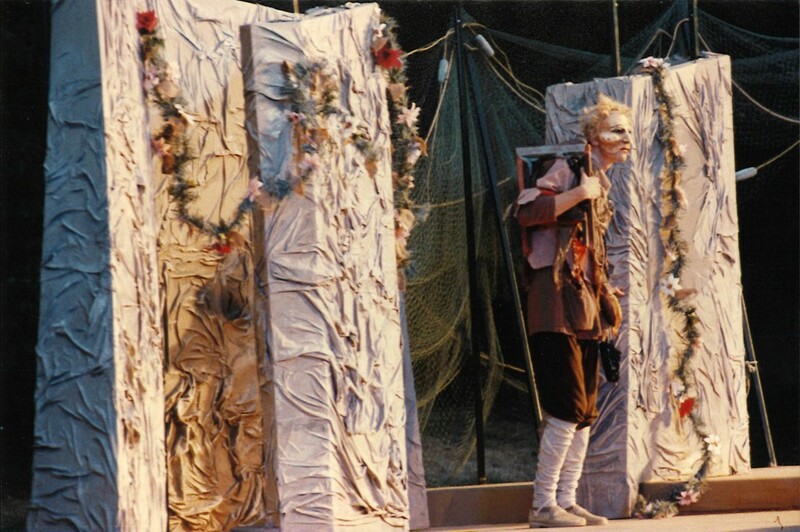 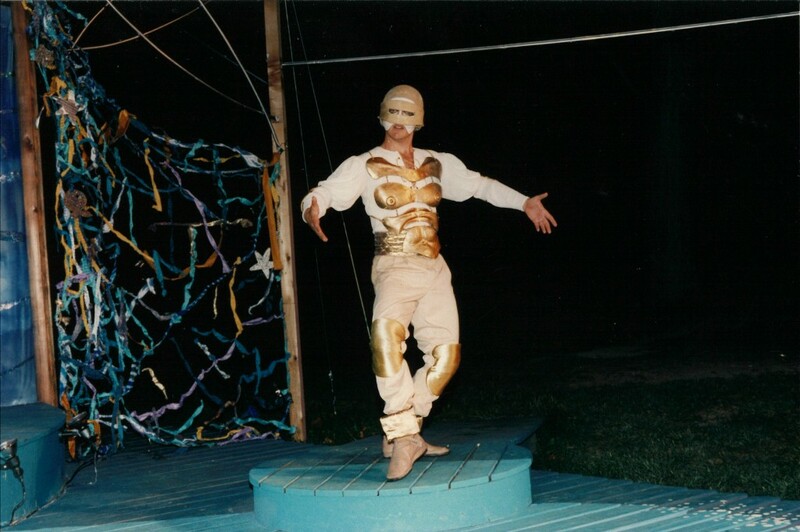 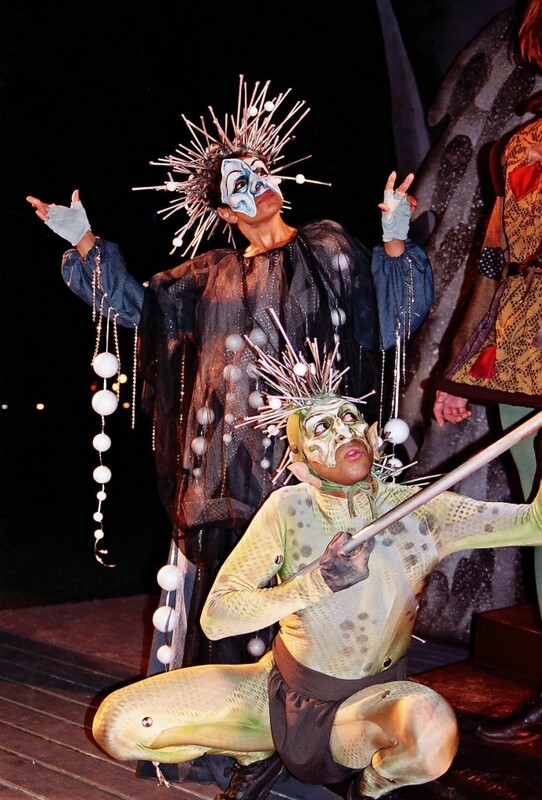 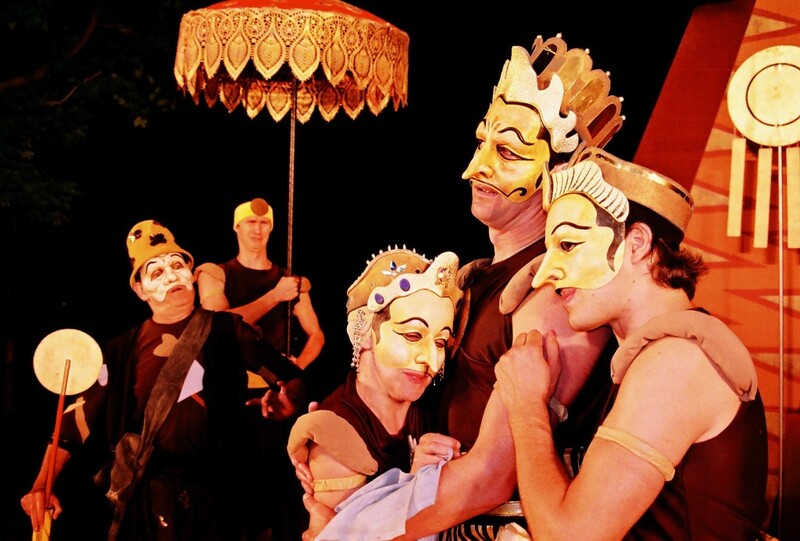 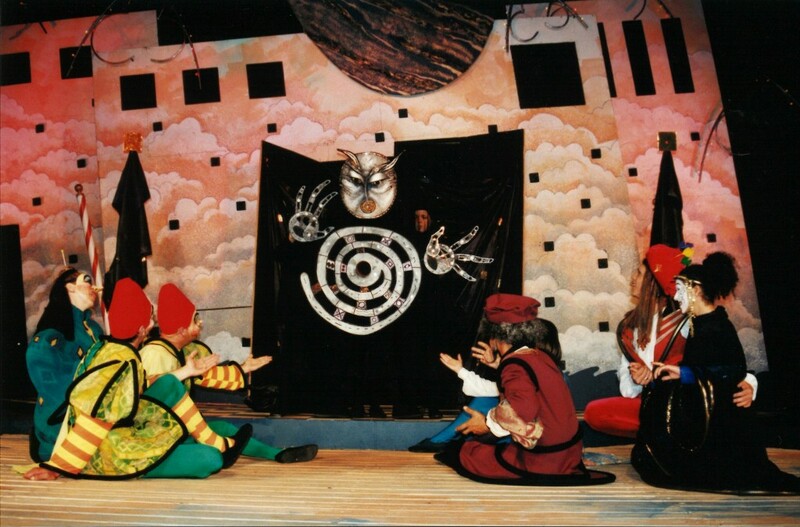 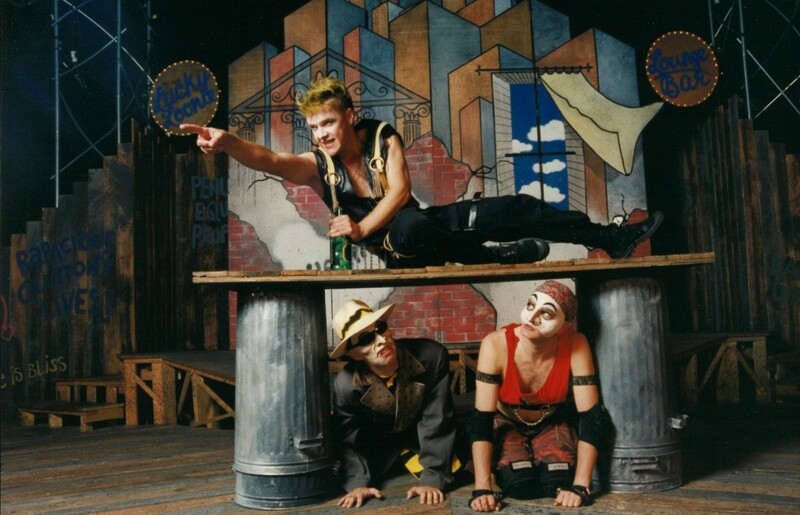 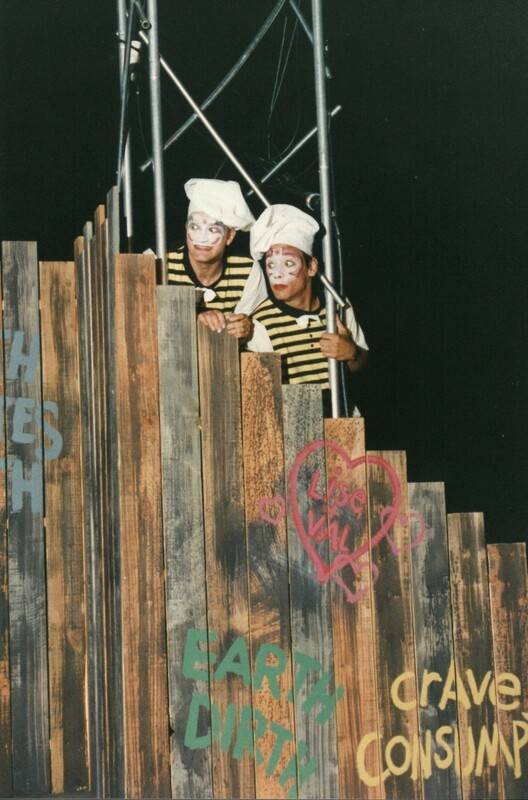 Odyssey has been staging its Theatre under the Stars since 1986. 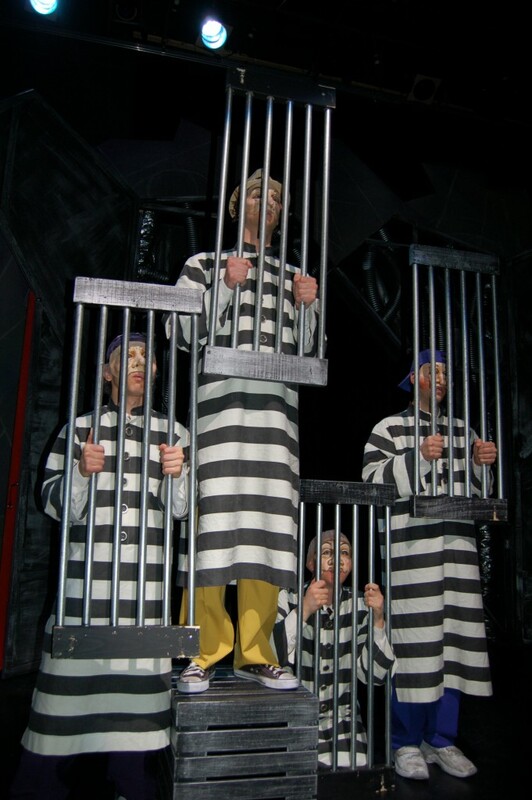 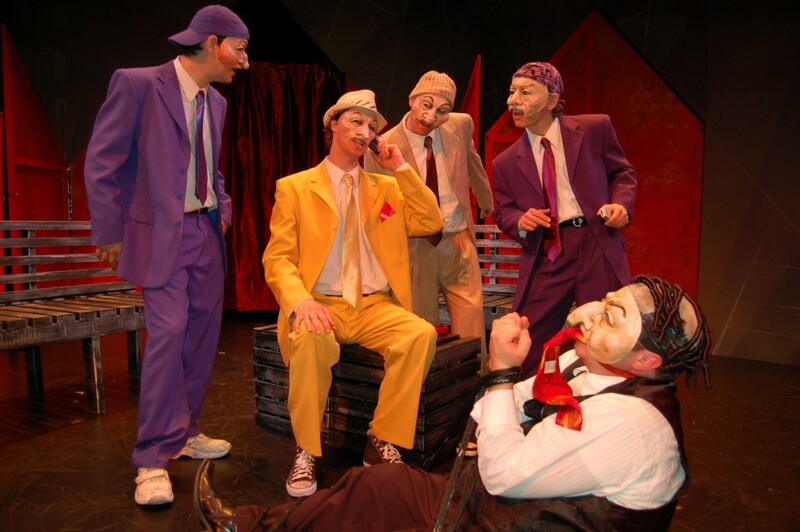 Explore our work through a glimpse at some of our most memorable past productions, including our first indoor production, A Guy Named Joe, in 2009. 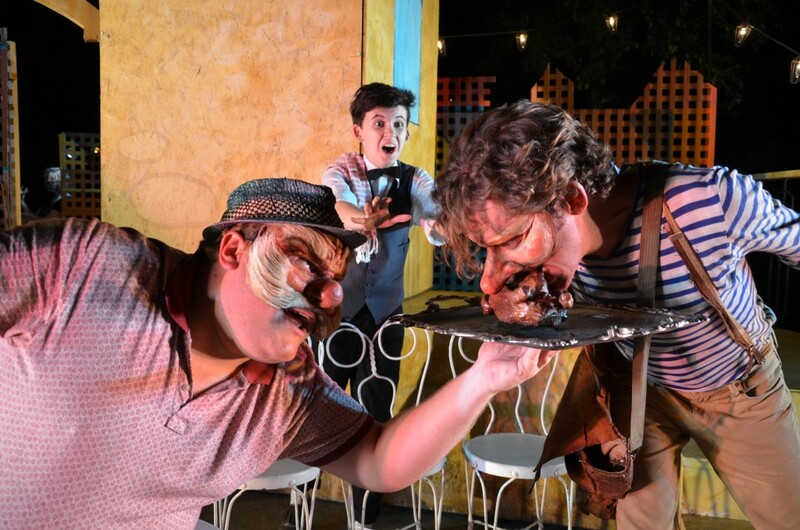 In this rollicking comedy, the savvy and perpetually hungry servant Truffaldino concocts a scheme to double his wages (and his meals) by serving two masters at once. 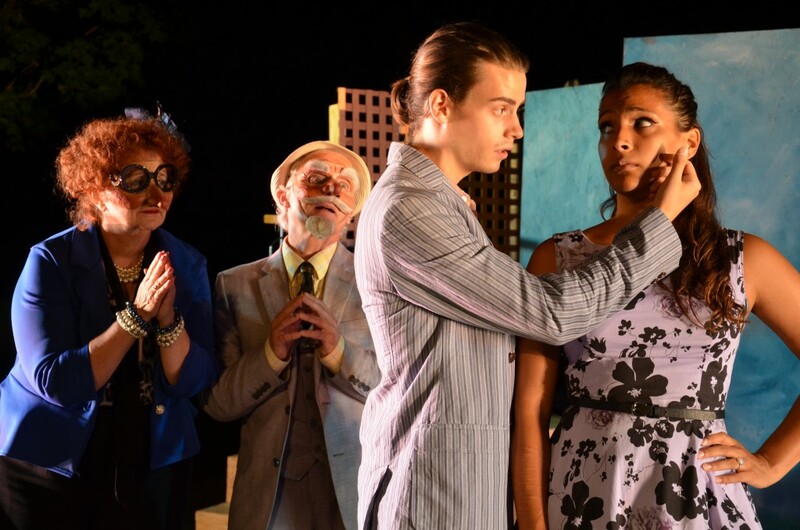 Cast Jesse Buck, Sean Sullivan, Lynne Griffin, Dana Fradkin, Maryse Fernandes, Adam Sanders, Zack Council, Sara Finn, Joshua Wiles. 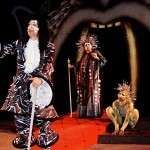 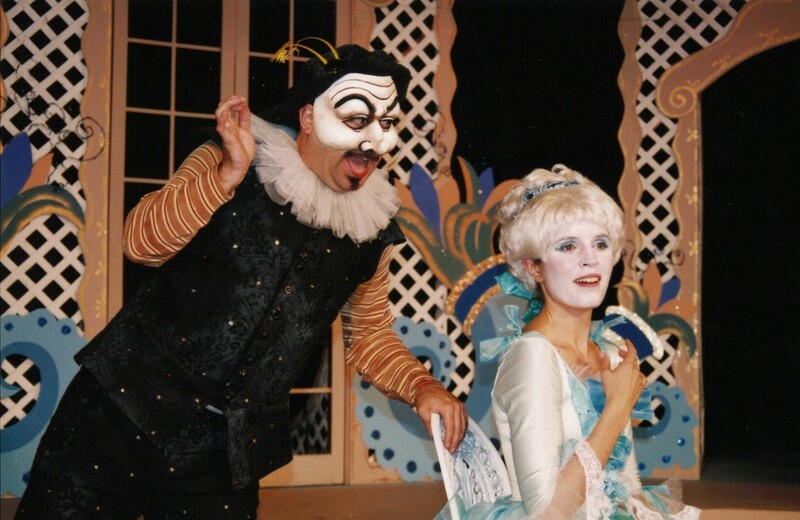 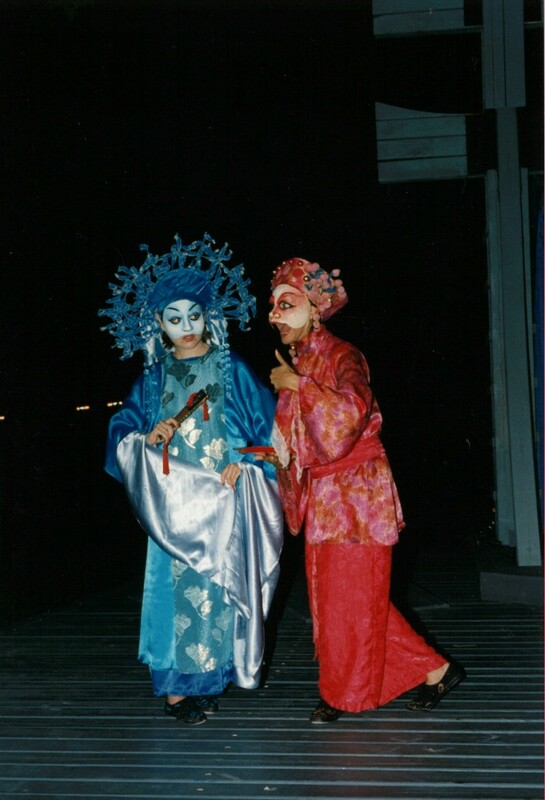 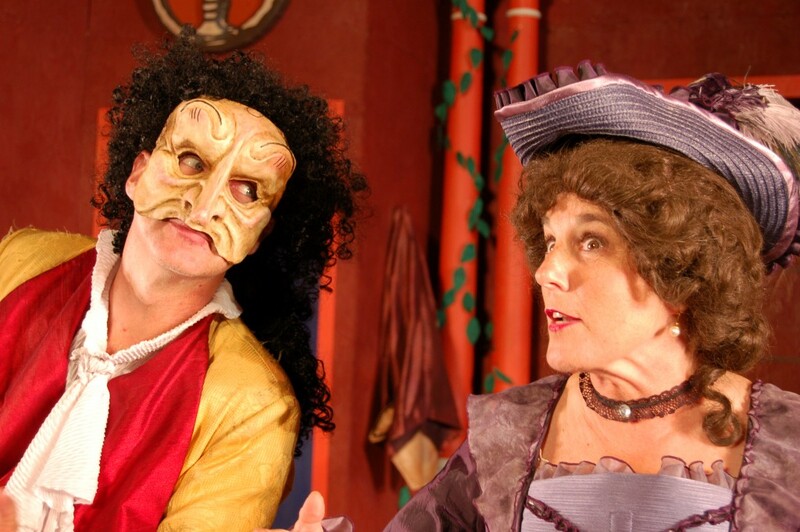 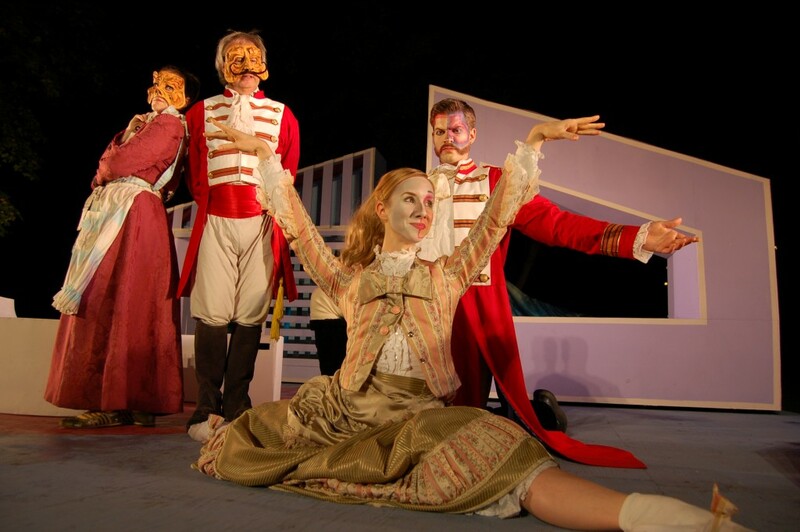 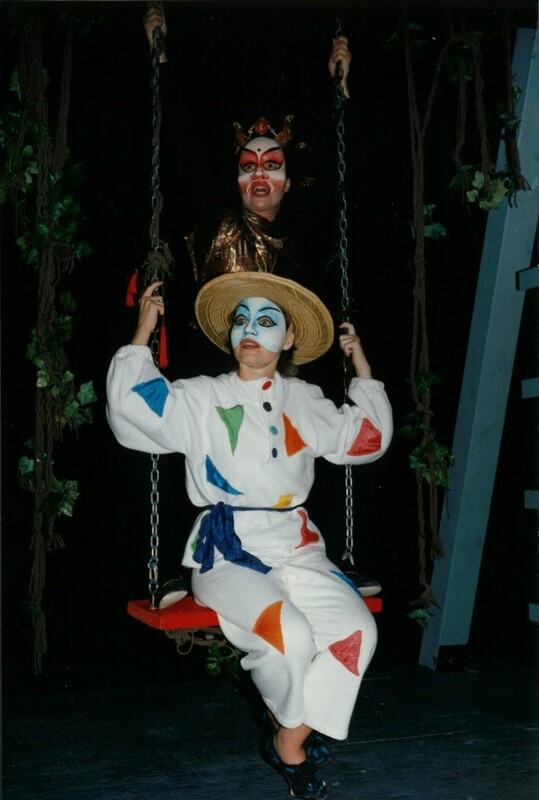 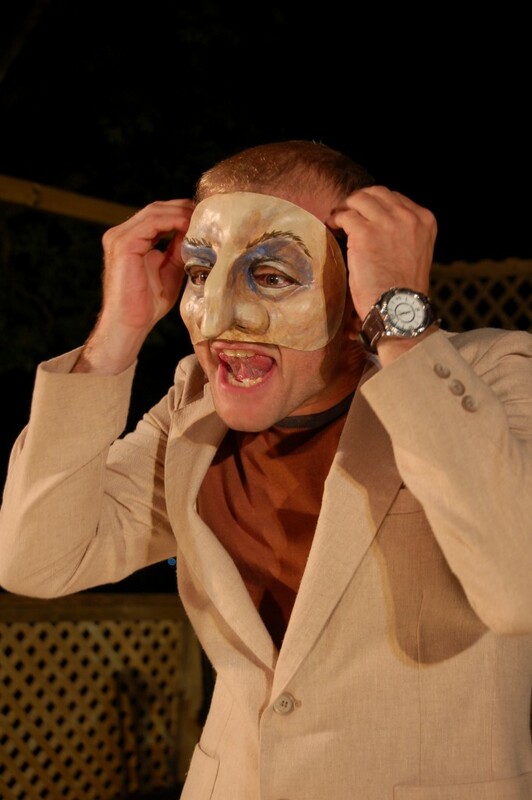 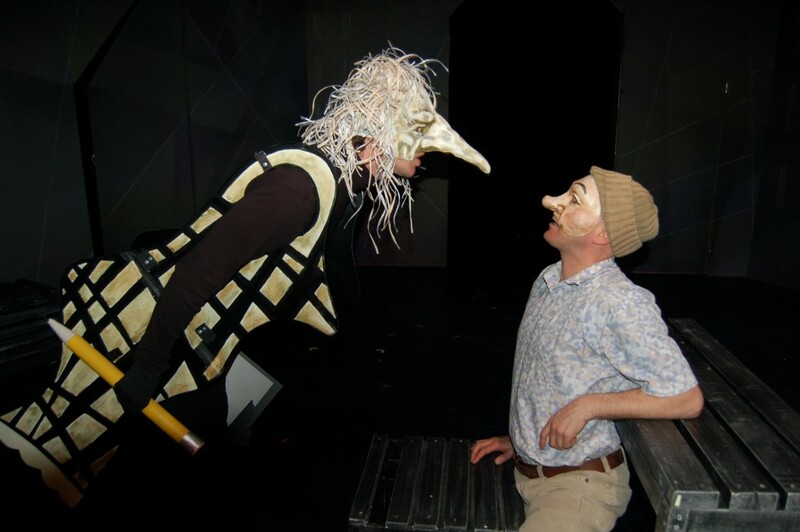 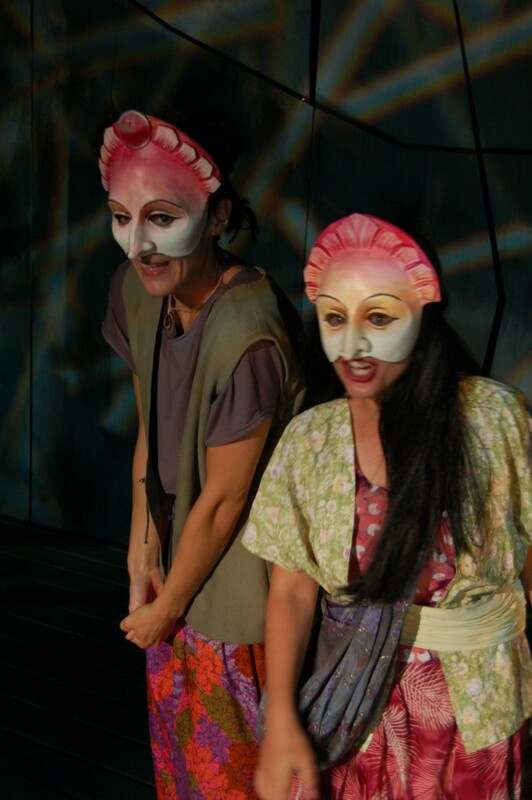 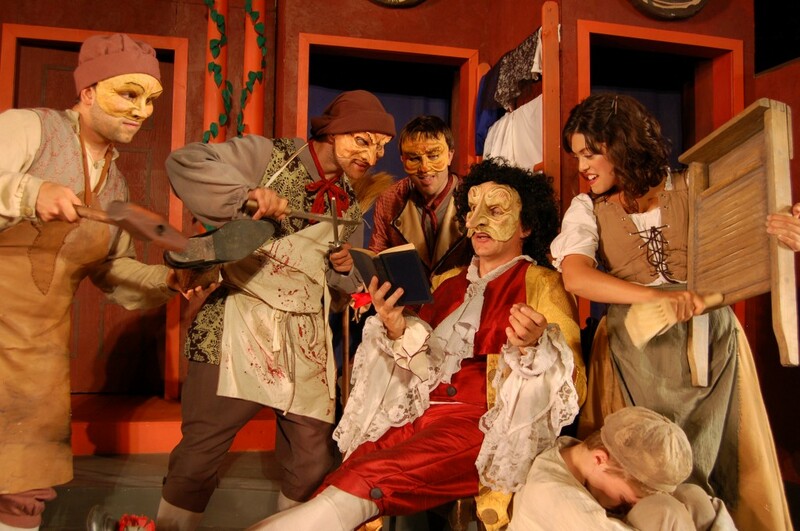 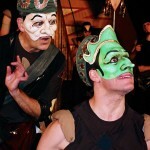 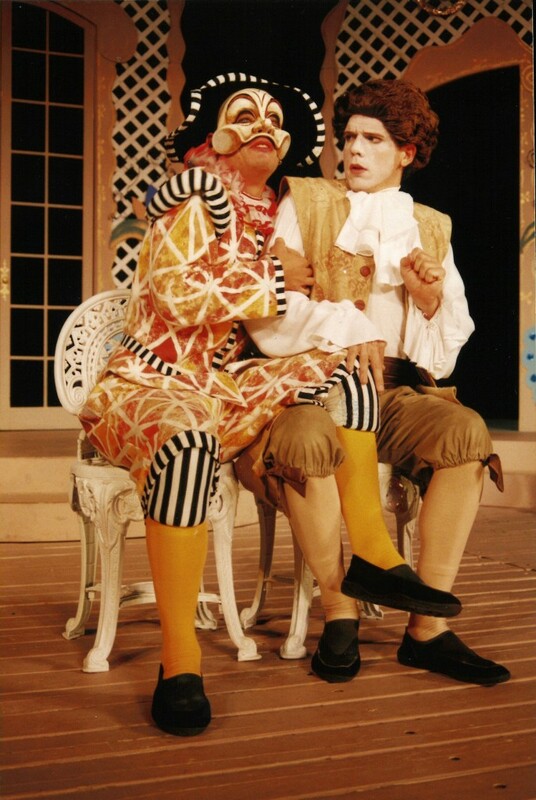 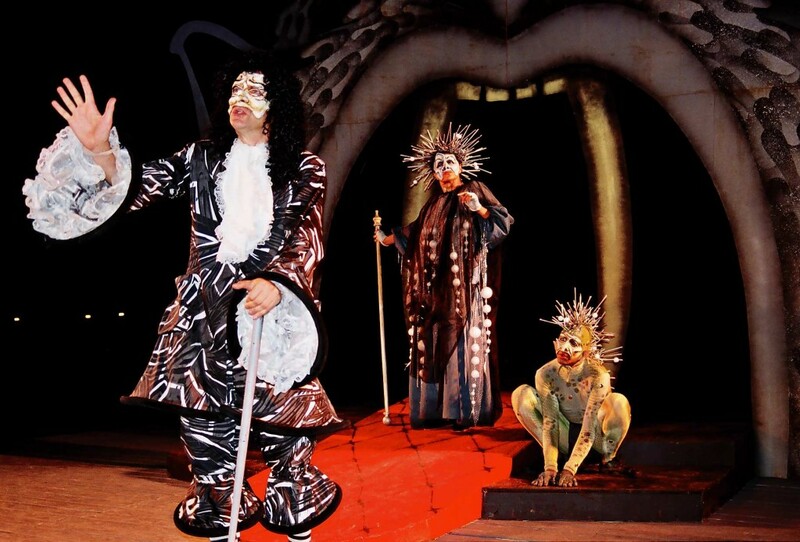 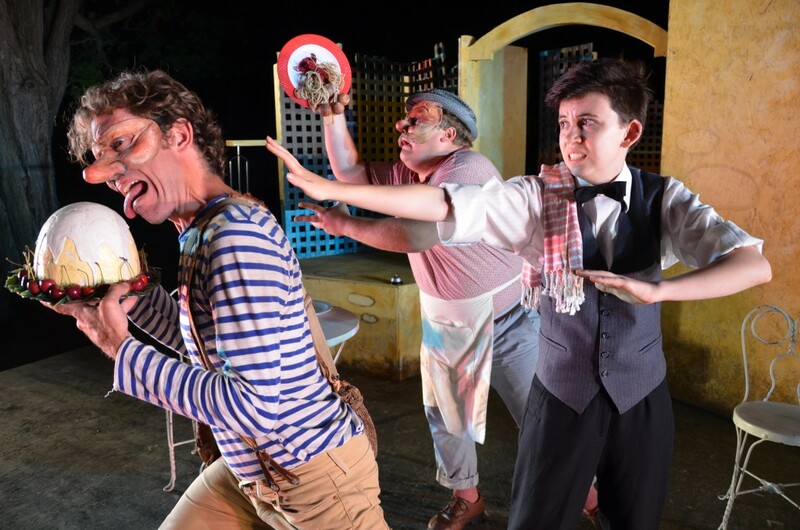 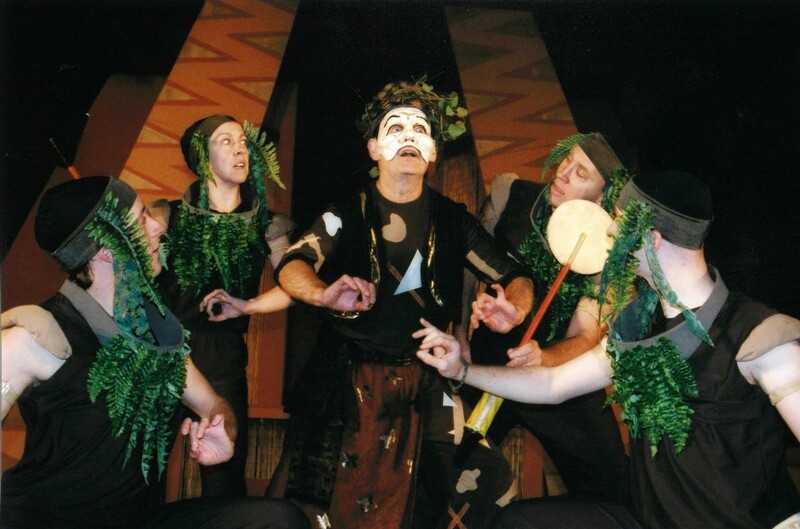 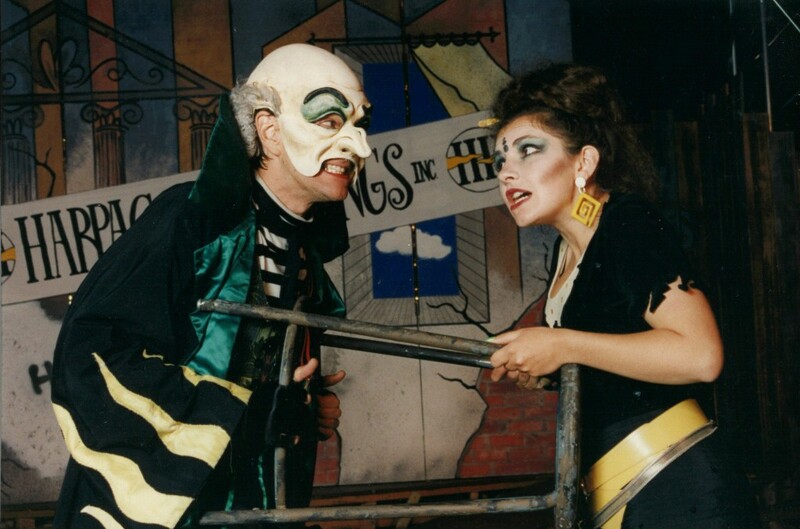 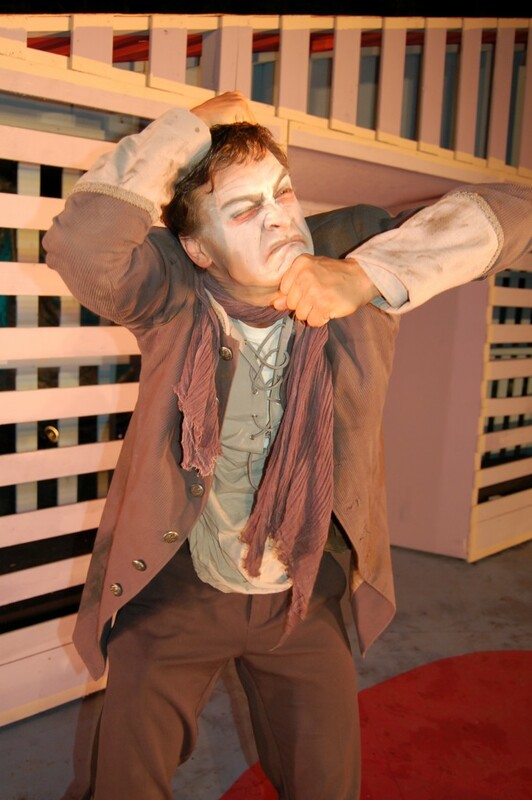 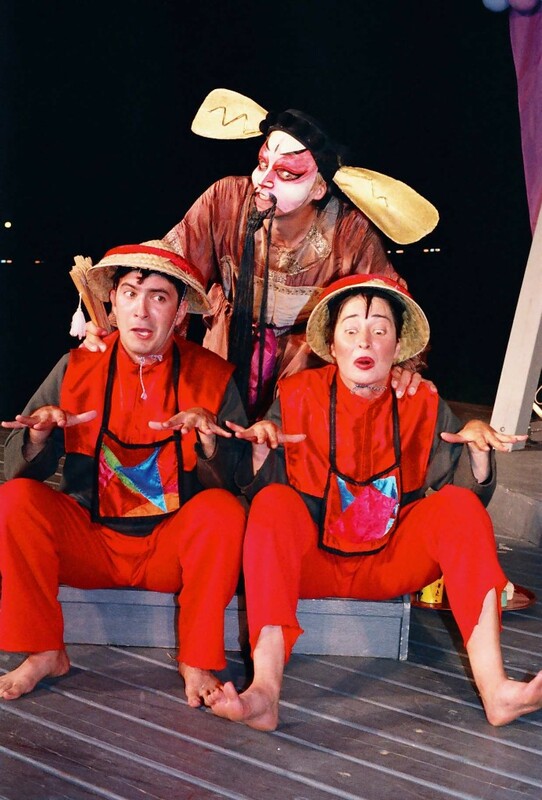 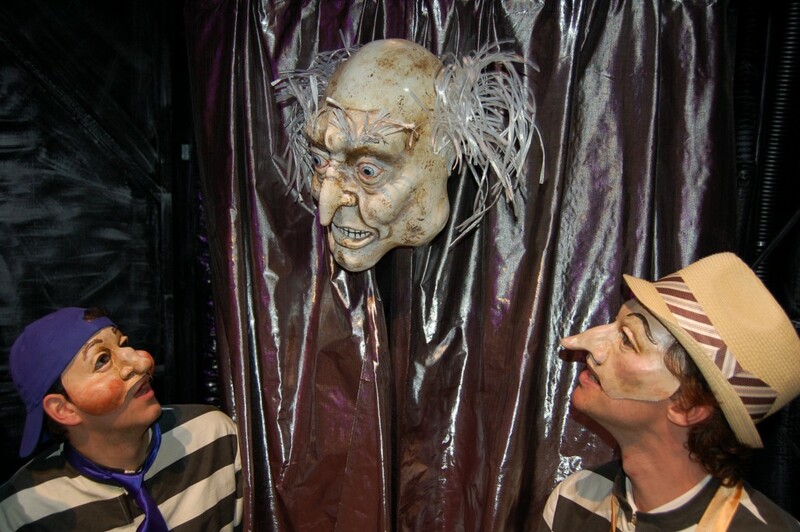 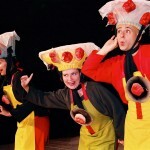 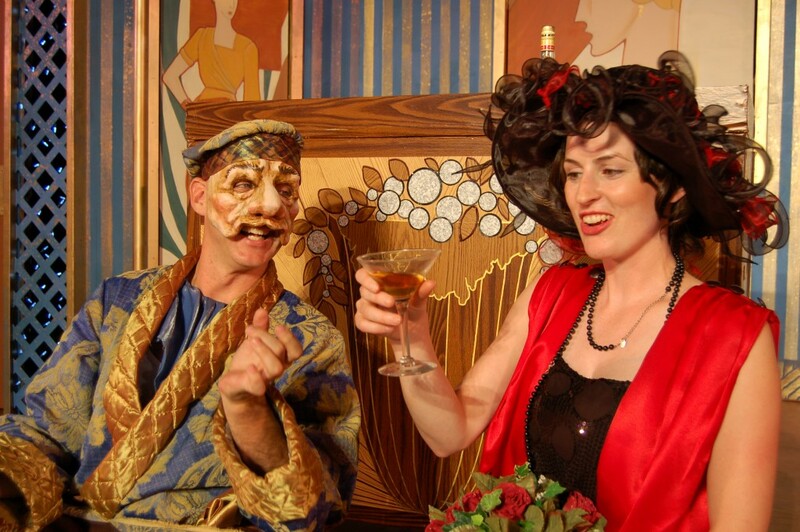 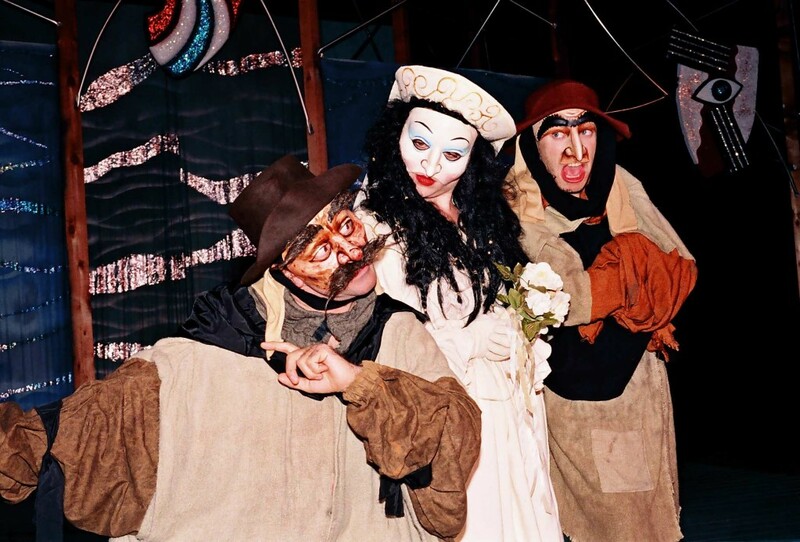 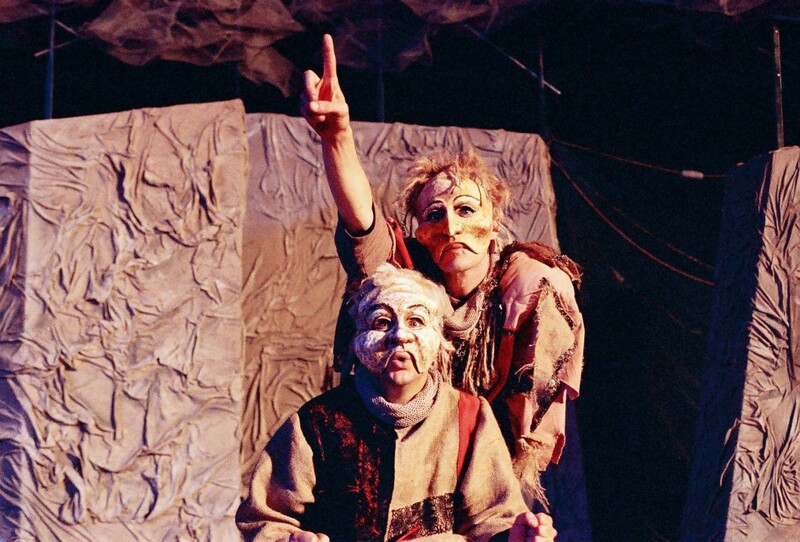 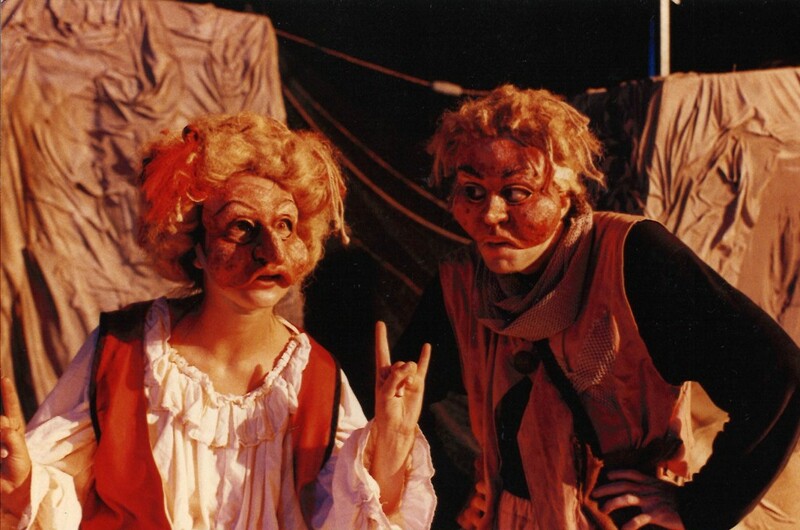 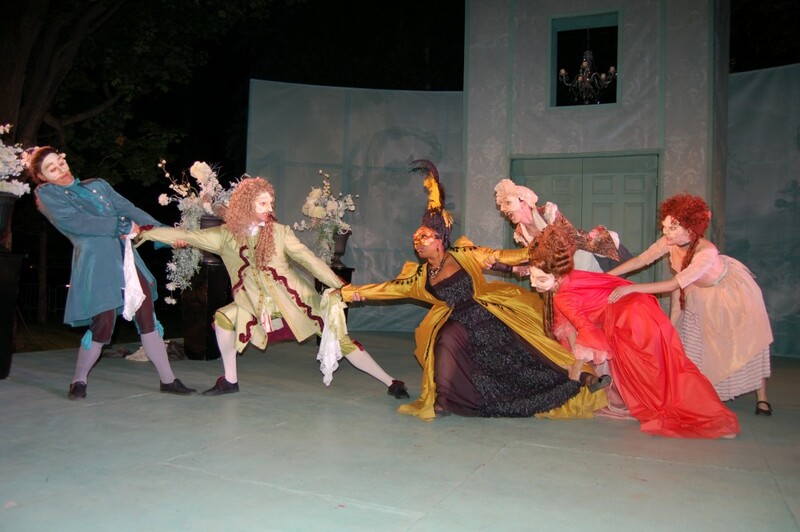 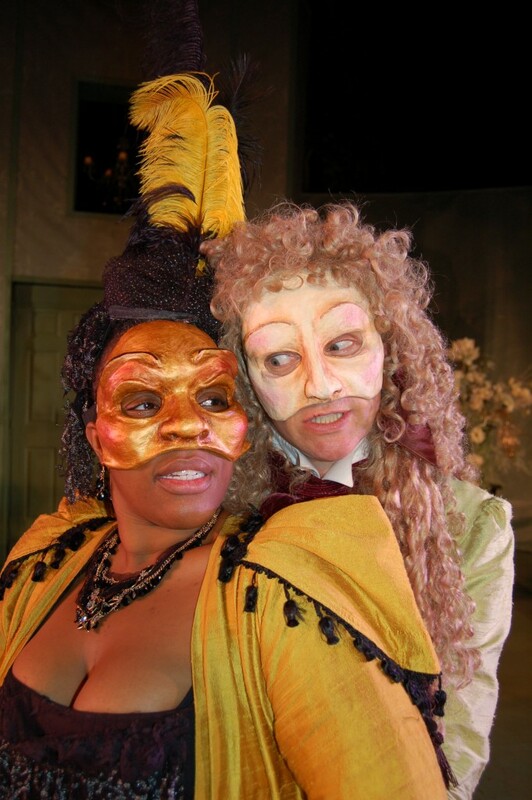 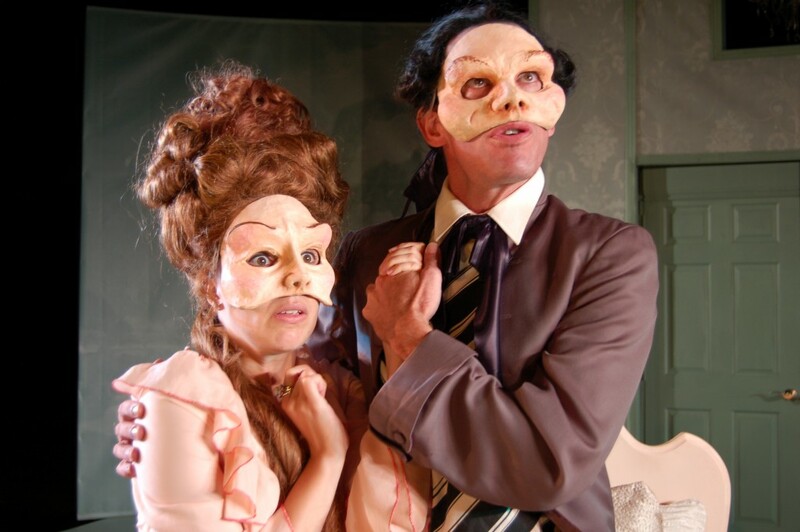 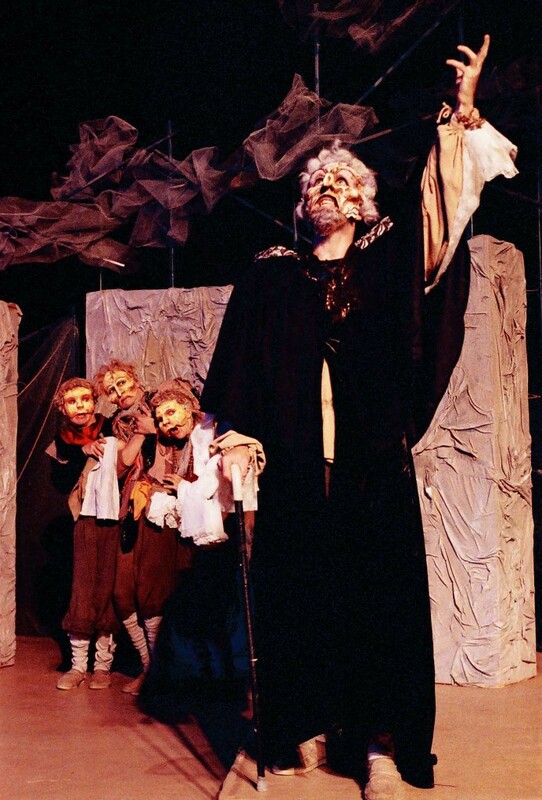 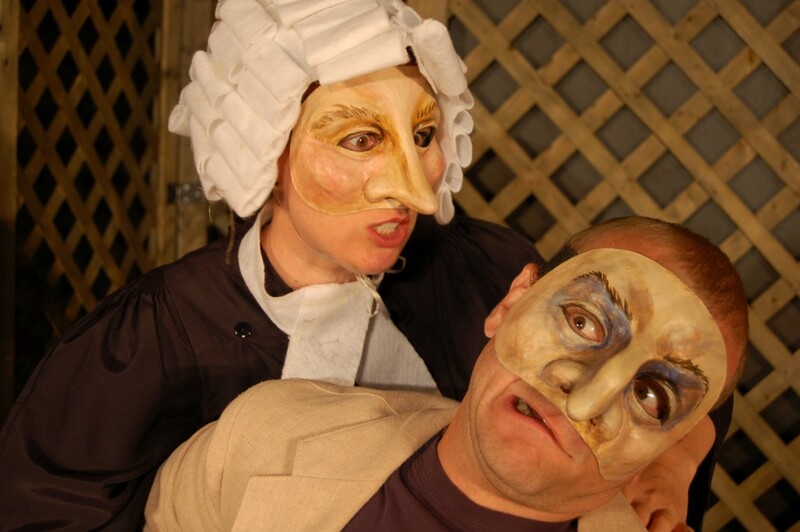 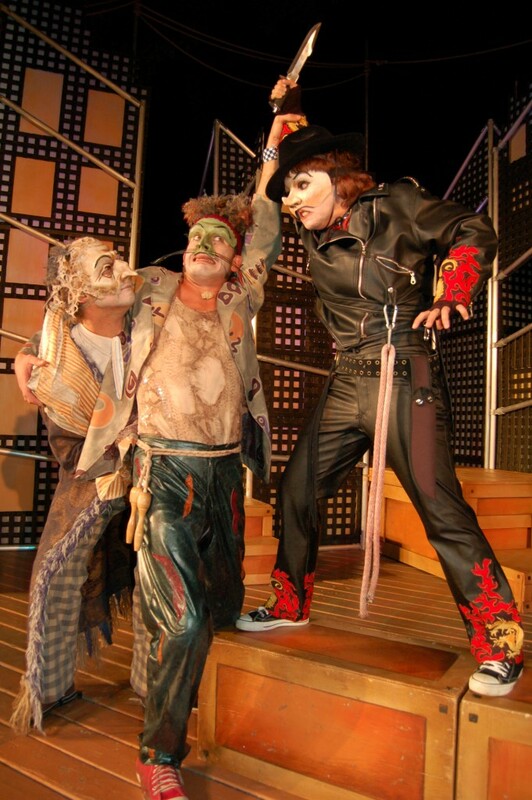 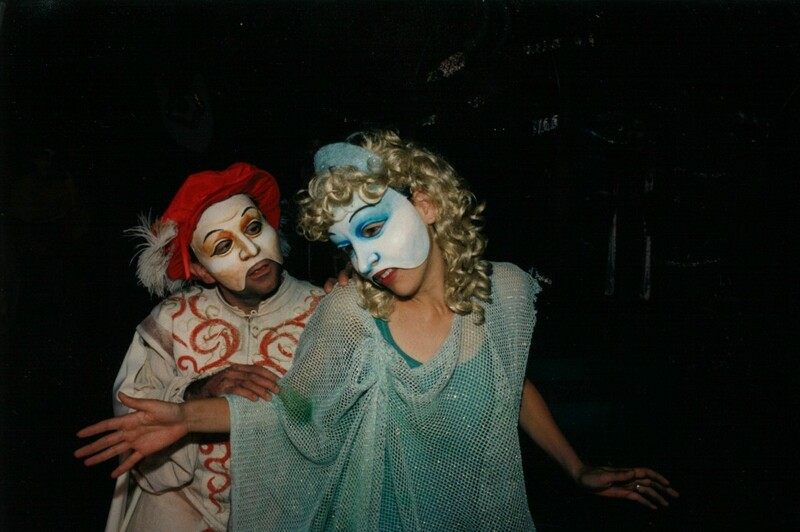 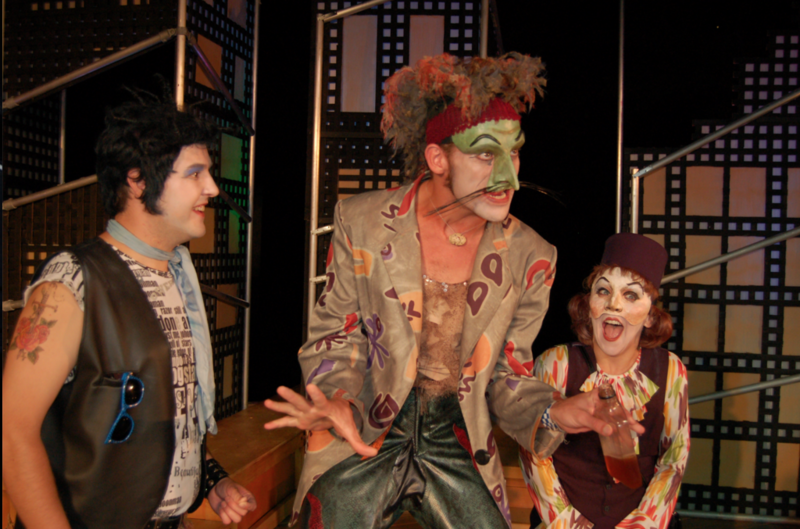 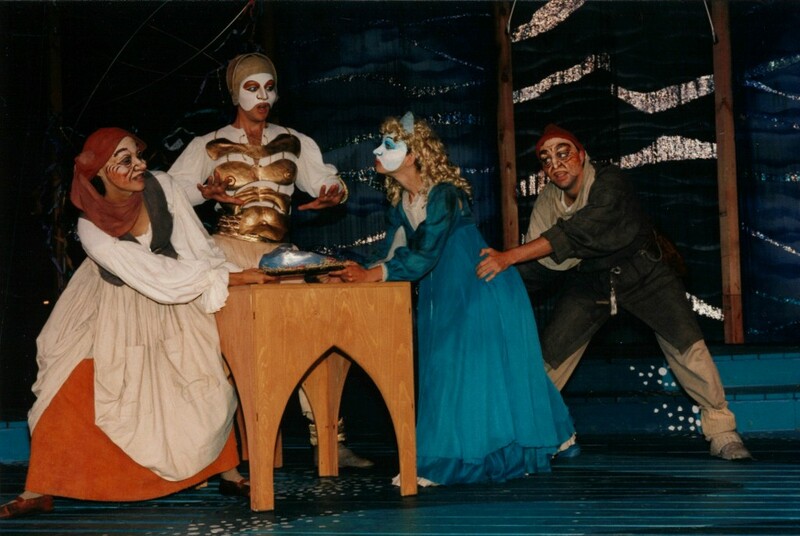 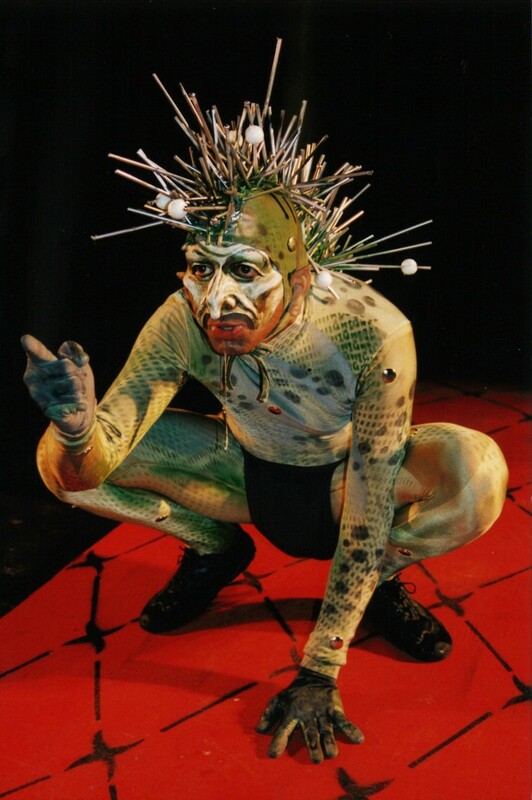 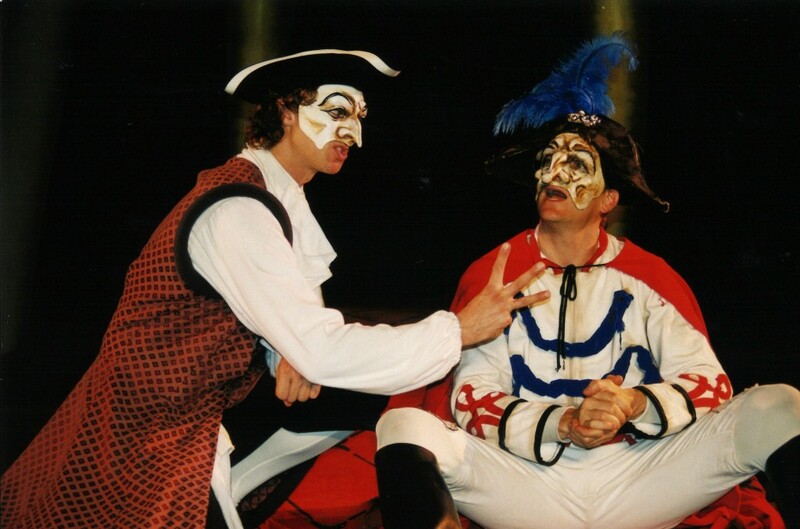 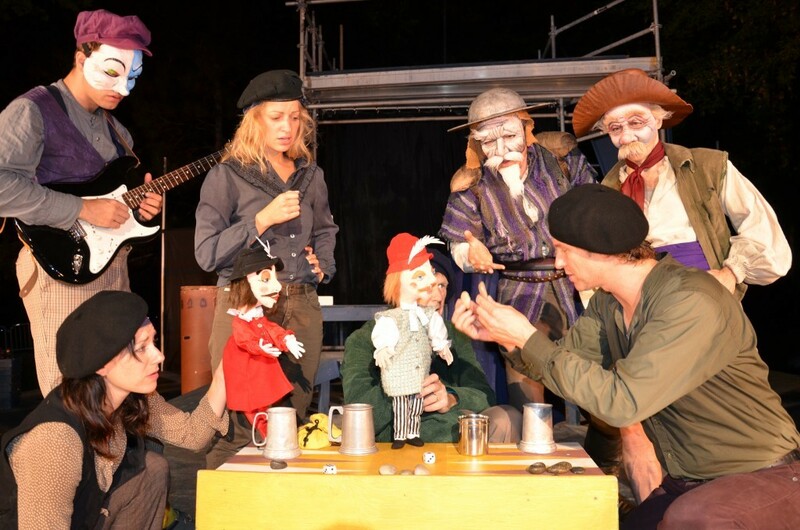 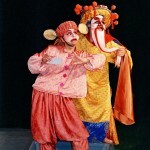 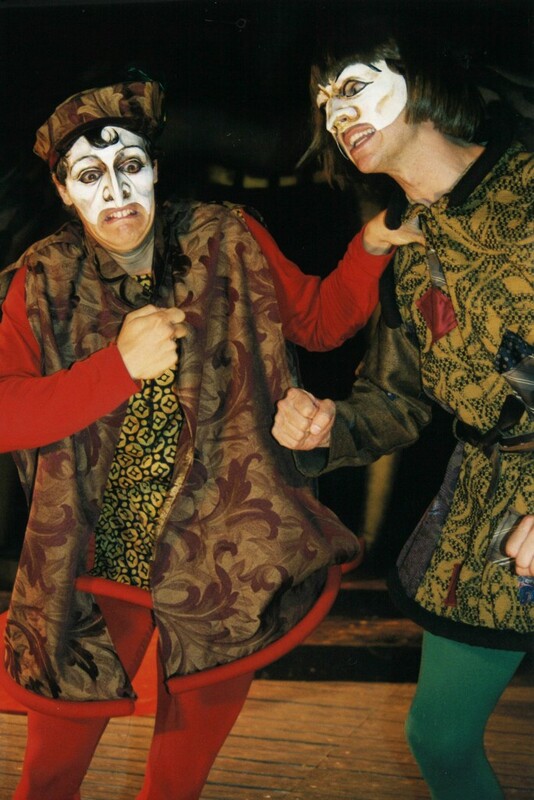 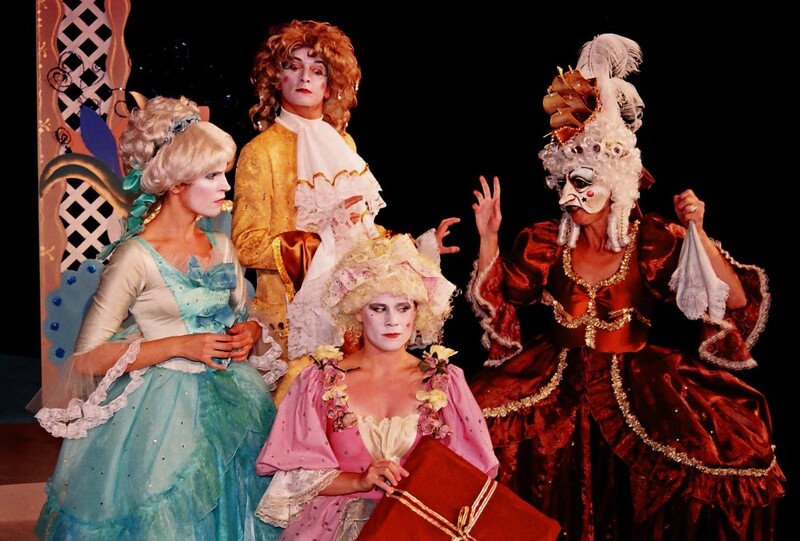 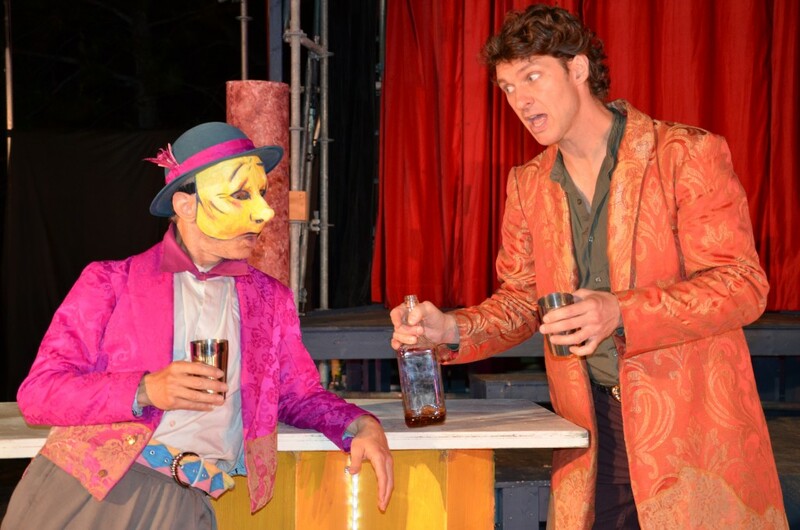 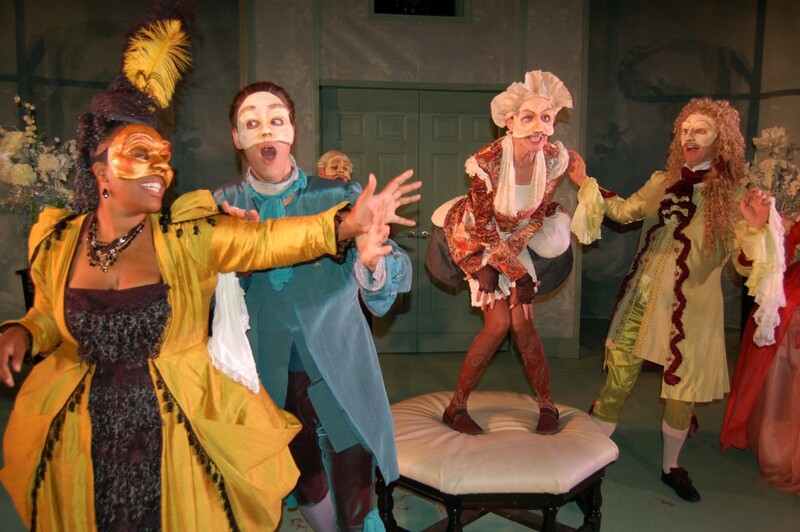 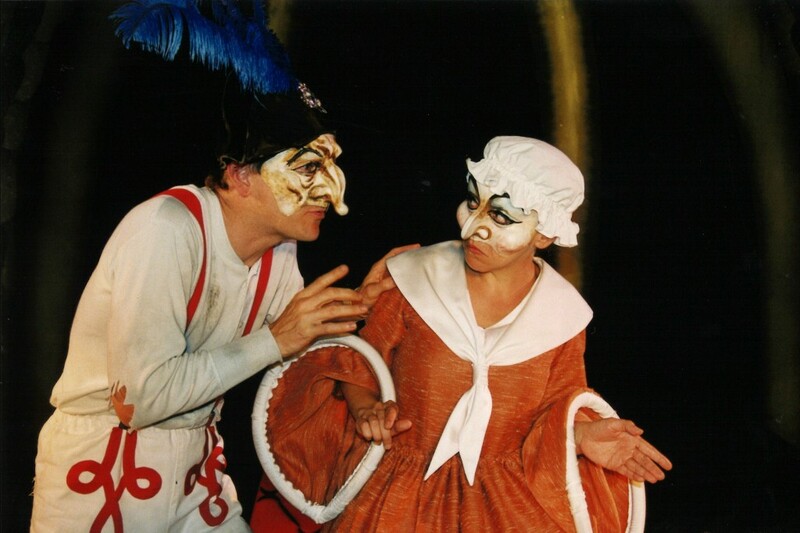 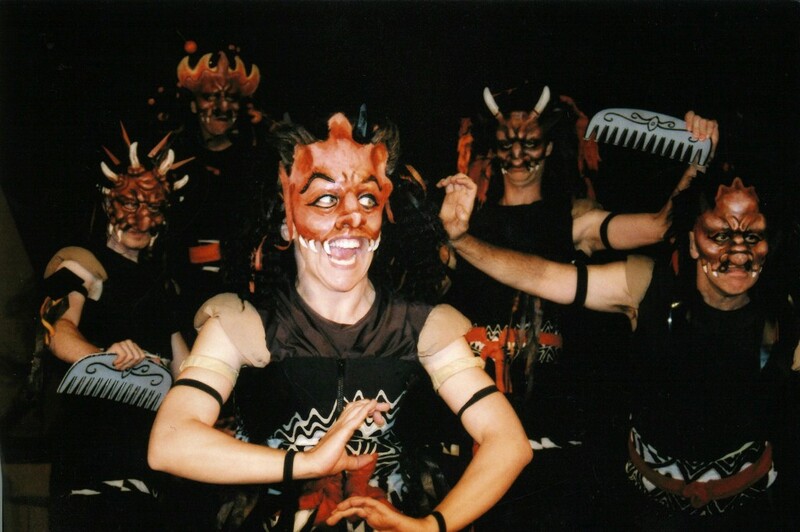 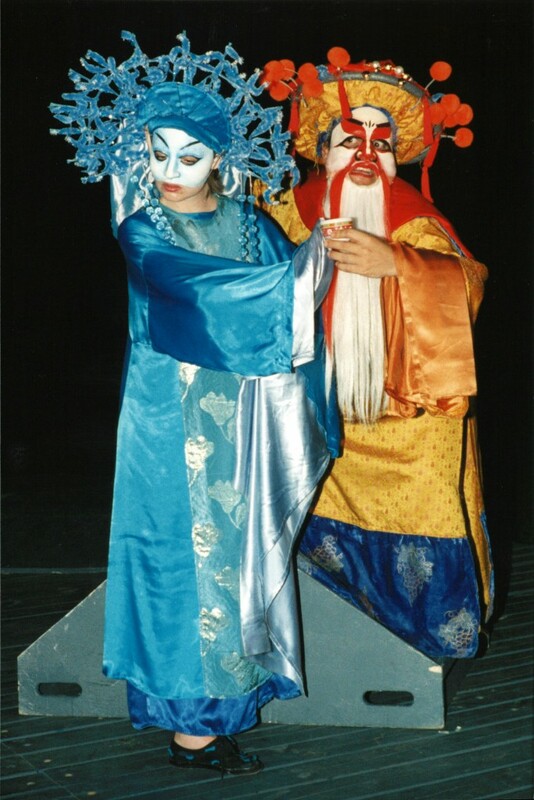 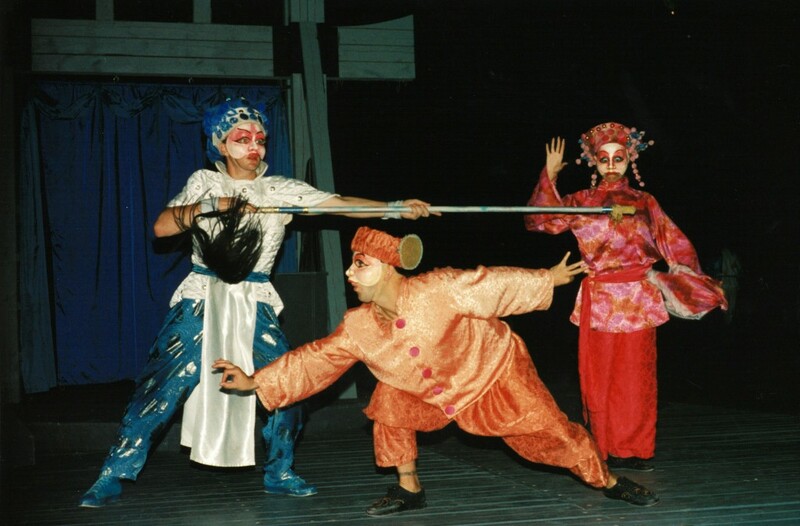 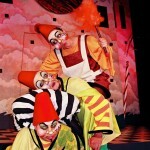 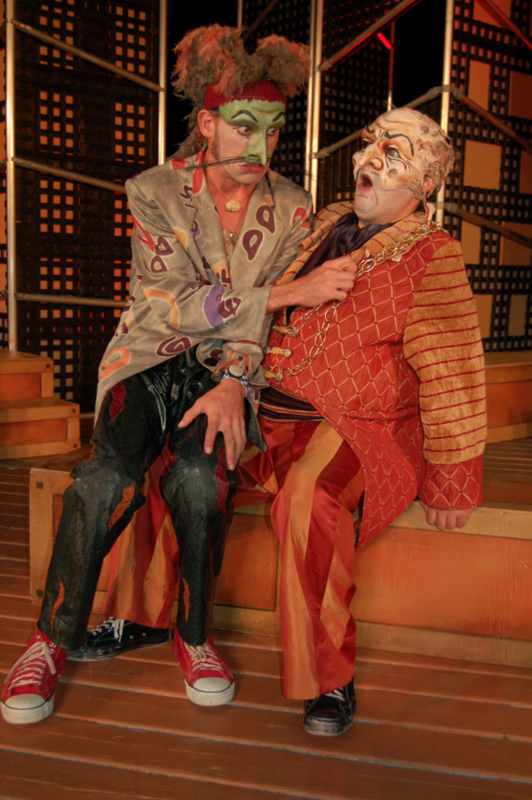 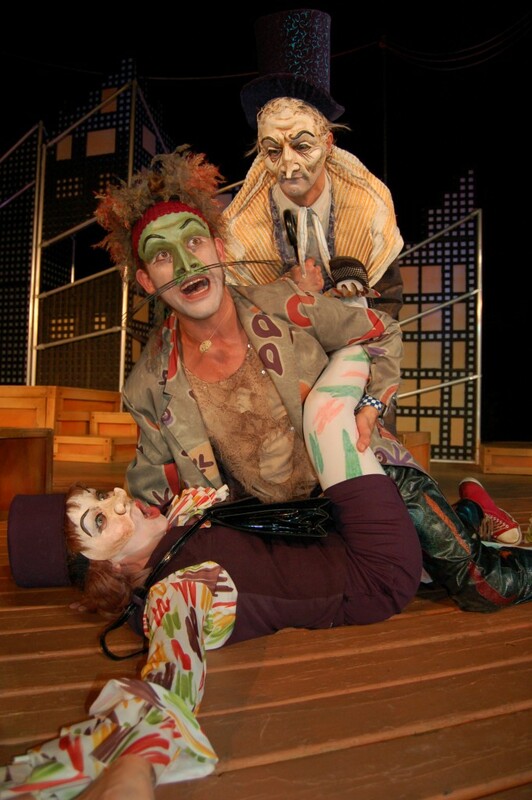 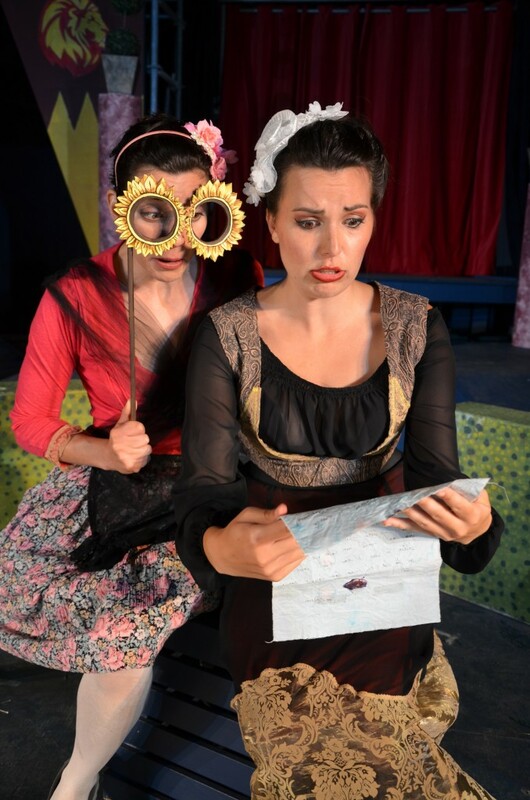 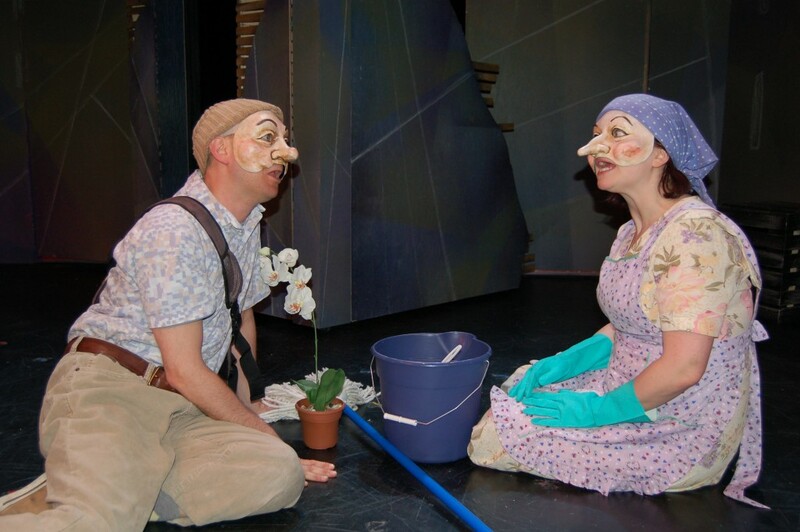 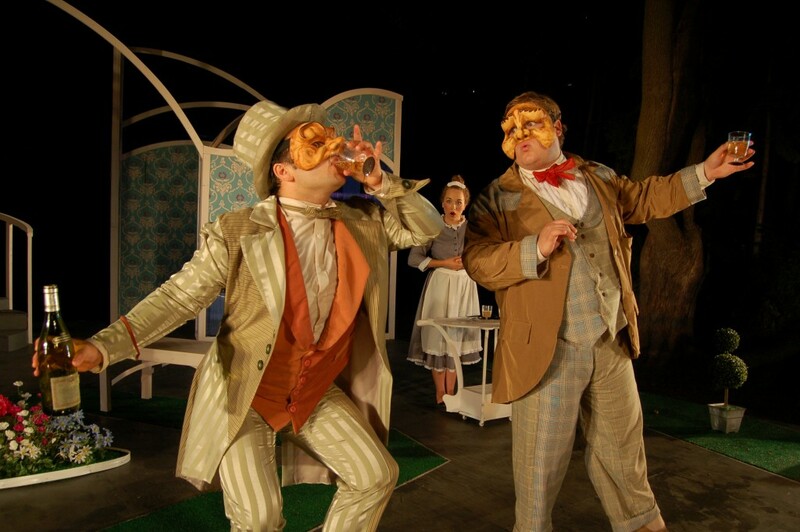 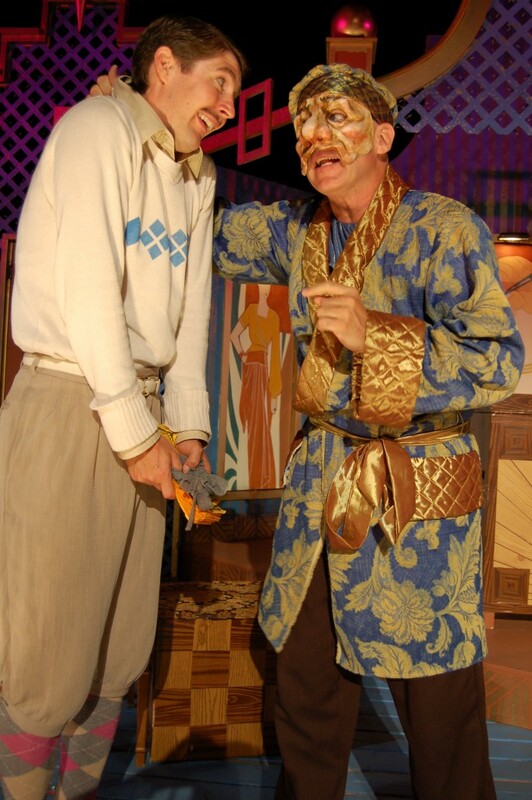 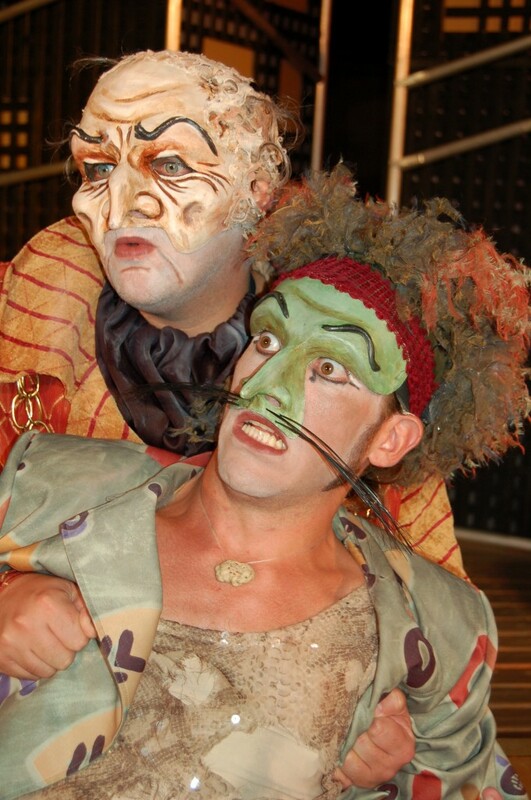 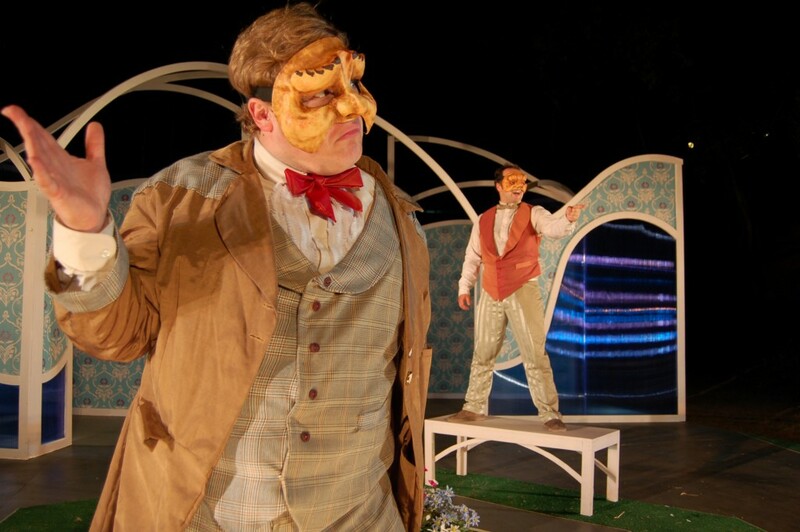 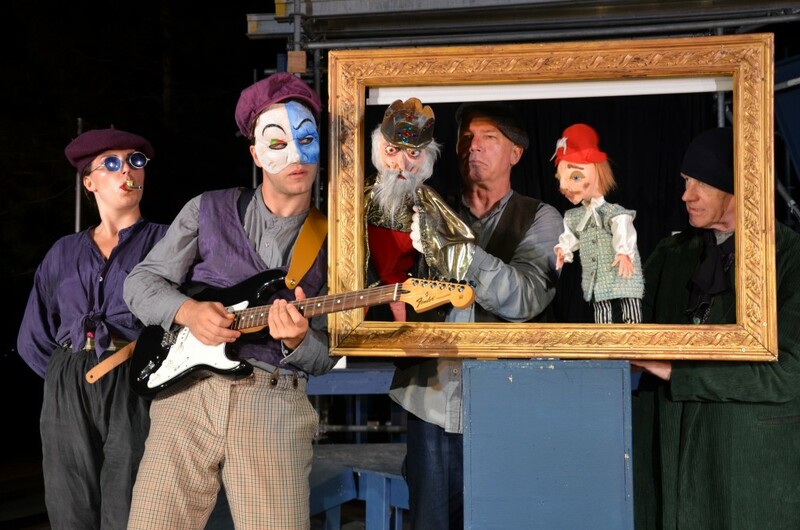 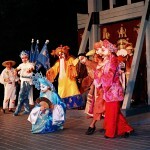 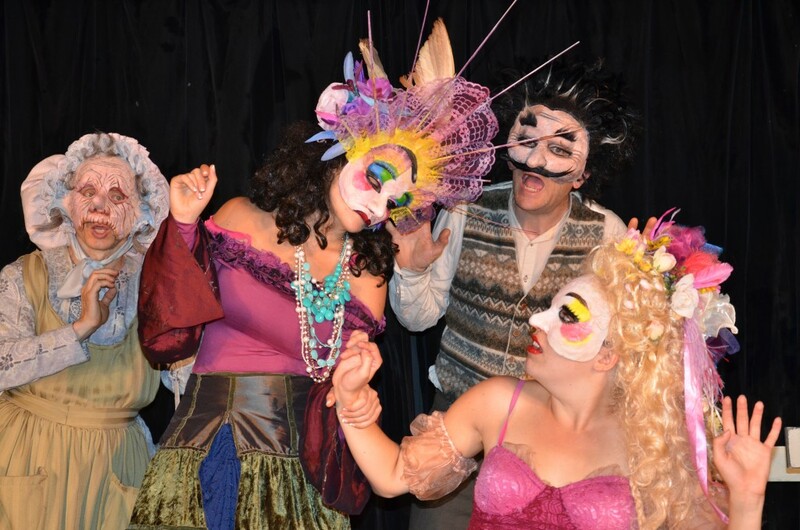 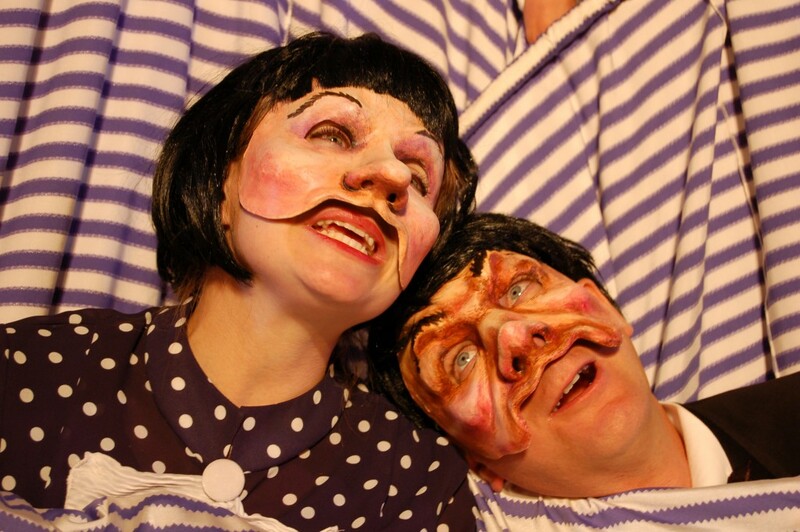 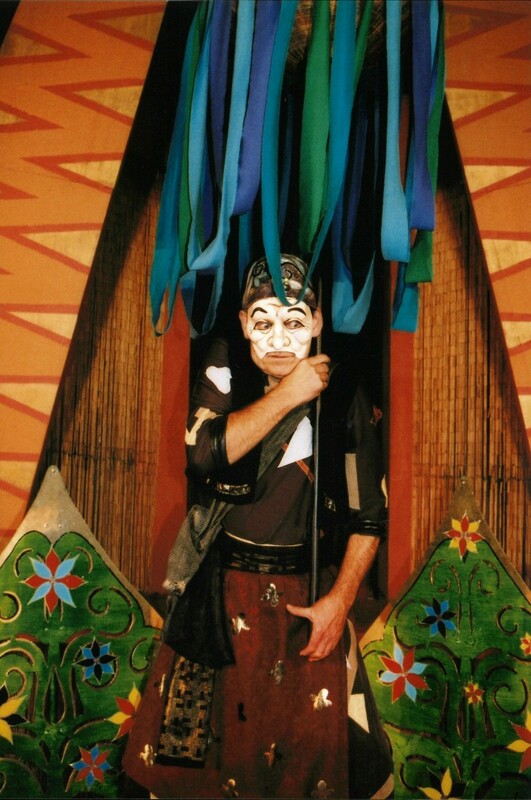 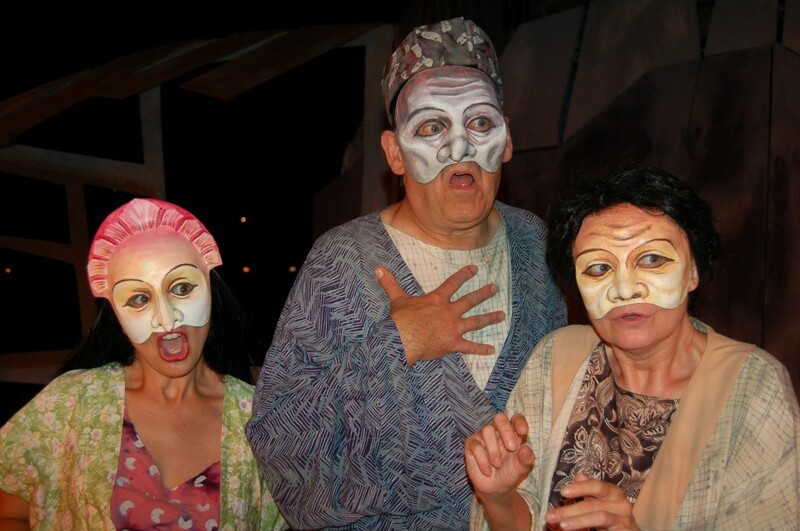 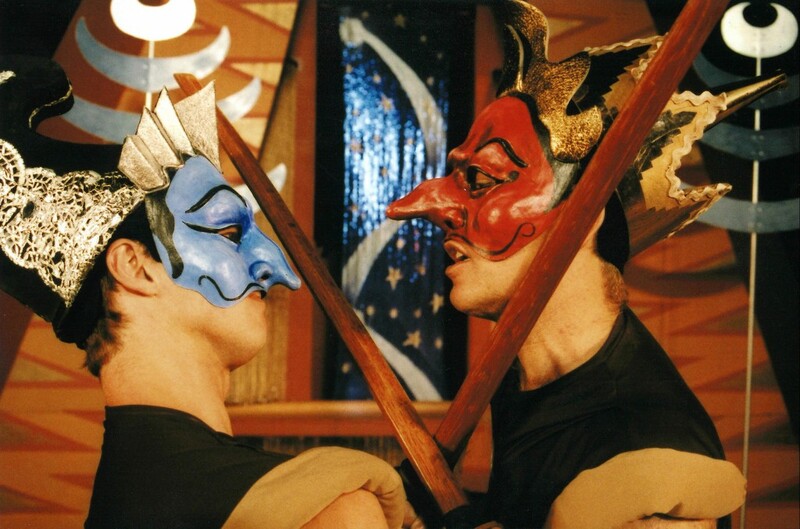 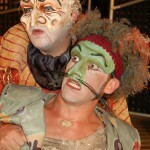 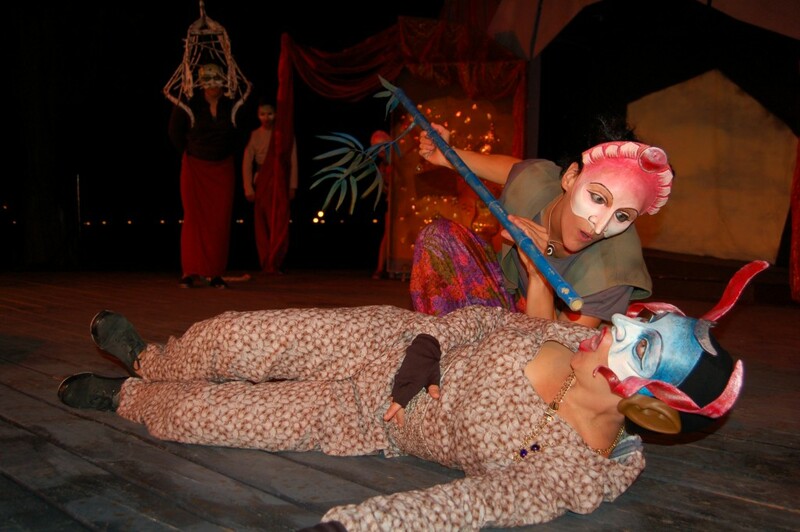 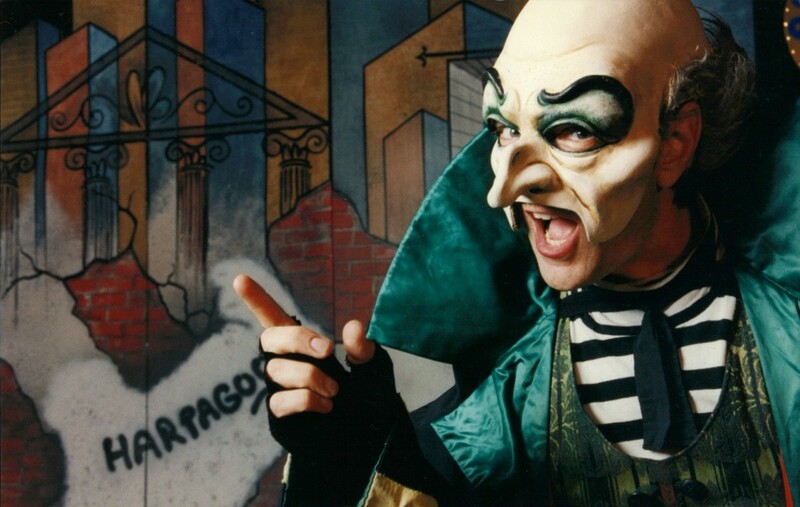 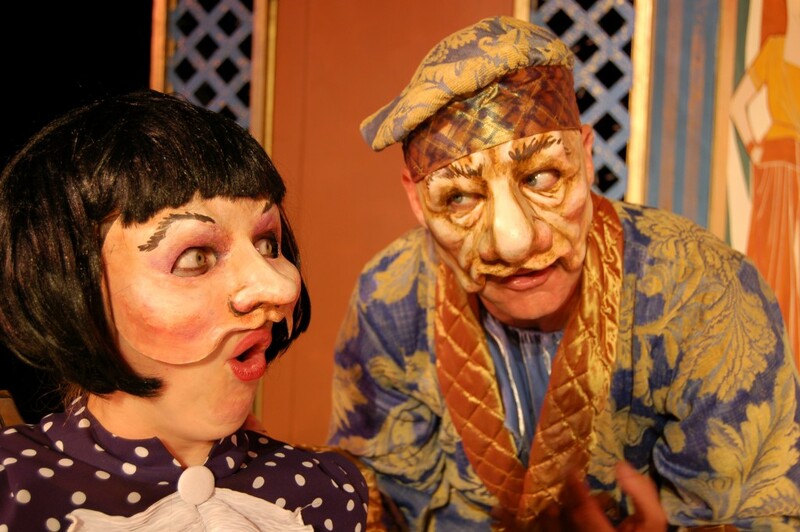 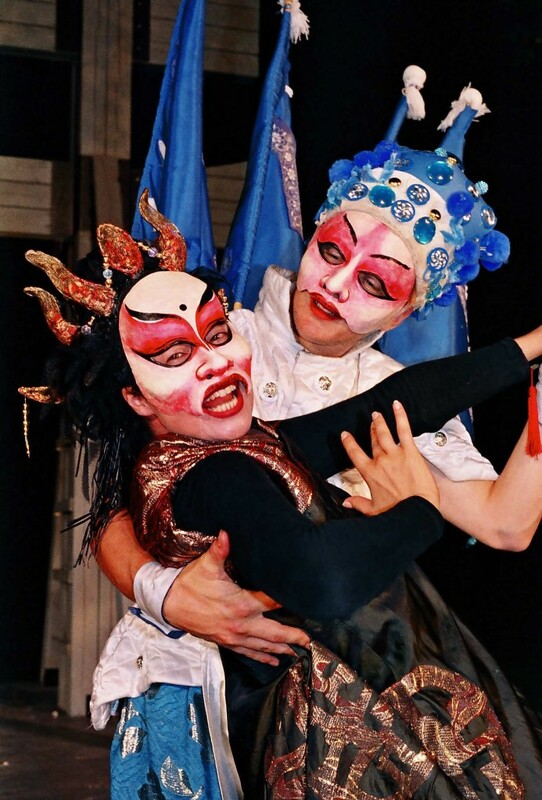 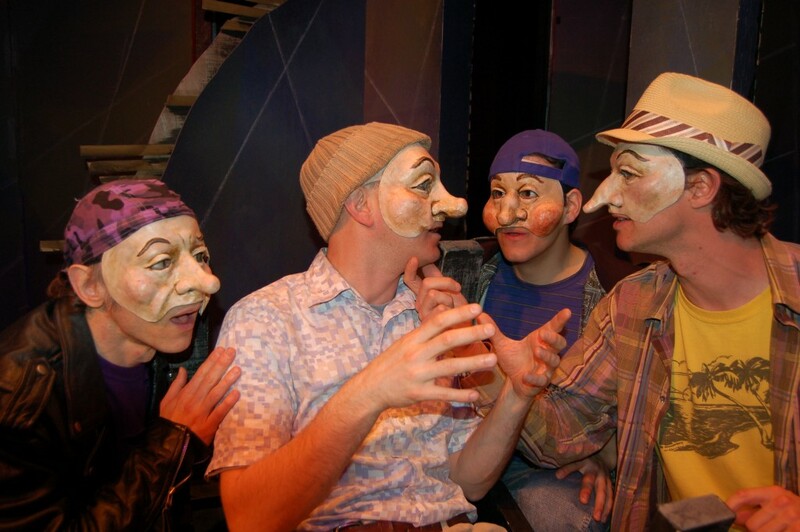 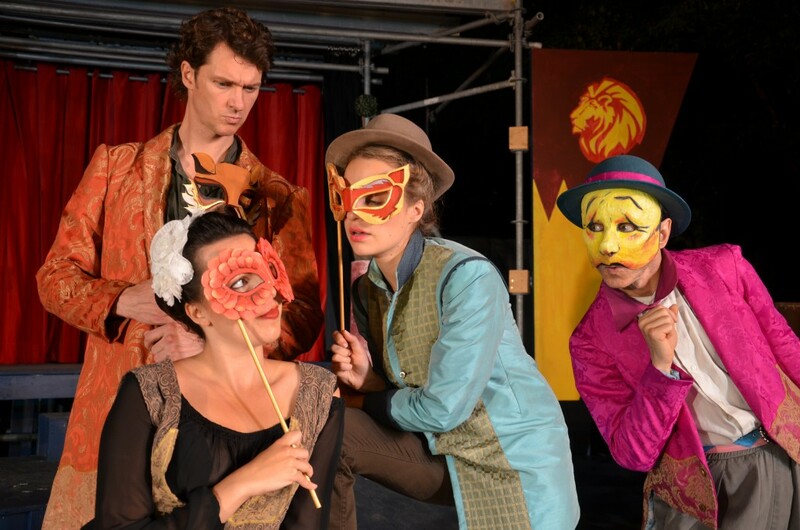 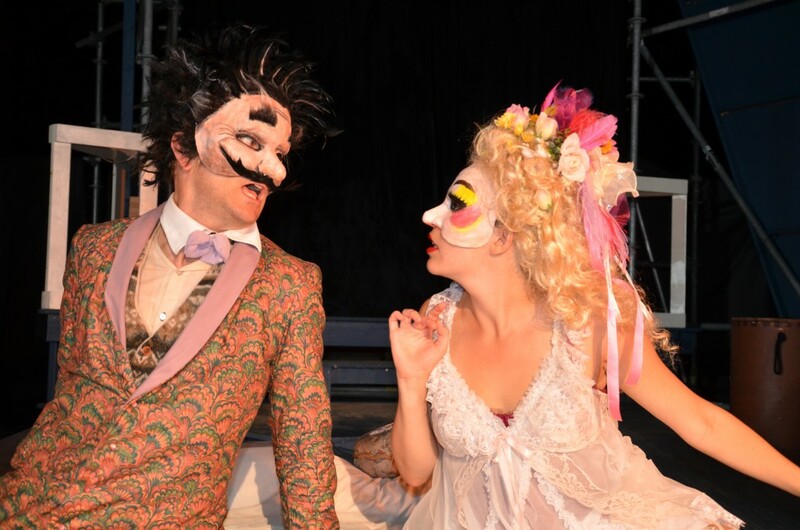 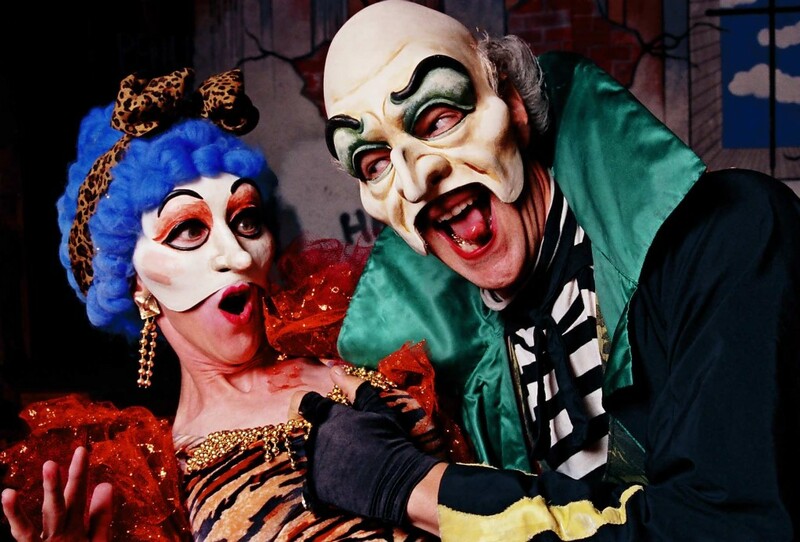 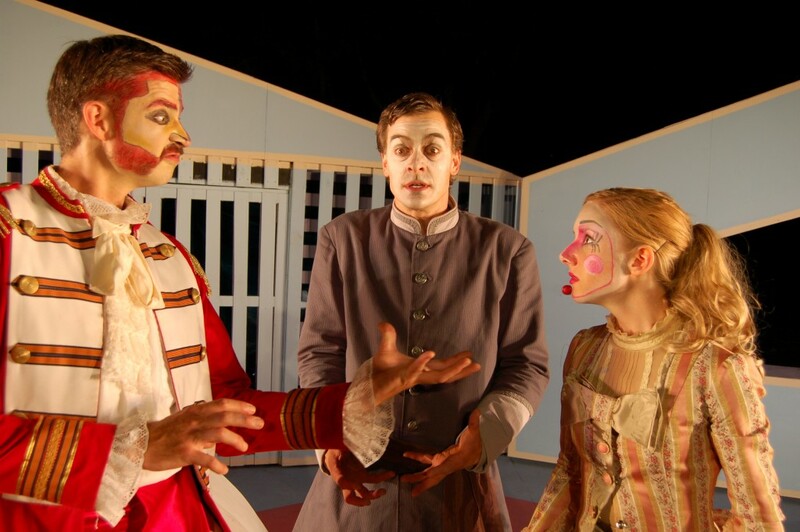 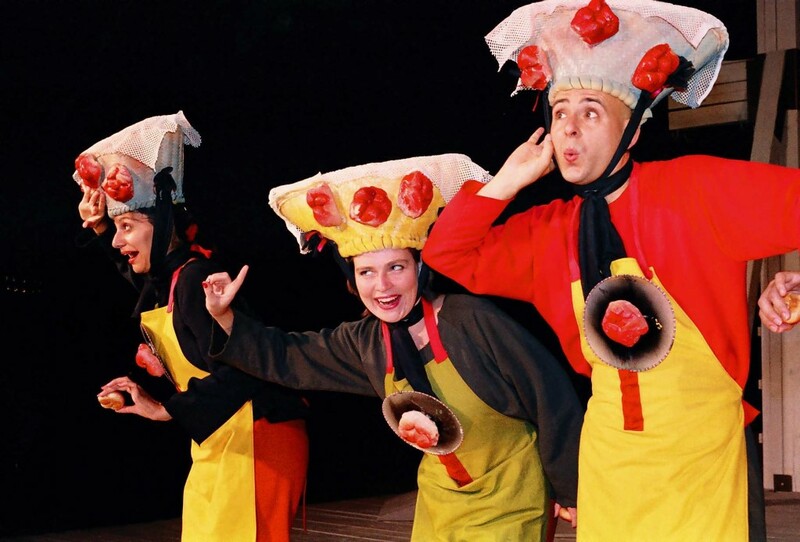 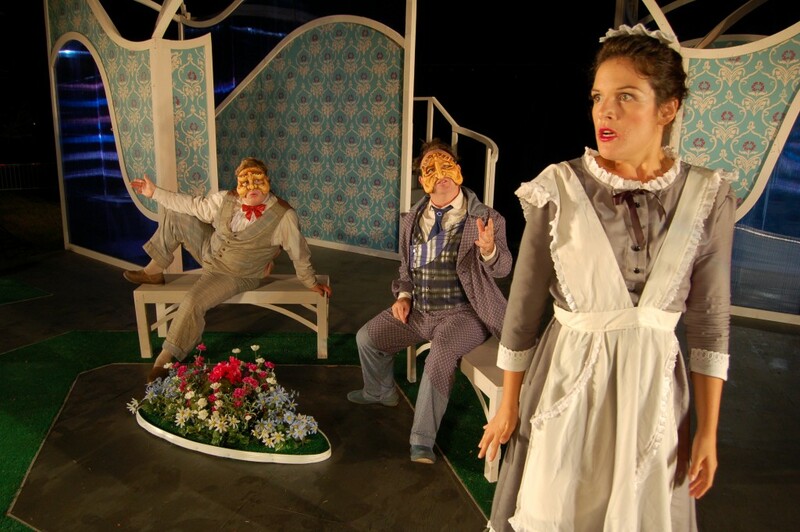 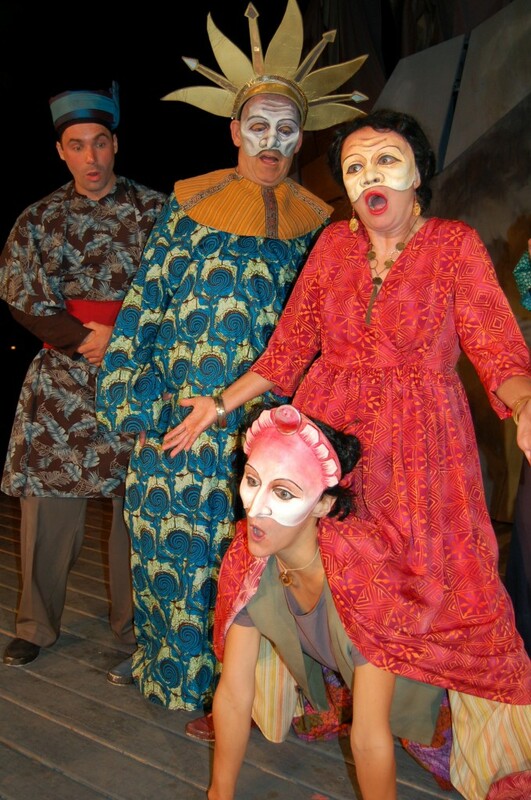 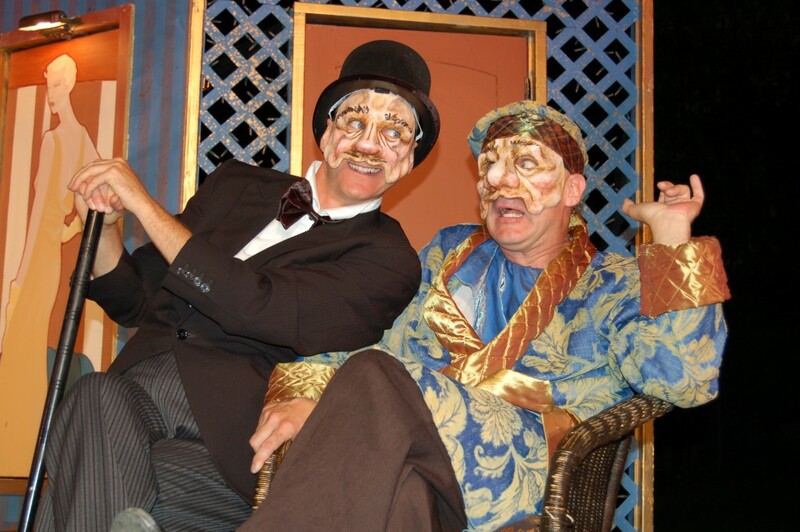 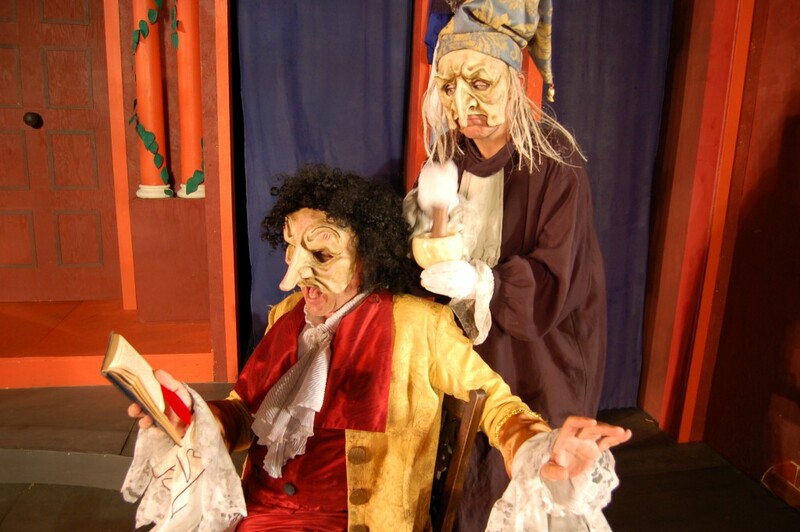 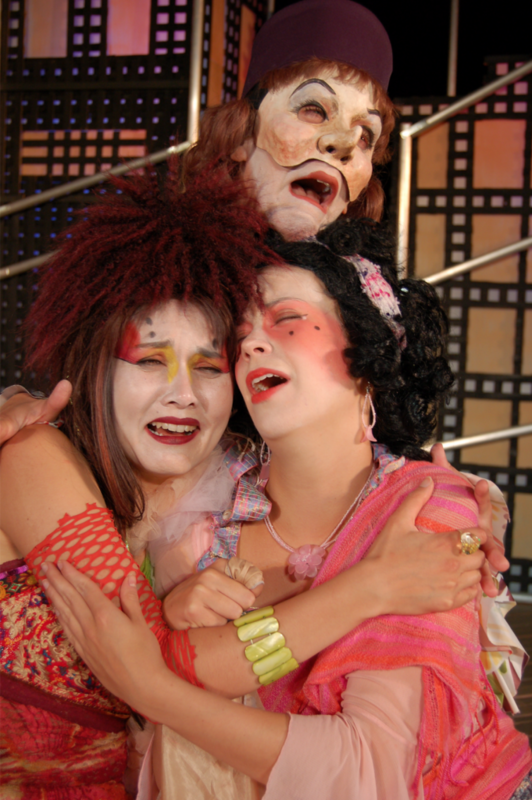 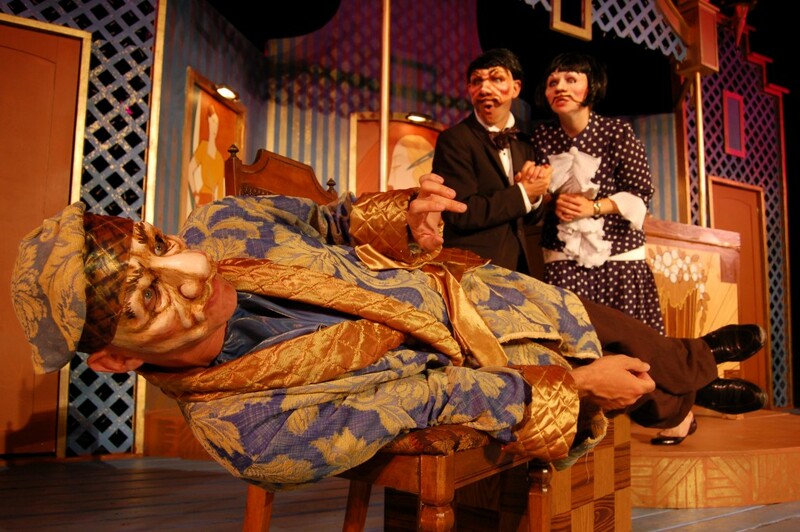 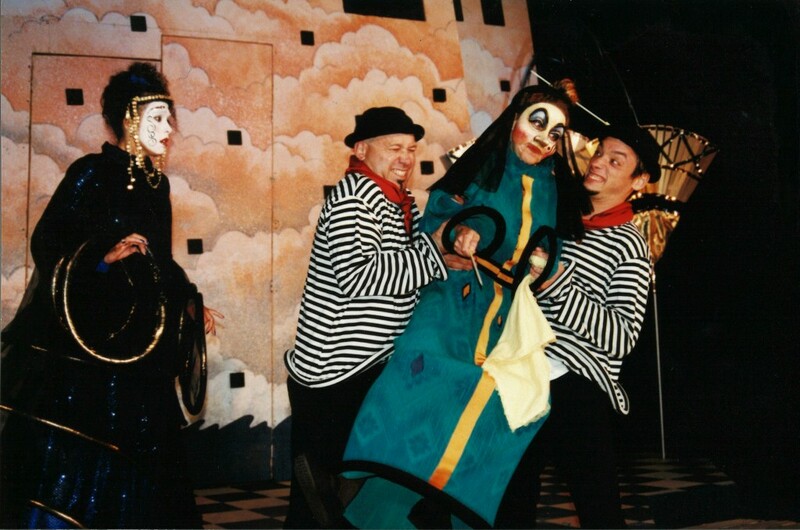 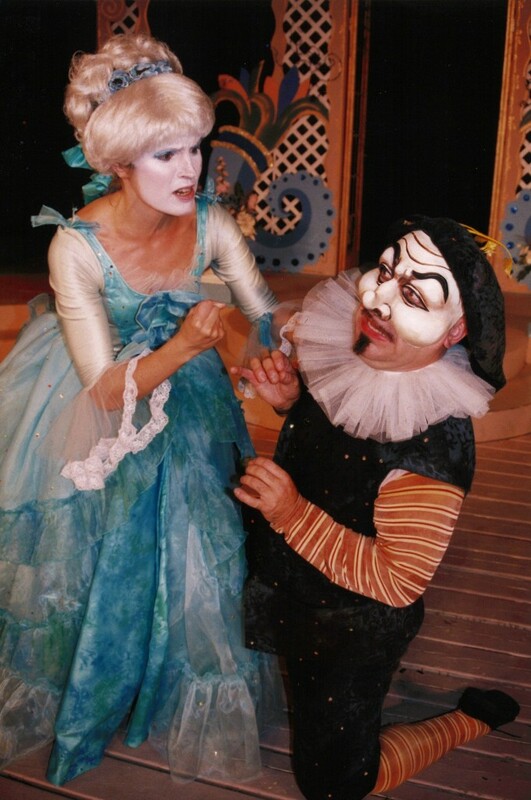 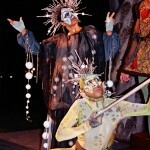 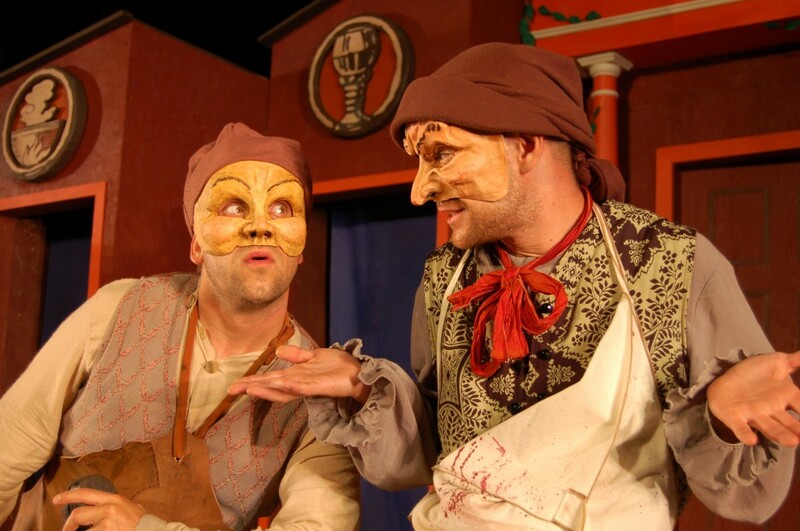 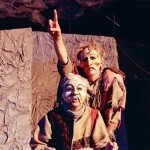 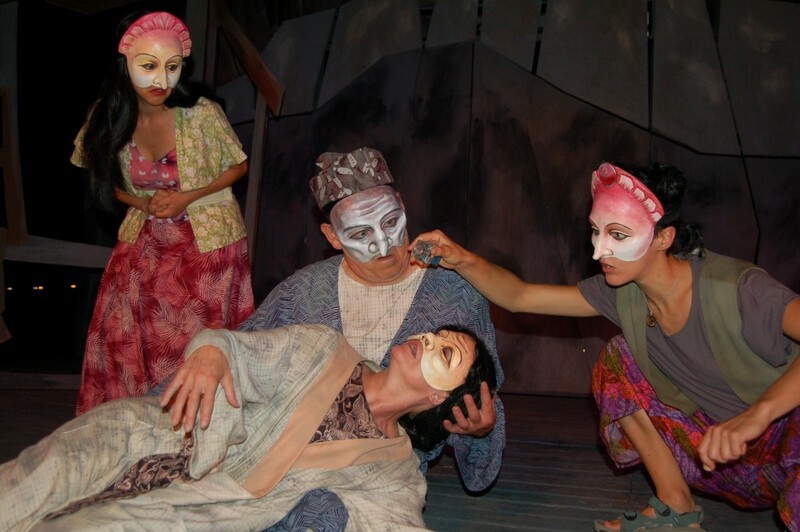 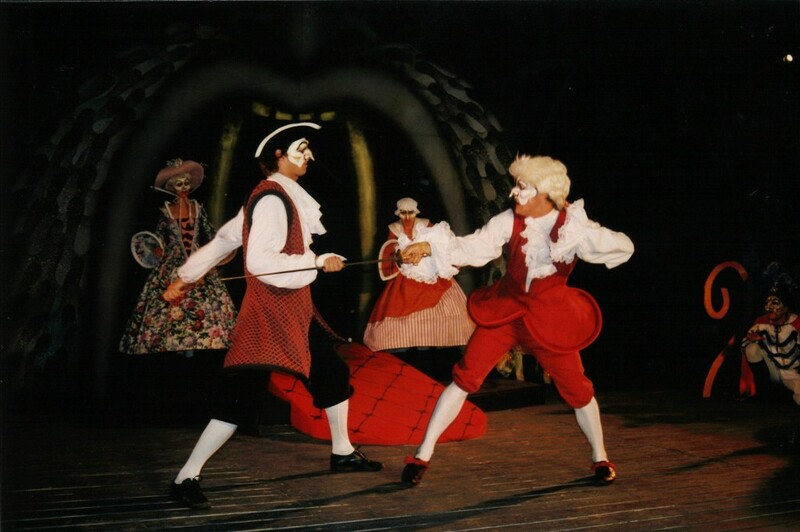 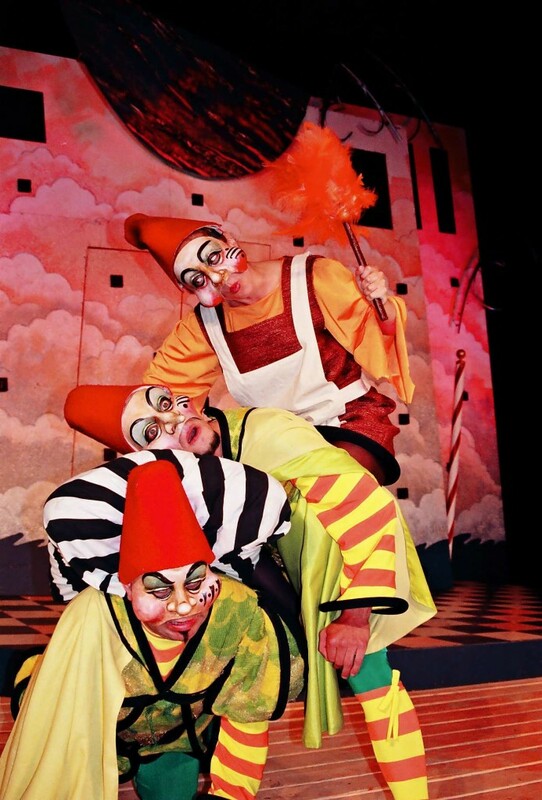 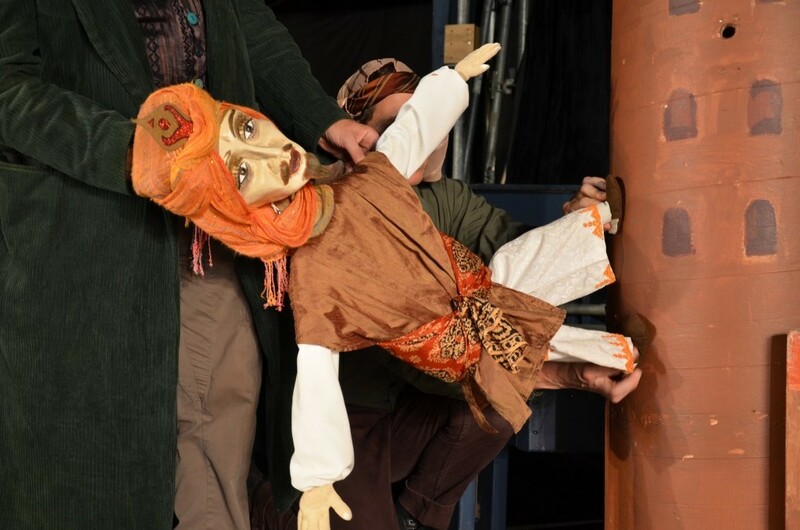 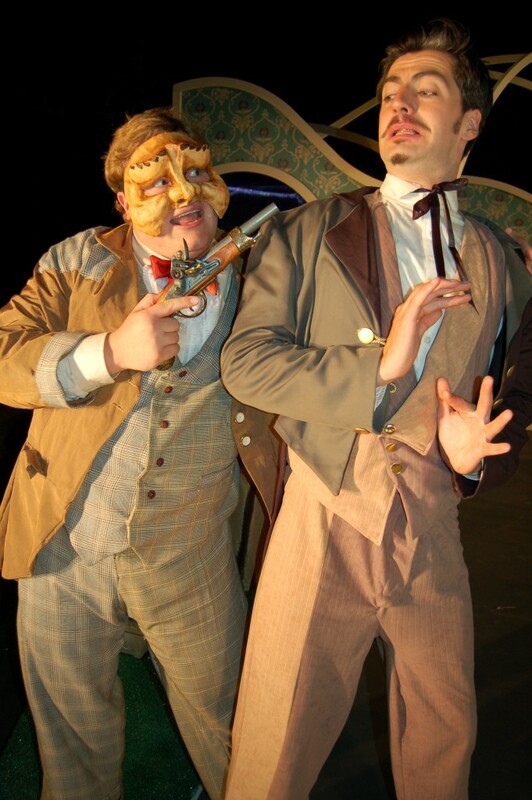 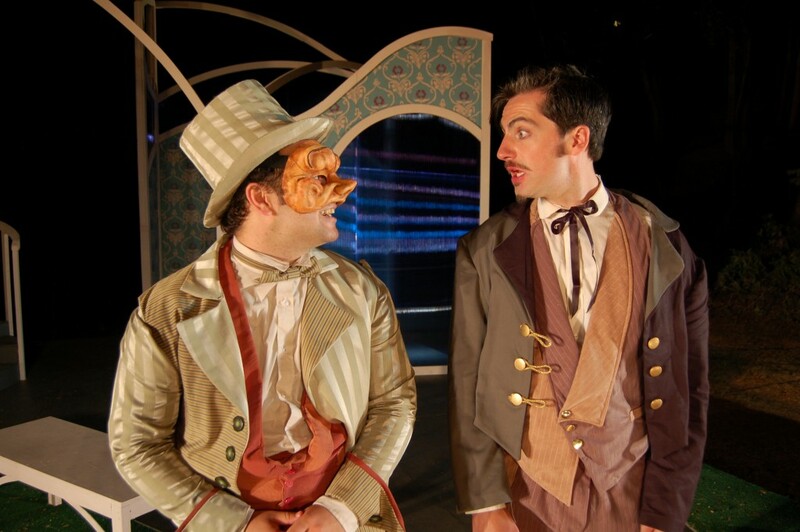 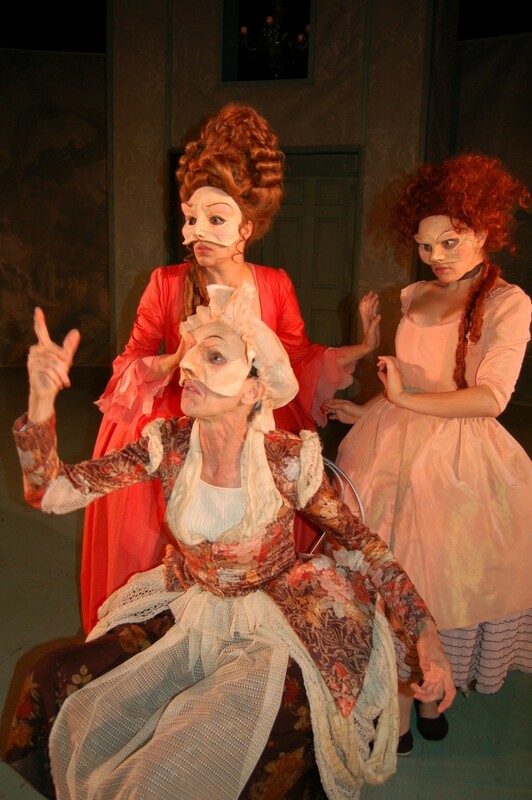 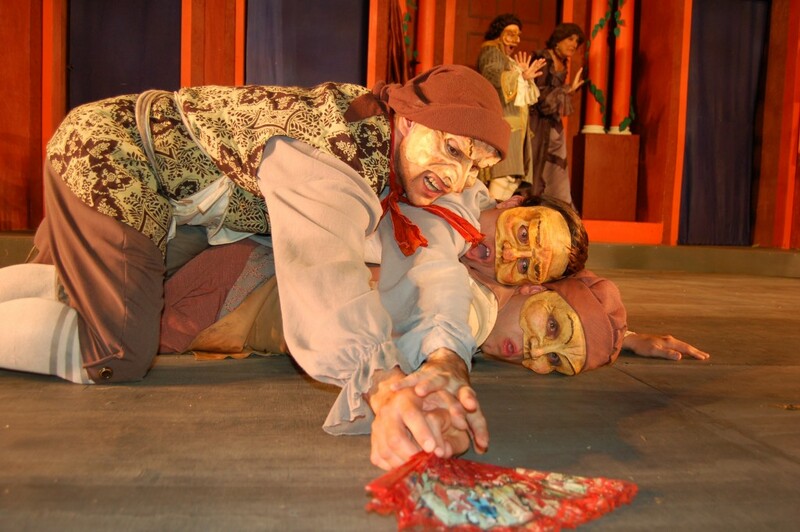 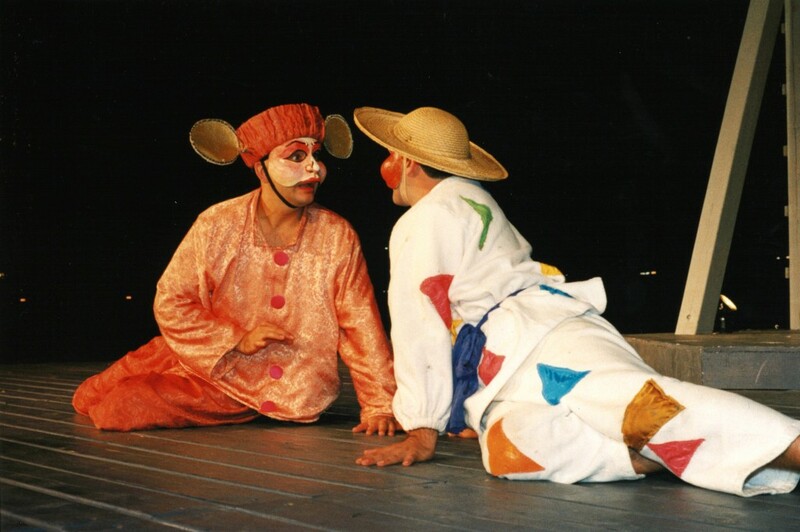 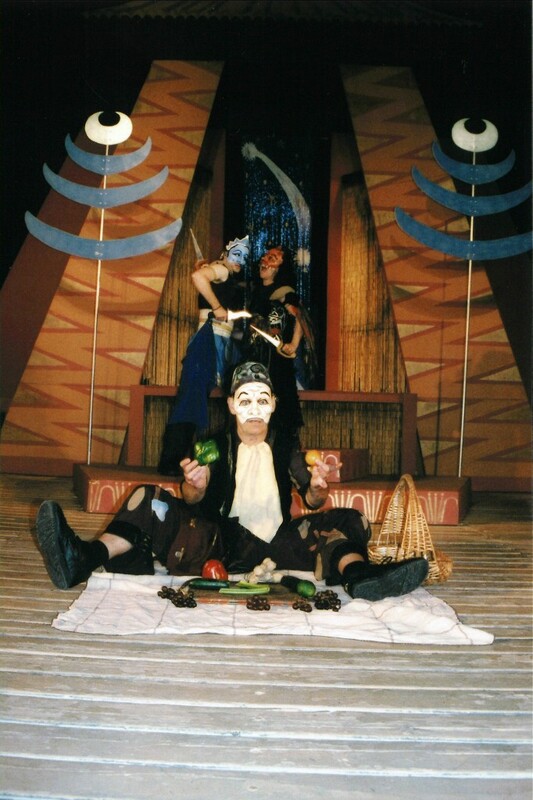 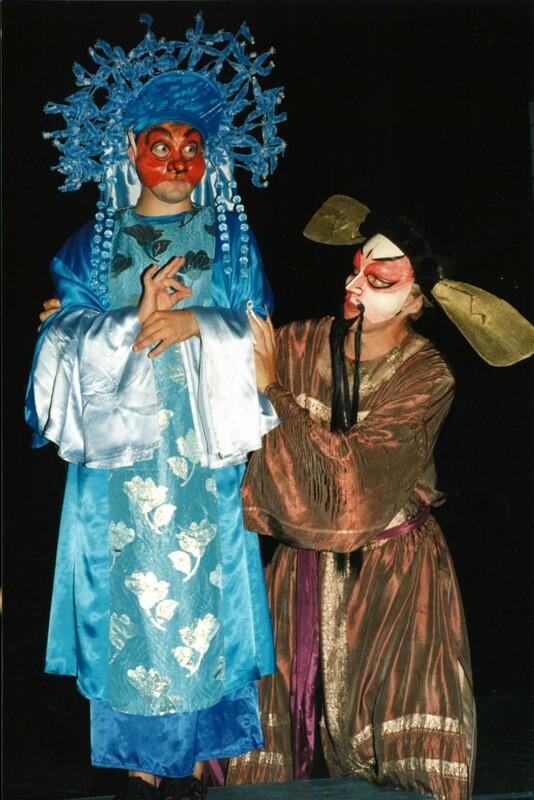 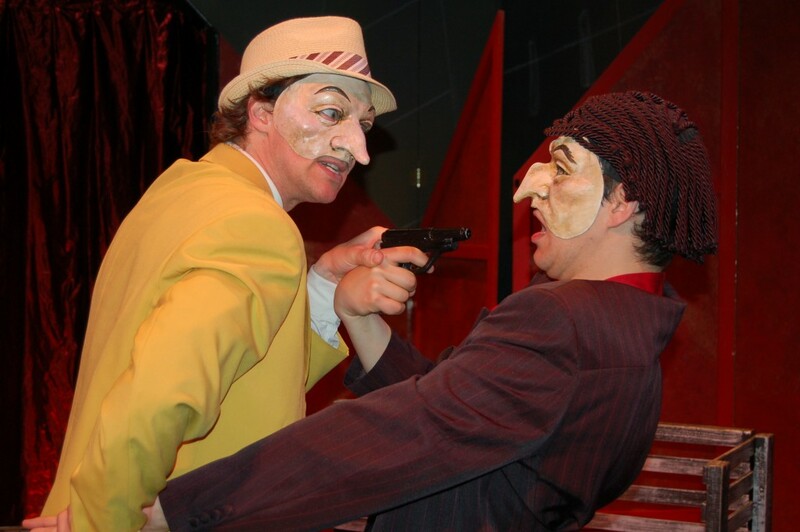 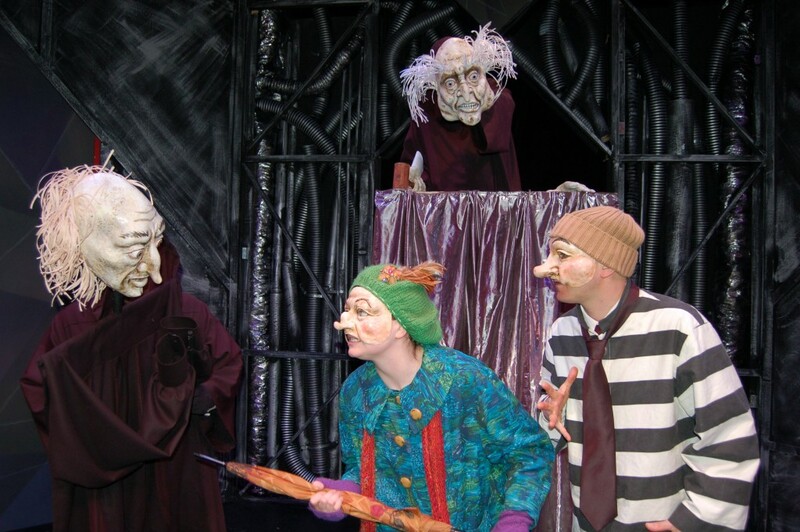 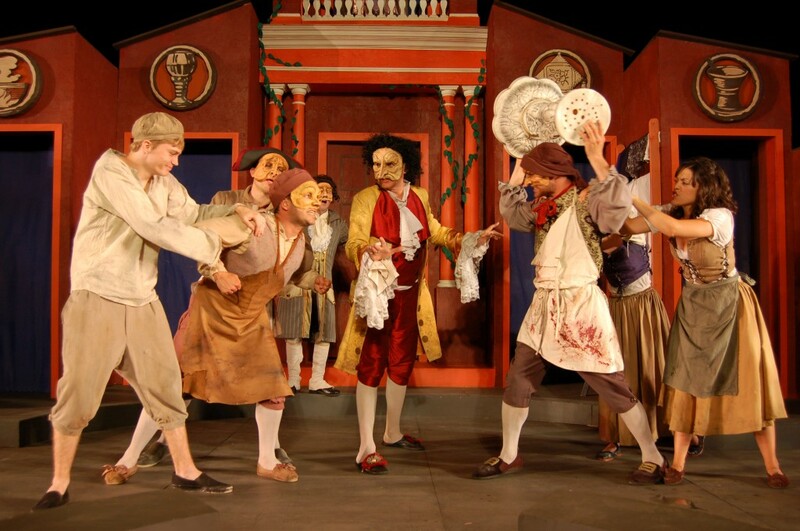 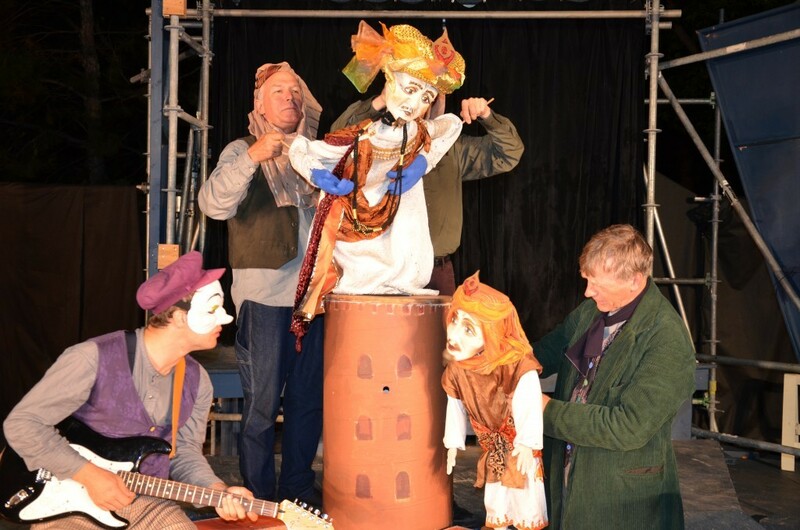 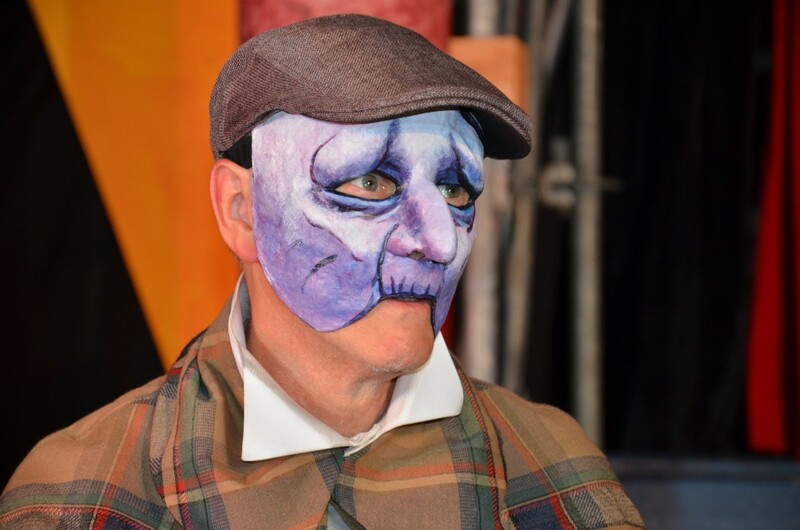 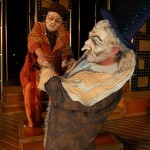 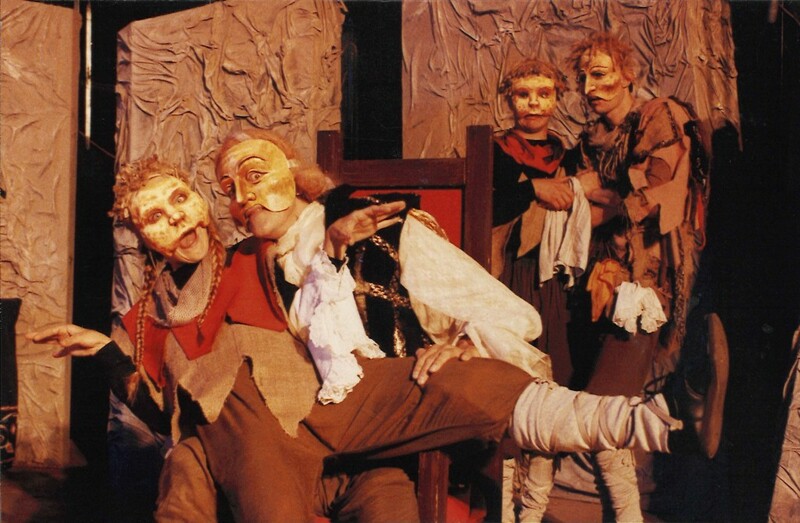 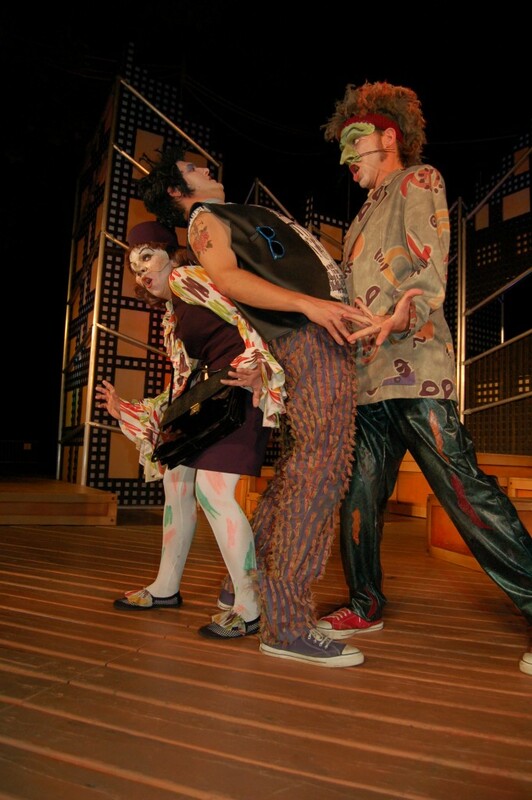 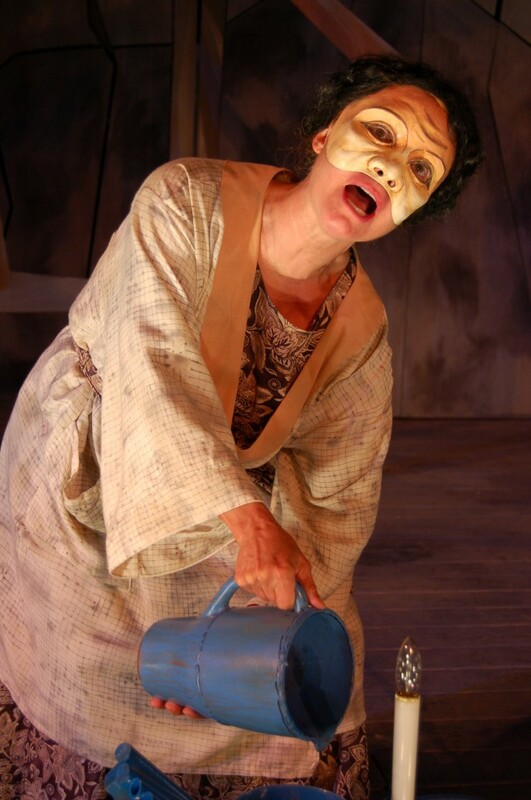 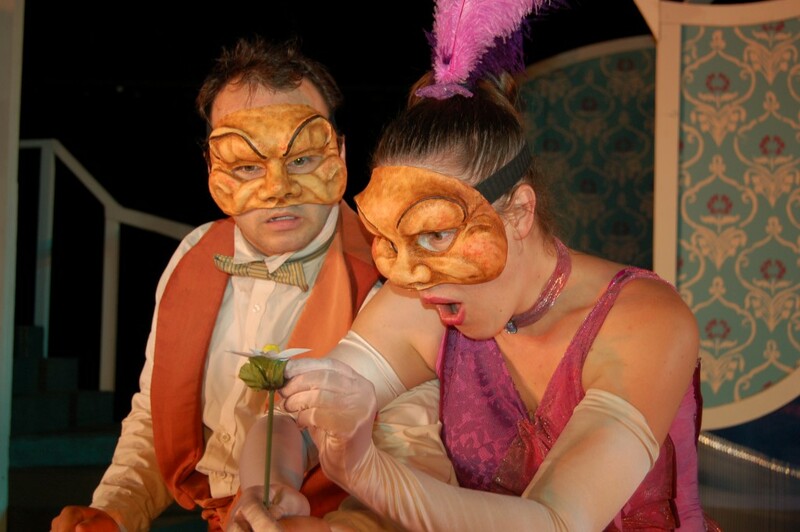 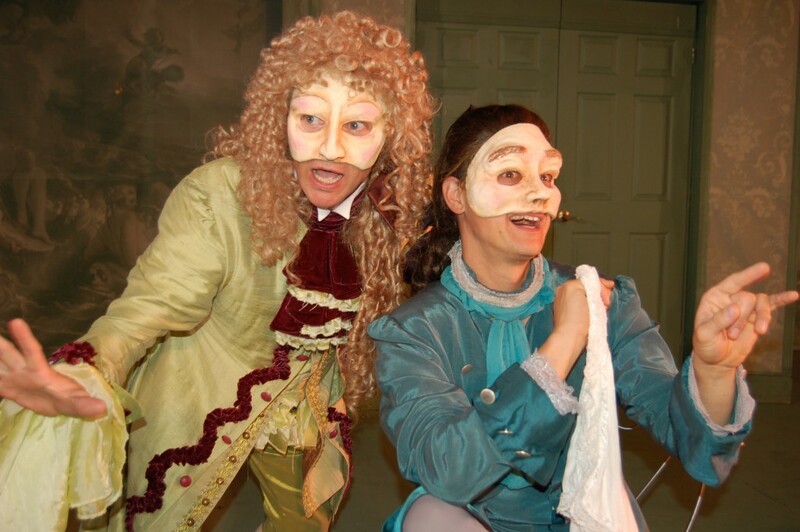 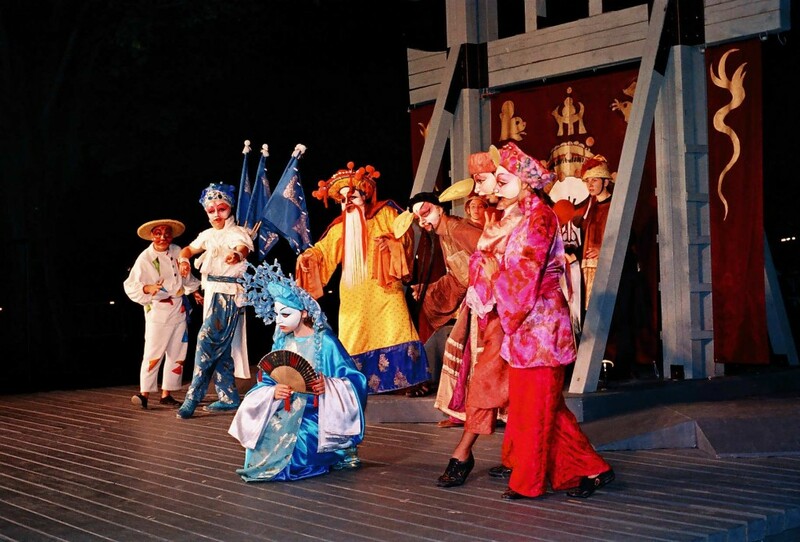 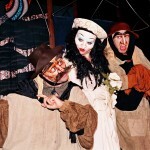 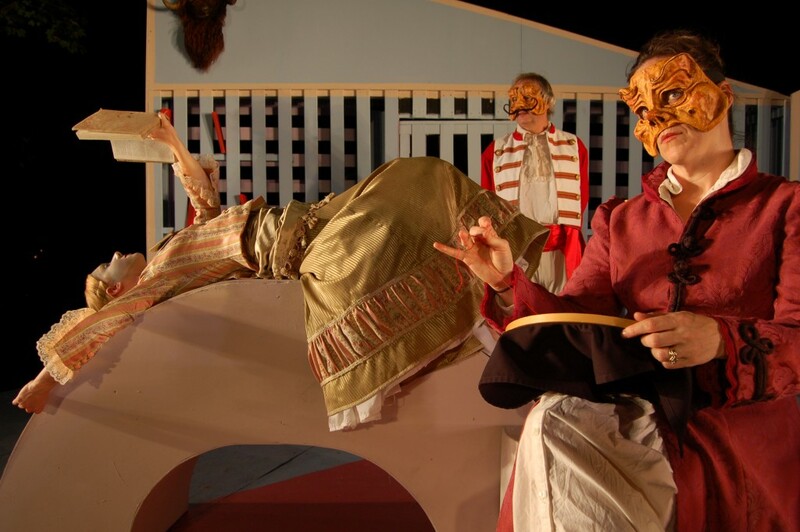 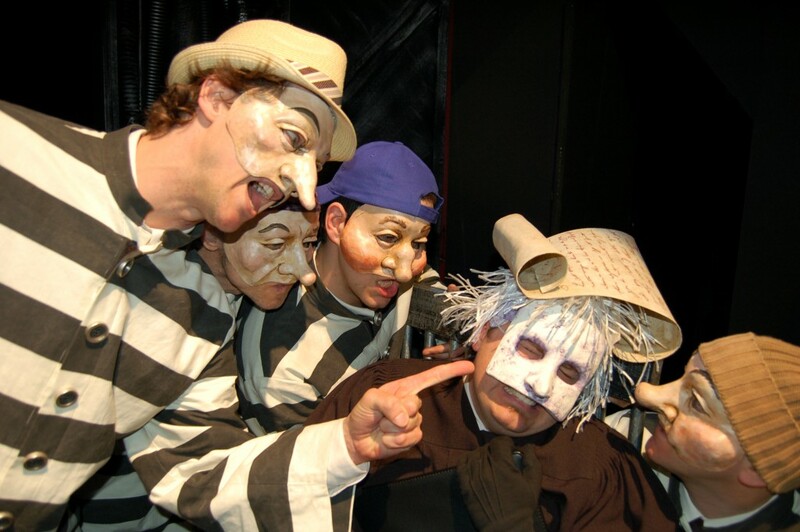 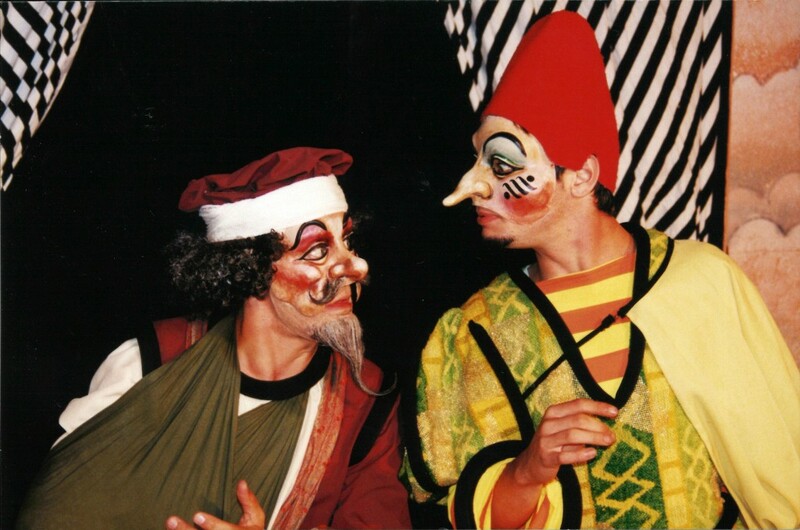 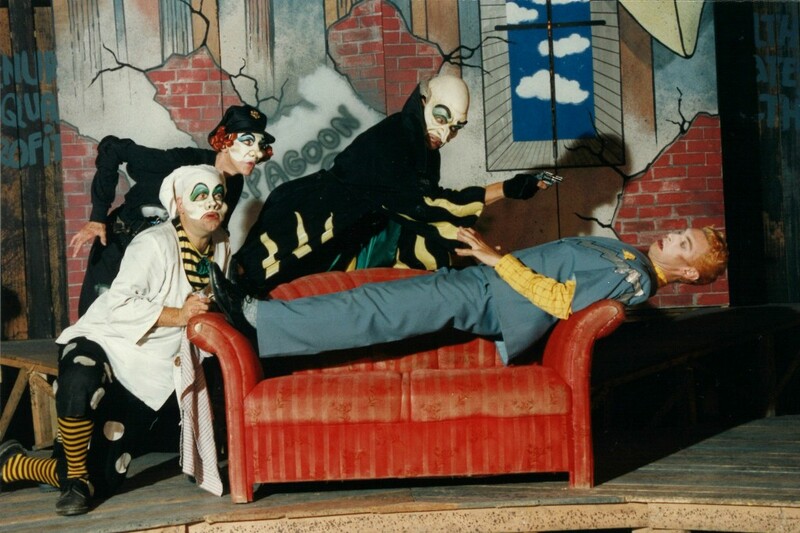 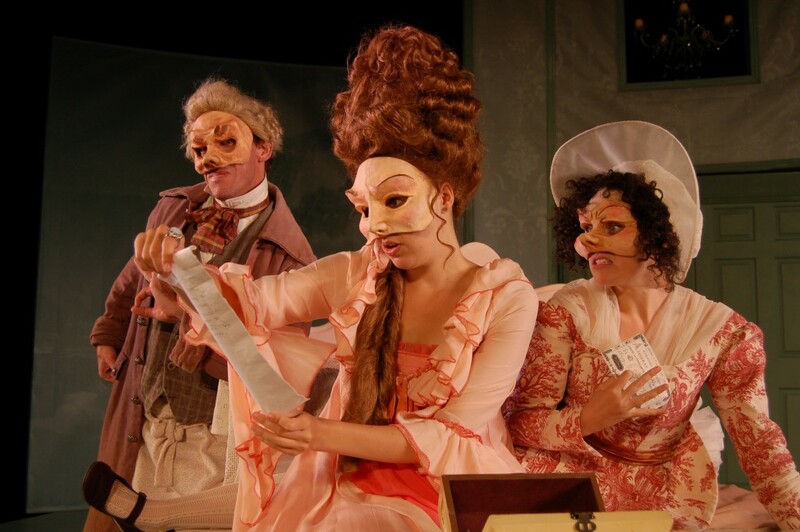 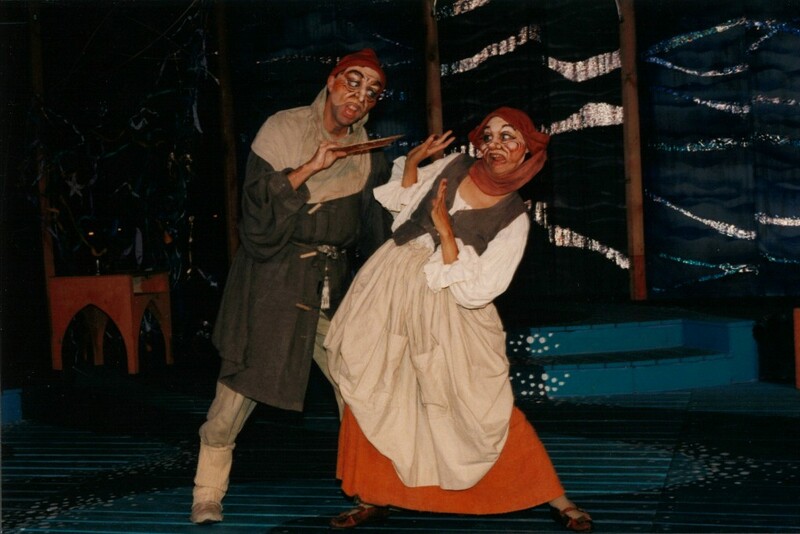 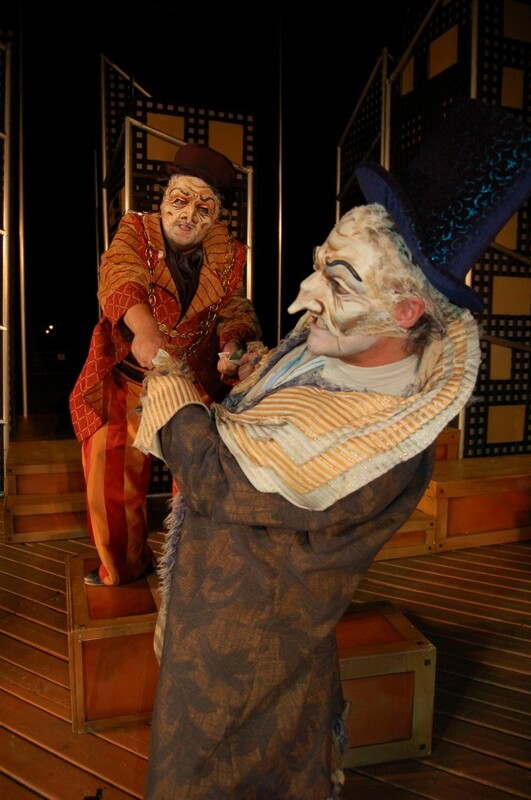 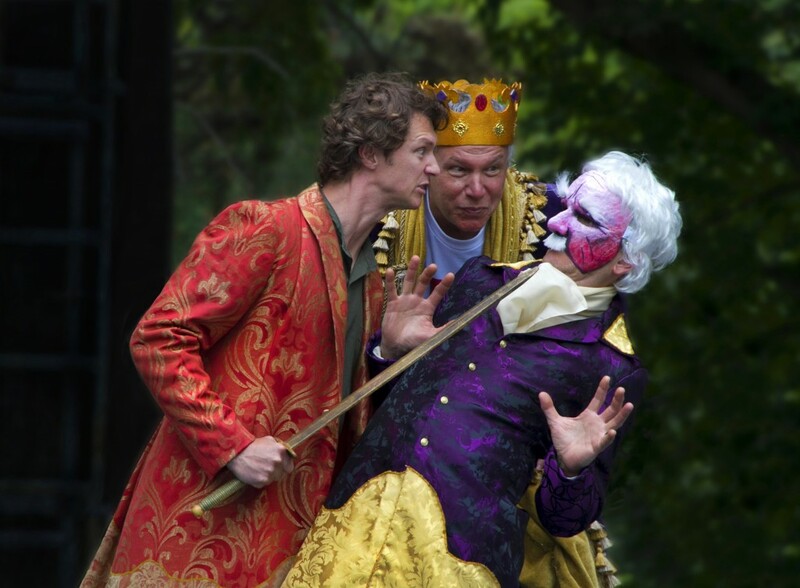 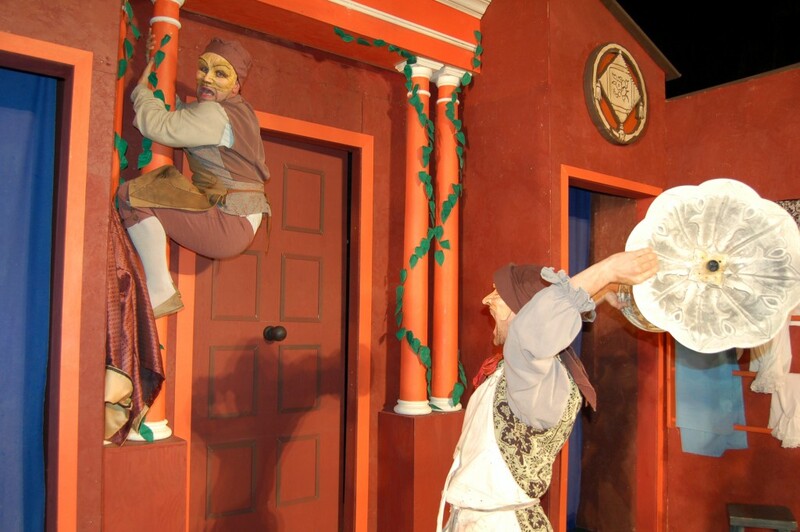 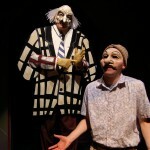 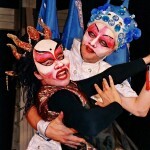 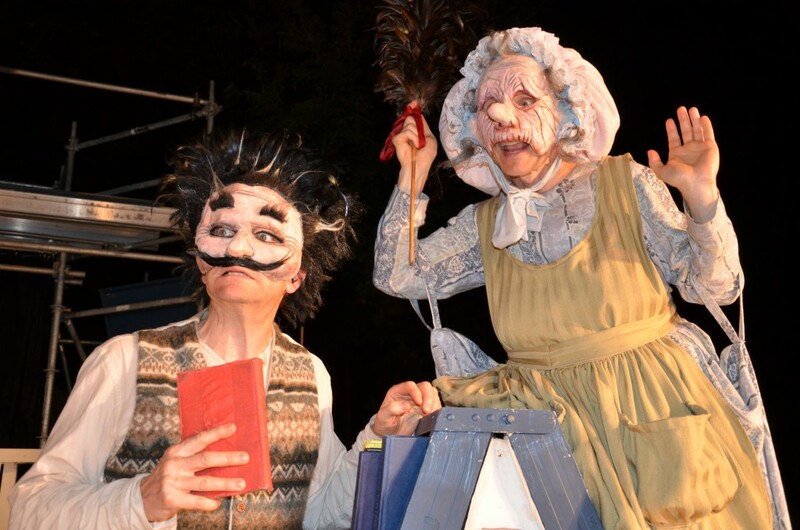 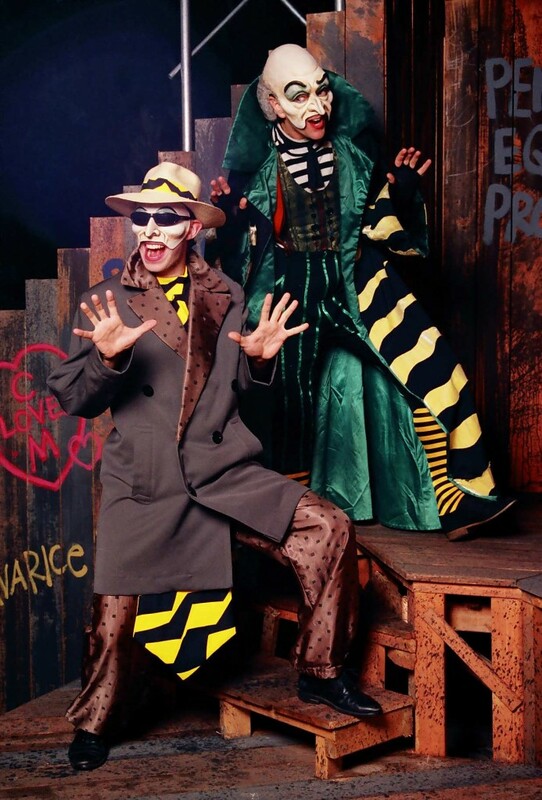 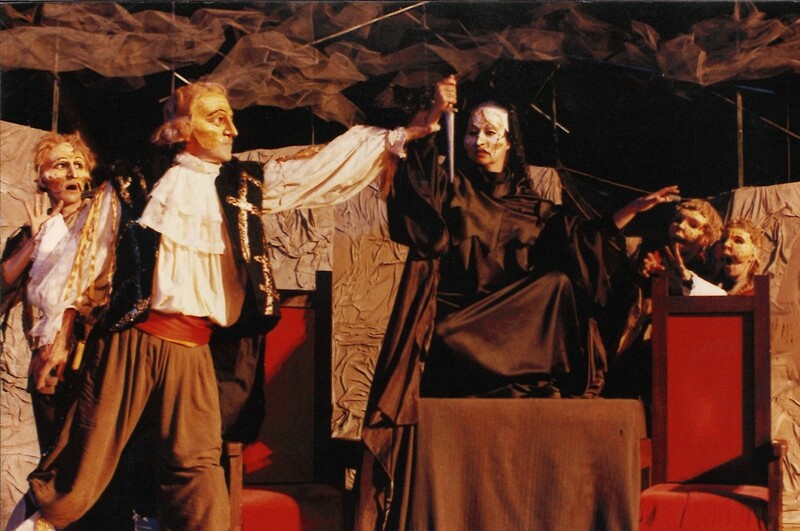 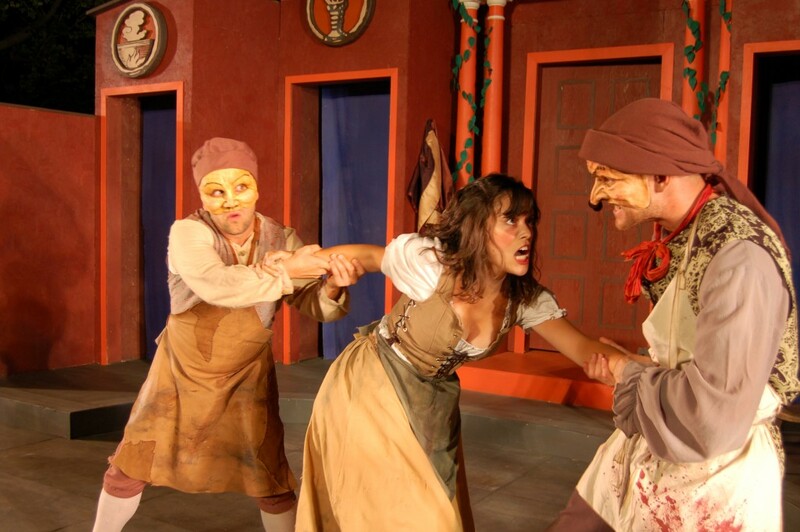 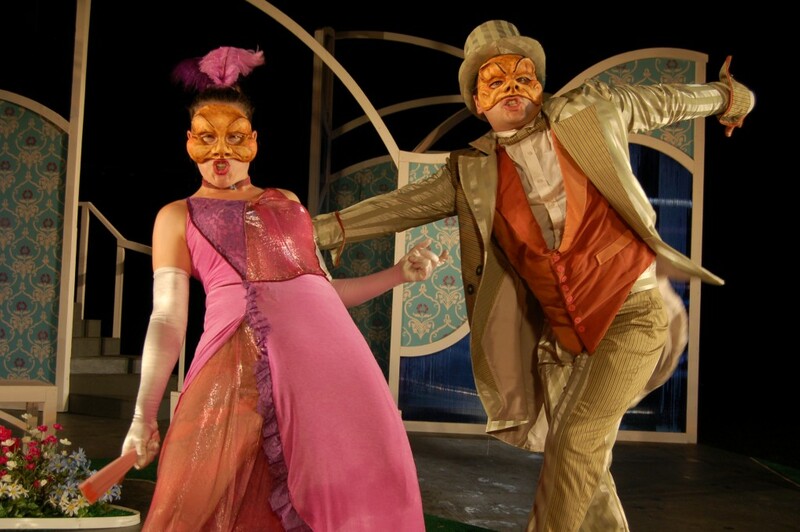 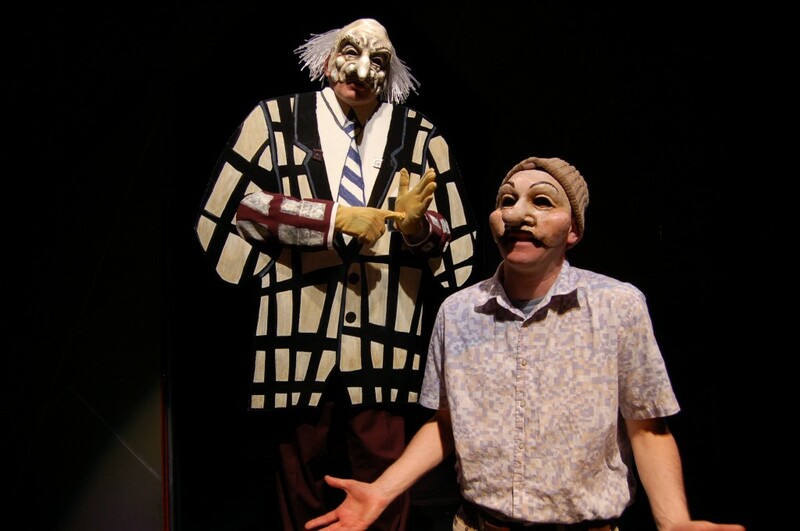 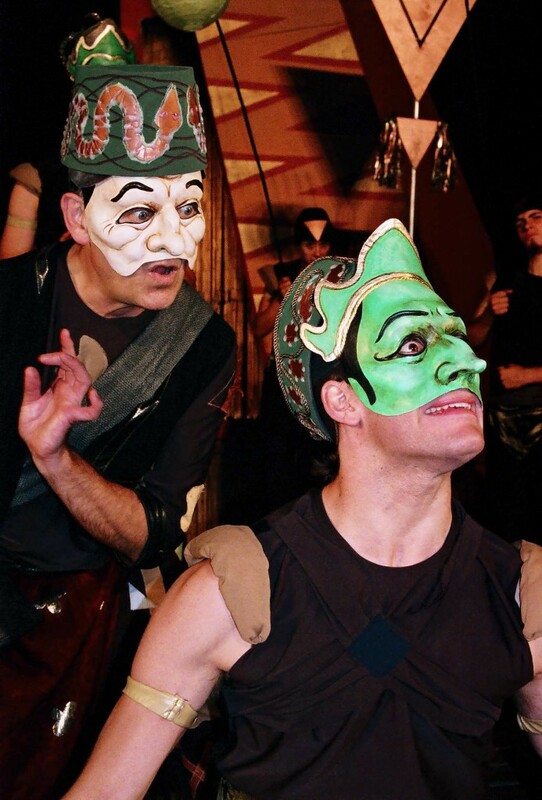 An evening of three plays inspired by the traditions of Spanish Commedia dell’Arte. 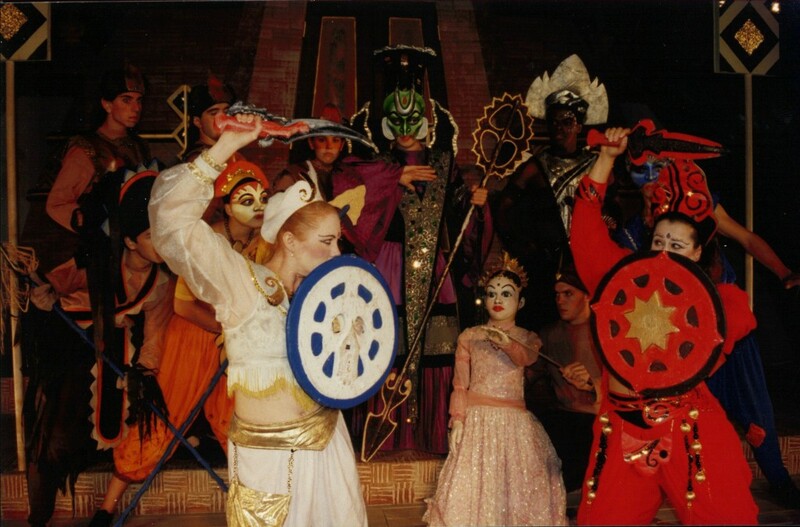 Cast Karen Knox, Dana Fradkin, Scott McCulloch, Alan K. Sapp, William Beddoe, Chandel Gamble, Mark Huisman, John Nolan. 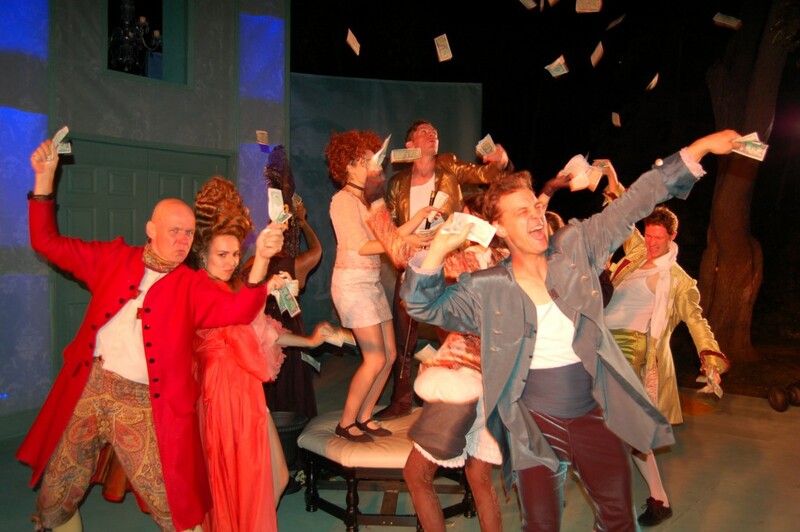 A satiric look at society filled with greedy schemers. 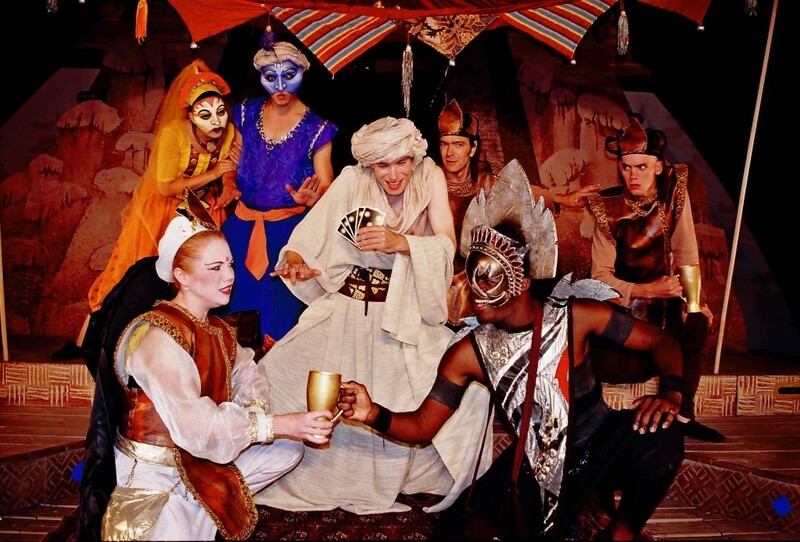 Cast Jesse Buck, Andy Massingham, Alanna Bale, Chandel Gambles, Attila Clemann, Mark Huisman, John Doucet, Paulette Sinclair, Nichola Lawrence. 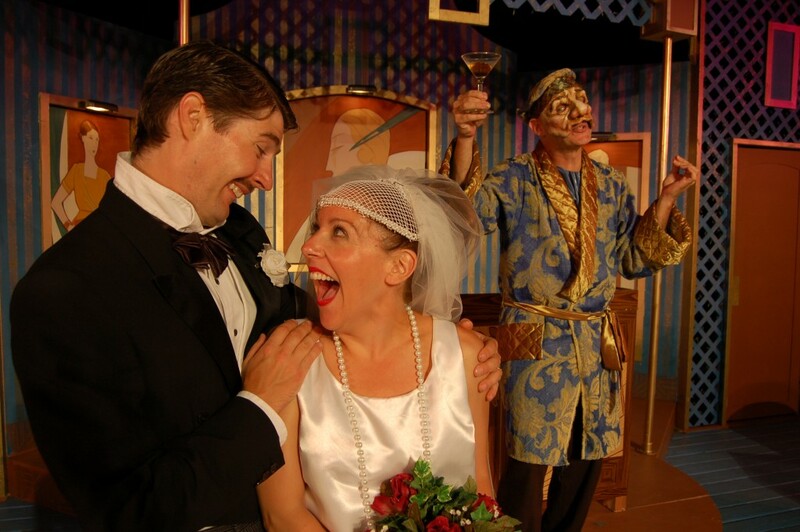 Shaw’s comedy about love and war. 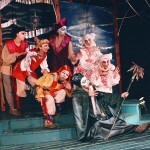 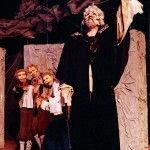 Cast Pierre Brault, David Warburton, Philippa Leslie, Doreen Taylor-Claxton, Claire Armstrong, Attila Clemann, Dylan George. 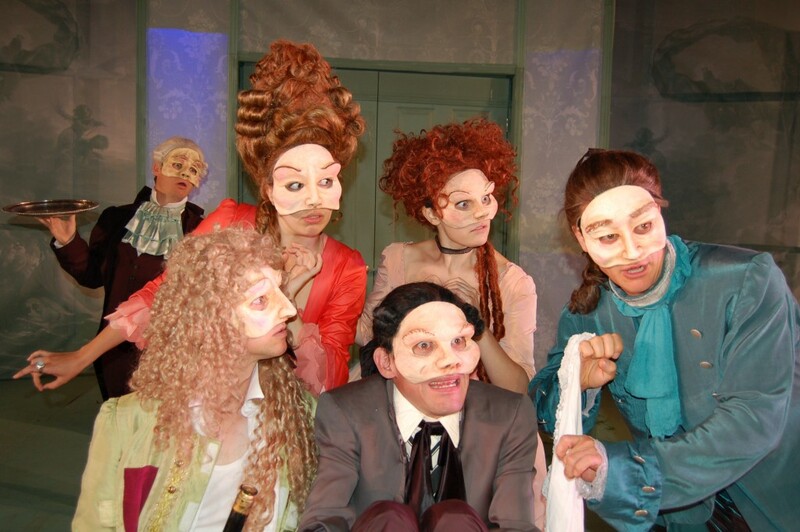 A comedy that probes the human heart as it exposes class distinctions. 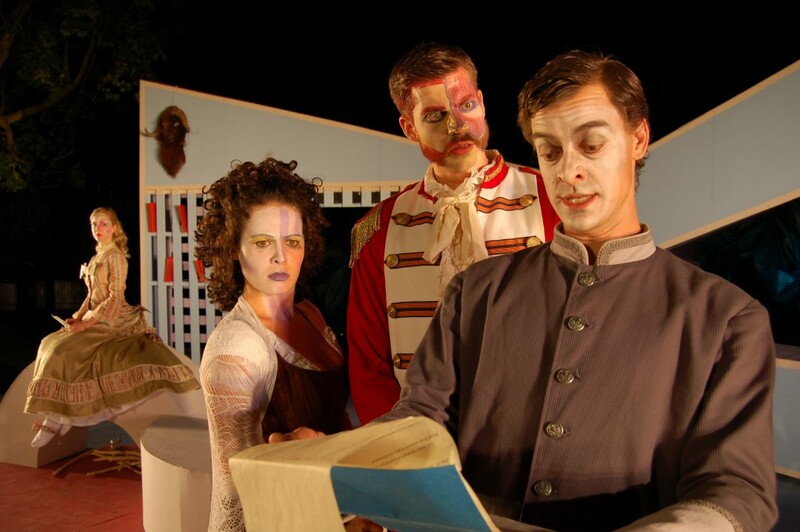 Cast Daniel Briere, Stephanie Isaac, Jodi Stevens, Chris Ralph, Zach Counsil, Evan Dowling. 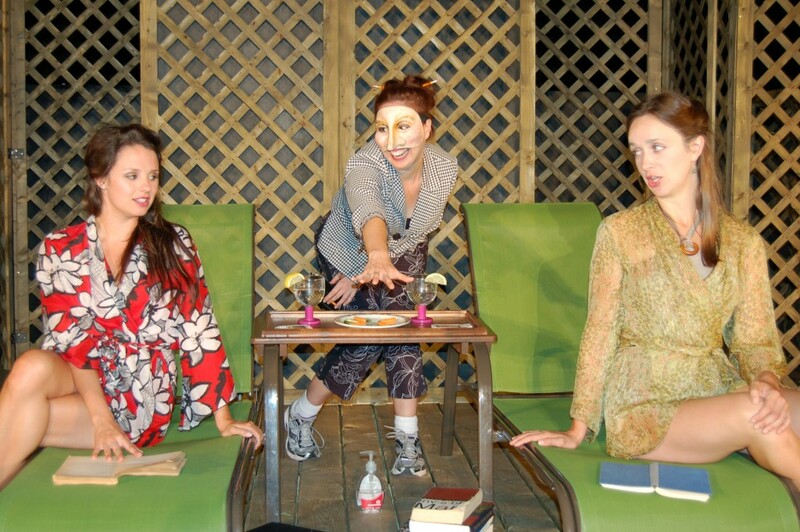 A riotous, tender, angst-ridden exploration of small town machinations. 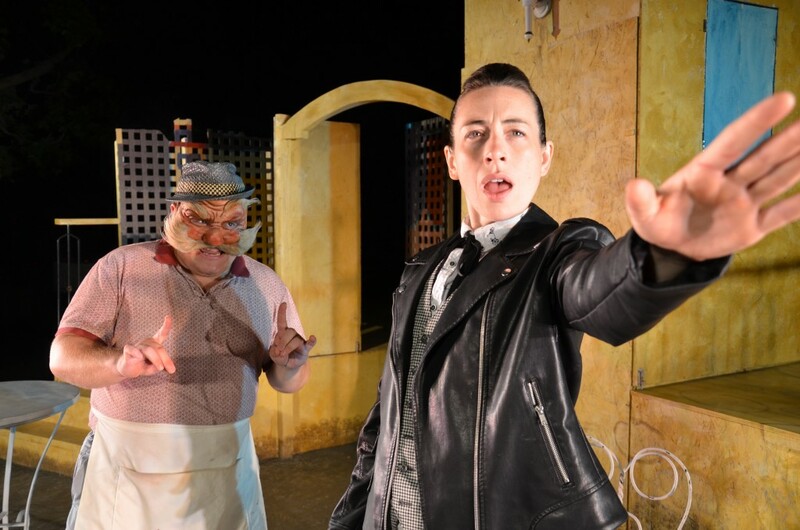 Nominations: Prix Rideau Awards for Outstanding Production, Direction – David S. Craig, Female Performance – Rose Napoli, Male Performance – Andy Massingham. 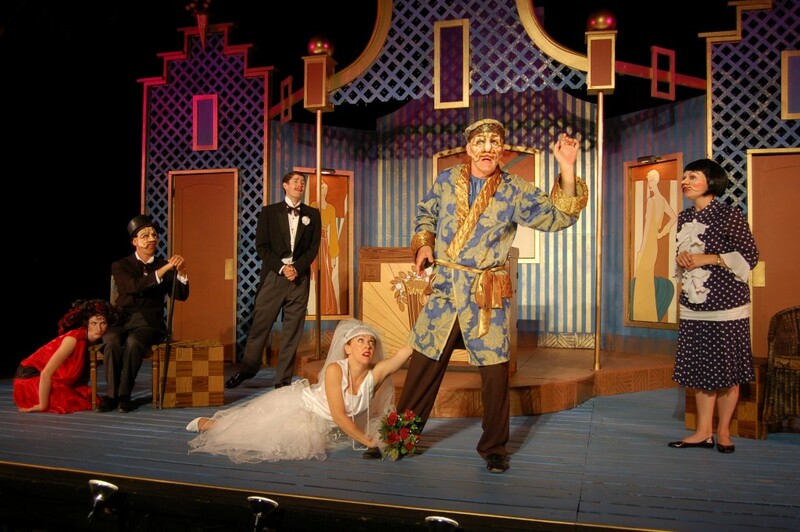 Capital Critics Circle Awards for Best Professional Production. 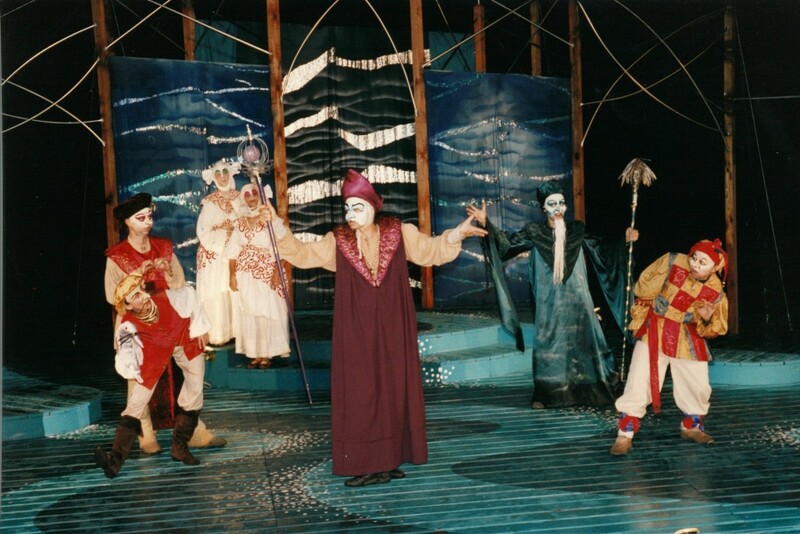 Cast Andy Massingham, Pierre Brault, Alix Sideris, Nicolas Van Burek, Robin Craig, Brad Long, Rose Napoli, Jay T. Schramek, Kaitlyn Semple, Michael Showler. 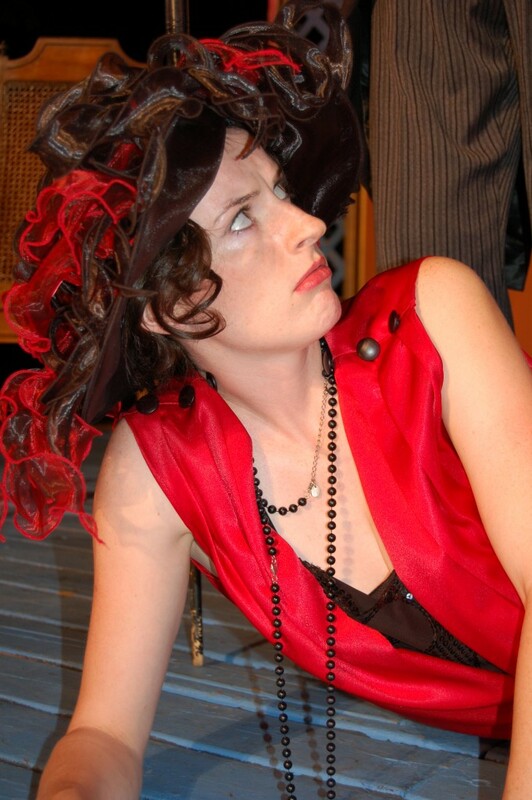 Janet Irwin’s exploration of love and commitment in the age of consumerism. 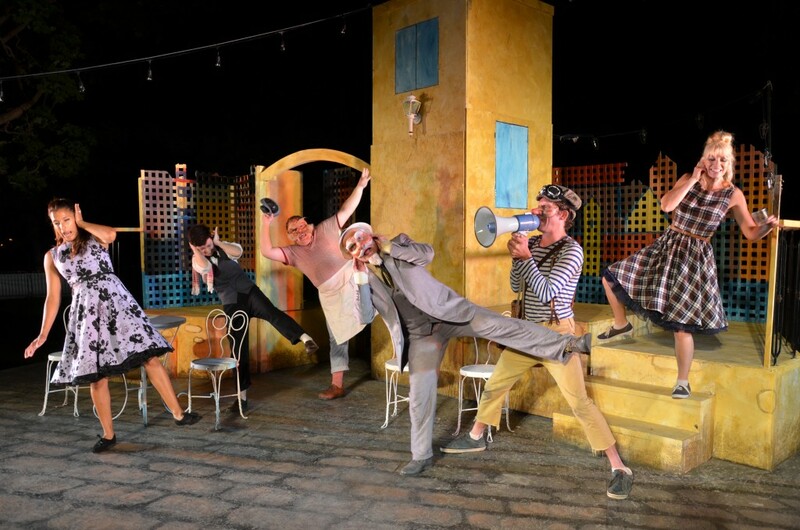 Cast Ben Clost, Kelly Rigole, Andy Cockburn, Emma Hunter, Charlotte Gowdy, Matt O’Connor. 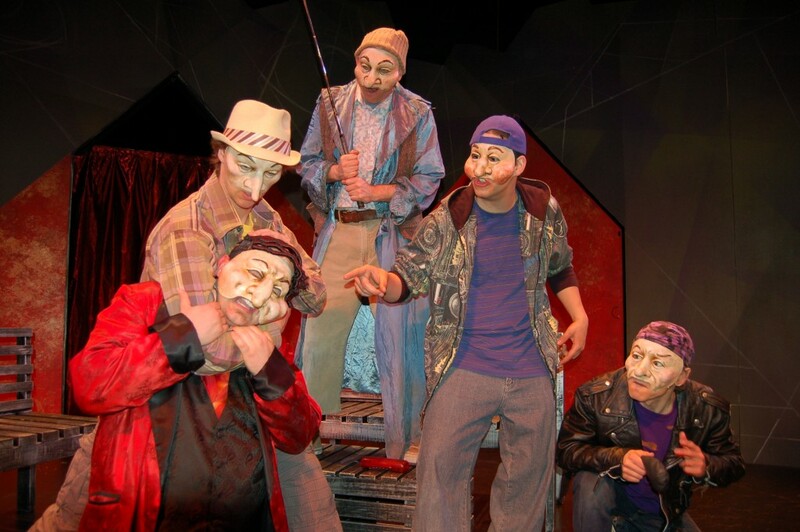 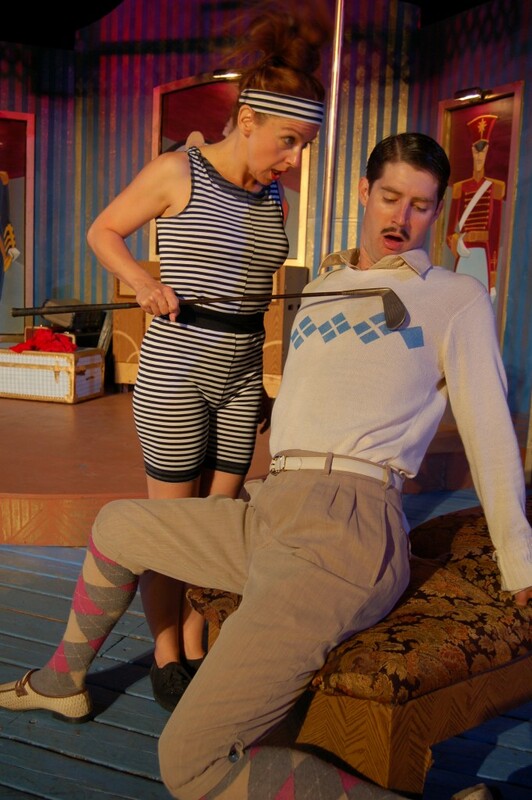 An original contemporary social satire, and Odyssey’s first indoor production co-produced with Gladstone Theatre. 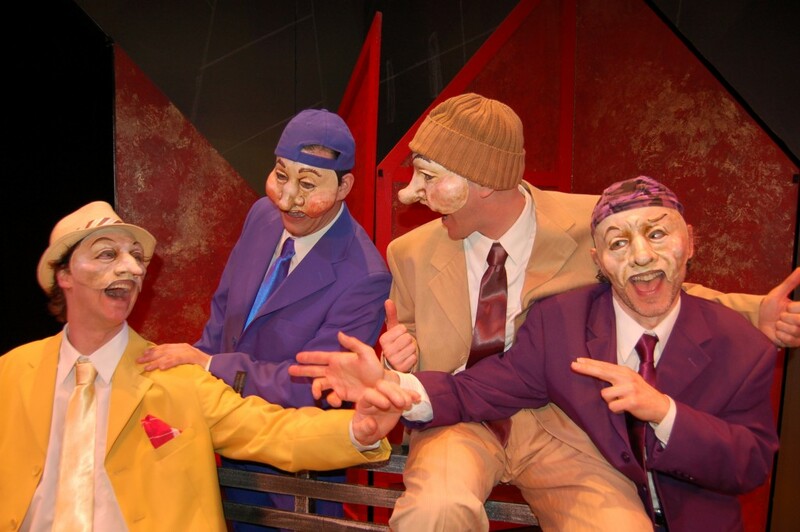 Cast Nicholas Di Gaetano, Scott McCulloch, Cory Doran, Scott Florence, Mark Huisman, Alex Guard, Thea Nikolic. 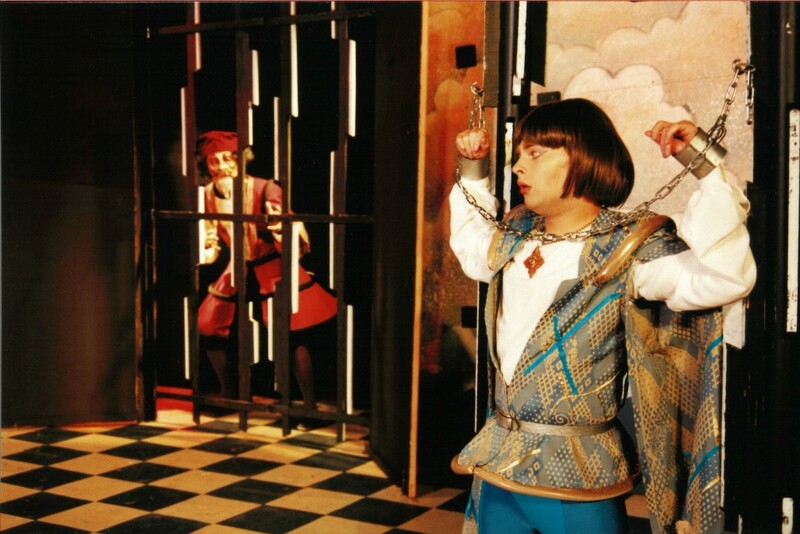 Even the best laid plans are thwarted. 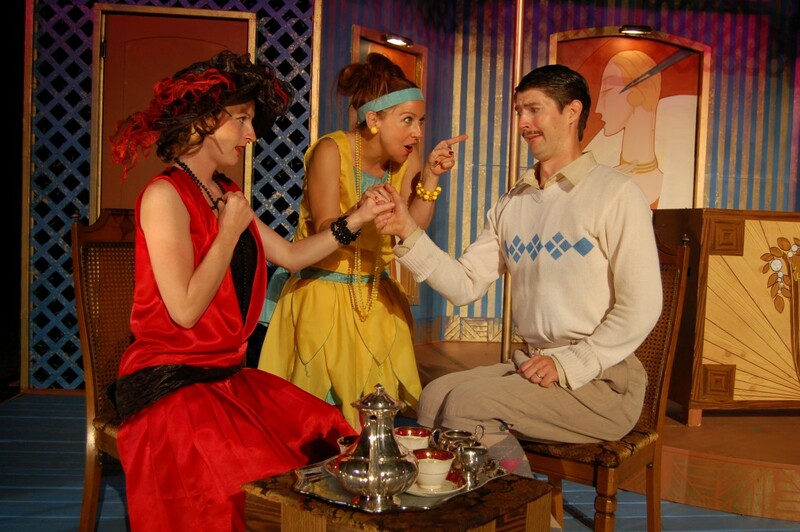 A whirlwind of comic misunderstandings of P.G. 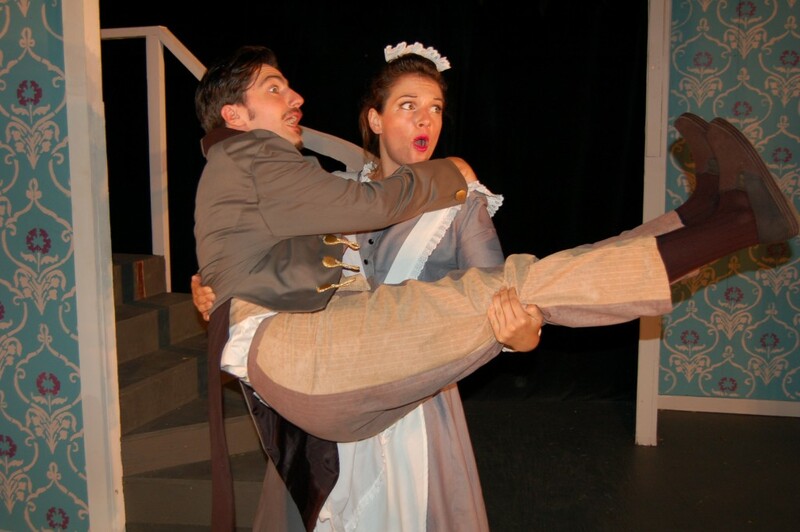 Wodehousian proportions! 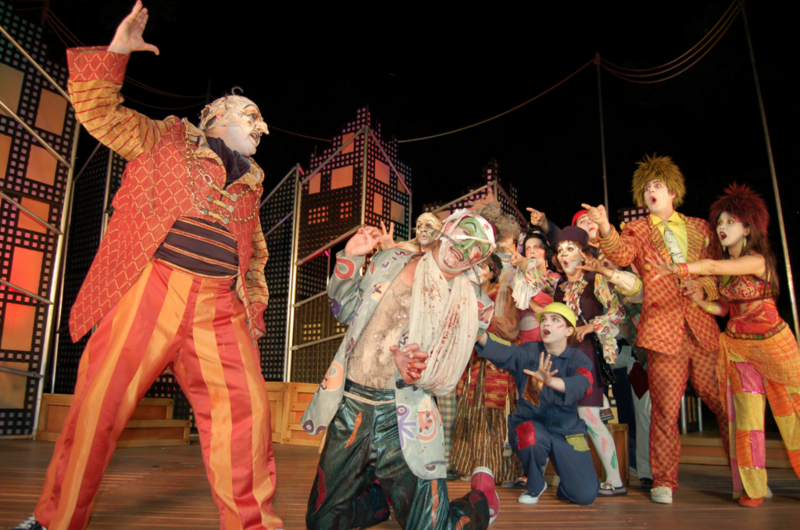 Cast Alix Sideris, Andy Massingham, Scott Florence, Madeleine Donohue, Dylan Anthony Jukes, Thea Nikolic. 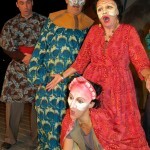 Based on a scenario by Lib Spry and material created collaboratively by the ensemble. 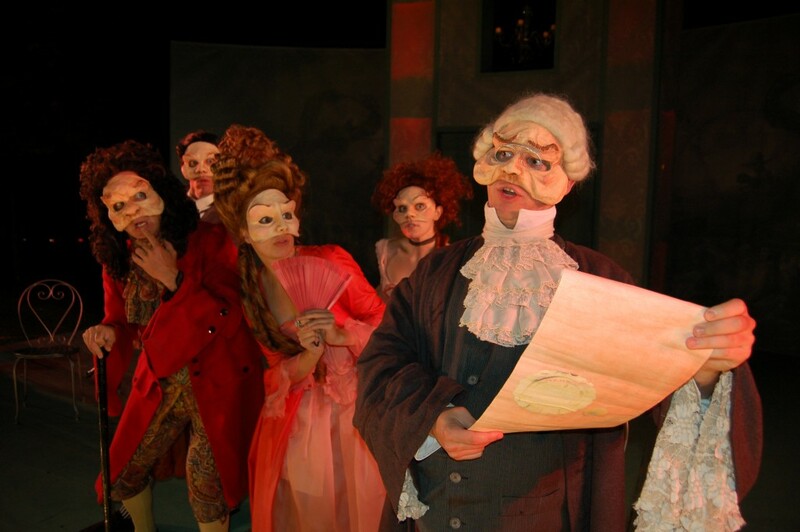 Cast Alix Sideris, Beverley Wolfe, Jesse Aaron Dwyre, Michelle Girouard, Terry Judd, Claire Frances Muir, David Shelley. 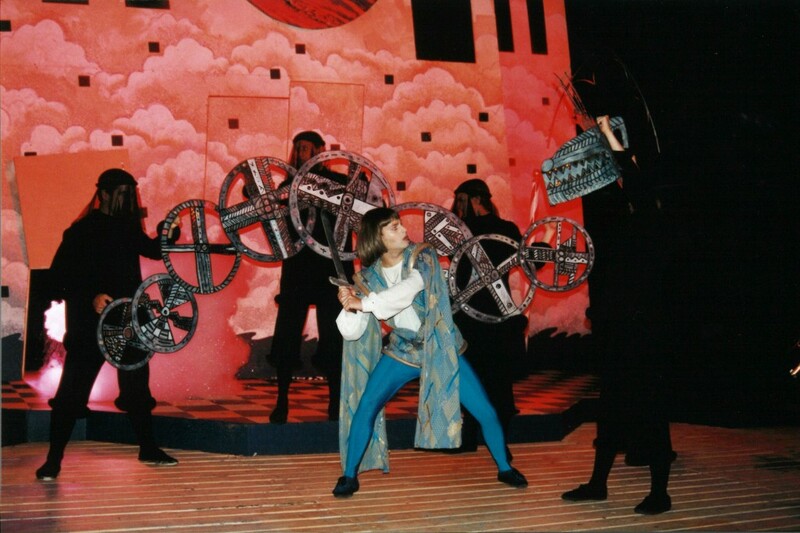 An original contemporary adaptation of this comic tale of the machinations of a rogue. 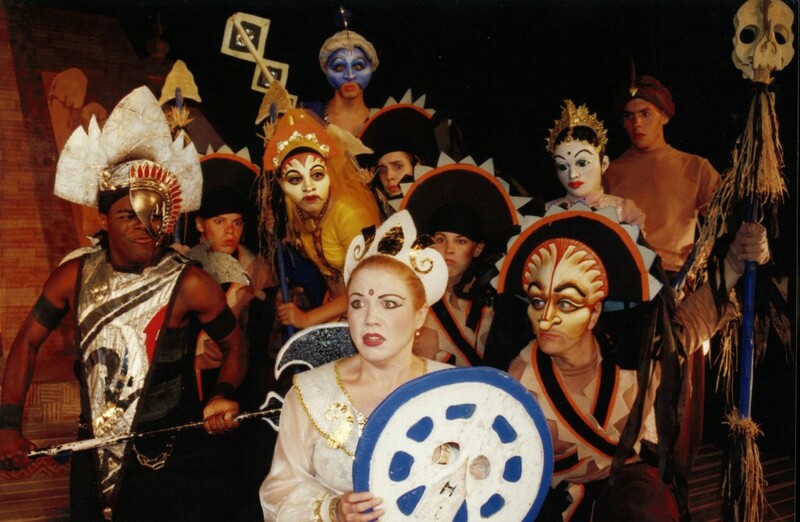 Cast Jesse Buck, Alix Sideris, Kurt Spenrath, Sarah Joy Bennett, Mark Huisman, Kevin Kincaid, Dykan Jukes, Thea Nikolic, Adrienne Rogers, Fraser Mackay, Cynthia Bernstein. 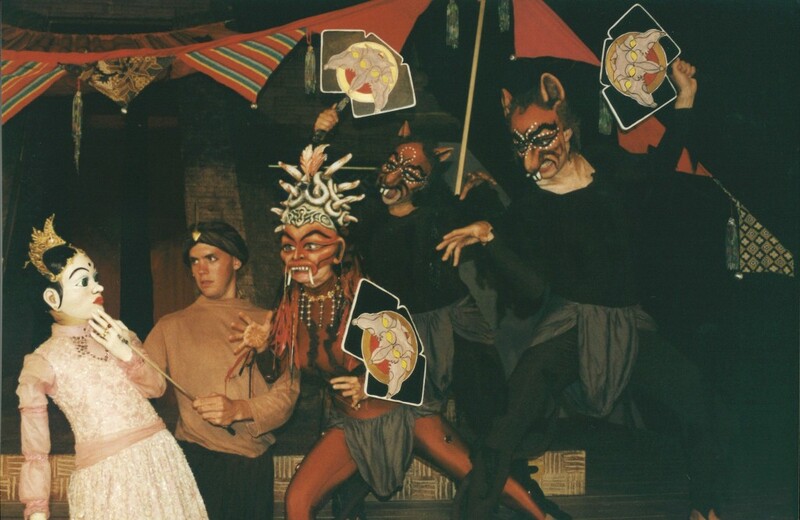 Adapted from an Indonesian shadow puppet play translated by James R. Brandon, Pandam Guritno Siswoharsojo, and Stephen R. Alkire. 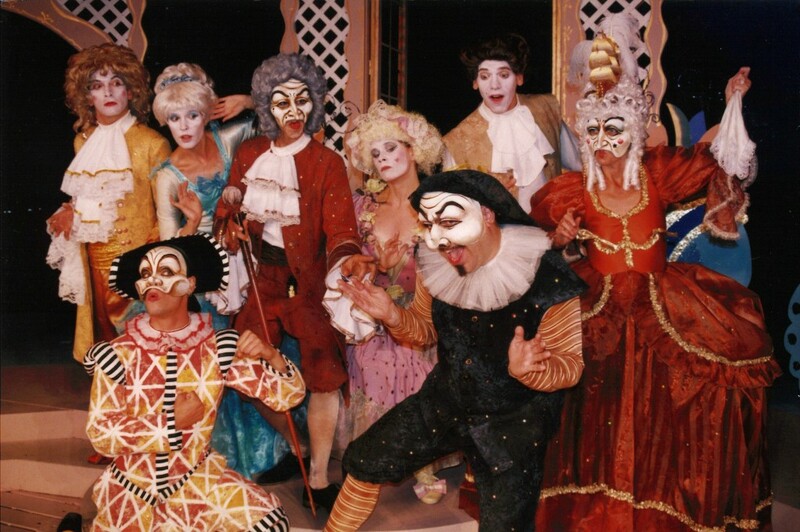 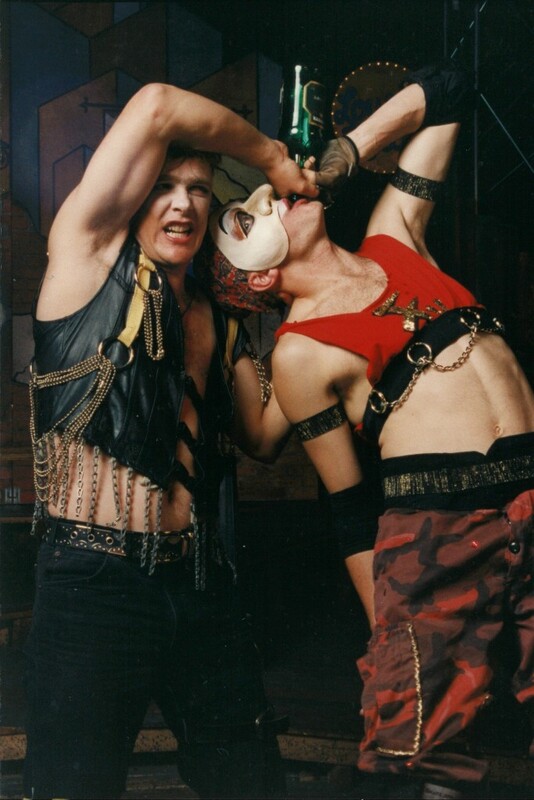 Cast Alix Sideris, Pierre Simpson, Scott Maudsley, Marc Bendavid, Nathalie Baroud, Terry Judd, David Langlois, Mark Huisman, Craig Burnatowski. 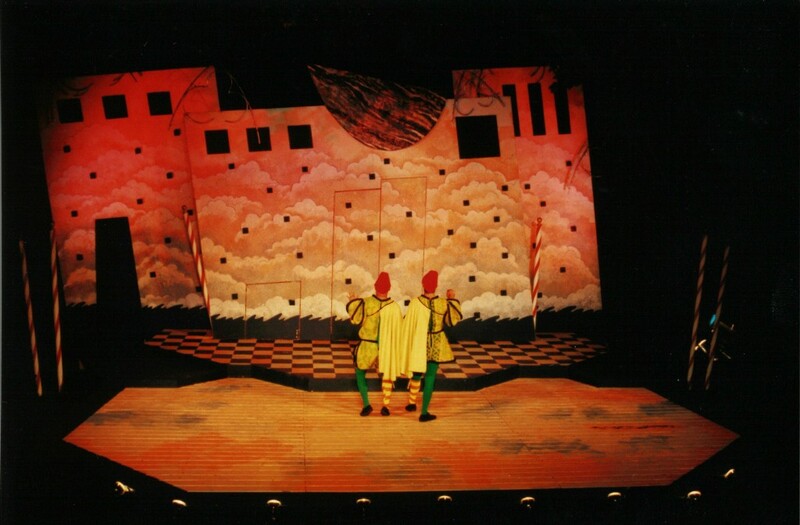 Adapted from Pierre Corneille’s L’Illusion Comique. 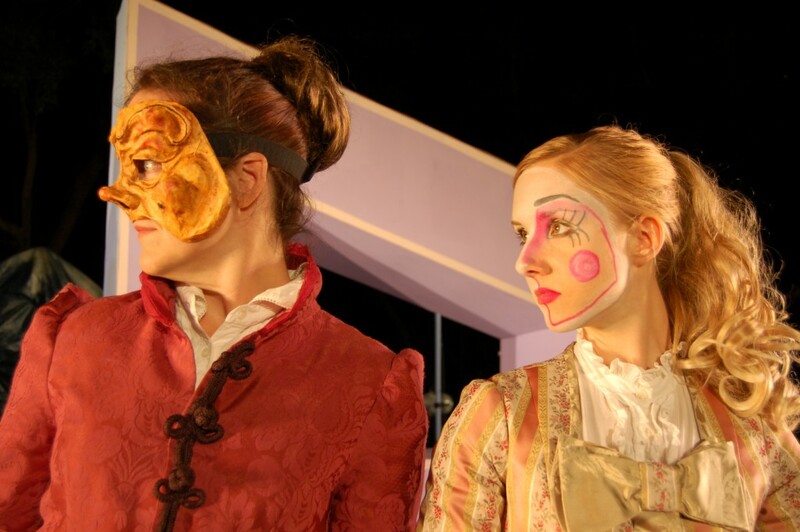 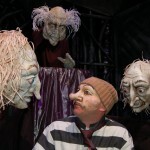 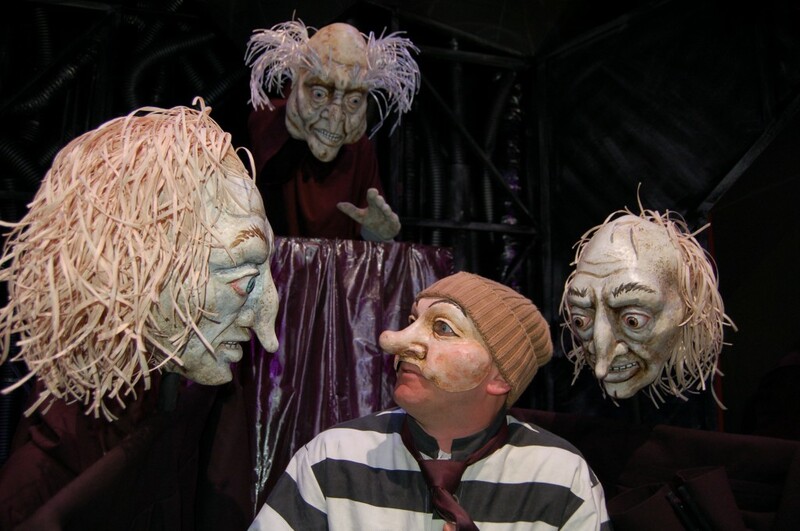 A complex exploration of the intersections between illusion and reality, and life and theatre. 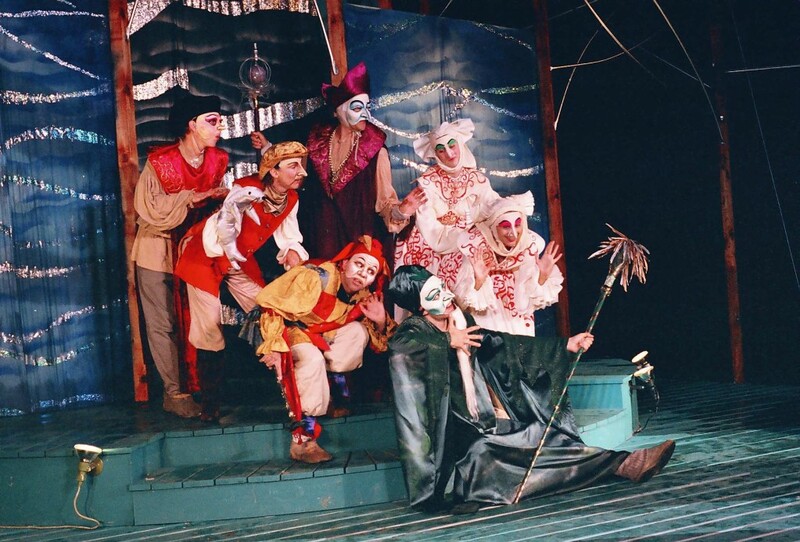 Cast Jeffrey Aarles, Alix Sideris, Anand Rajaram, Nicky Brodie, Mark Huisman, Michelle Girouard, Attila Clemann, William Beddoe. 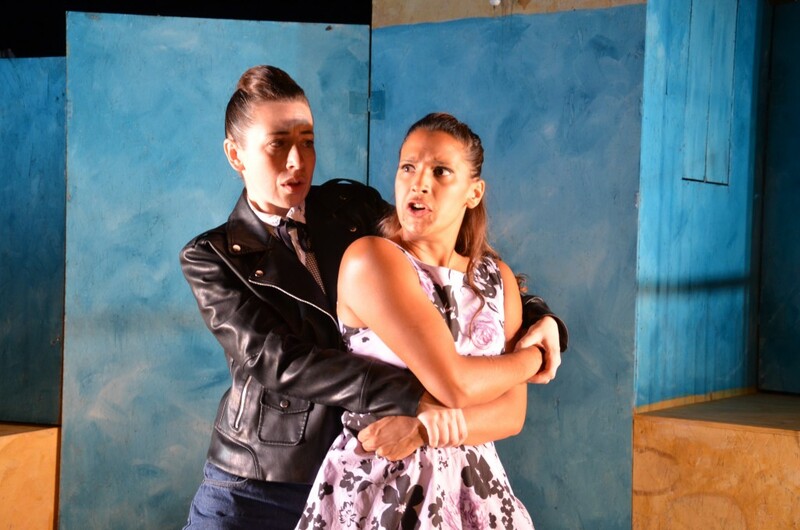 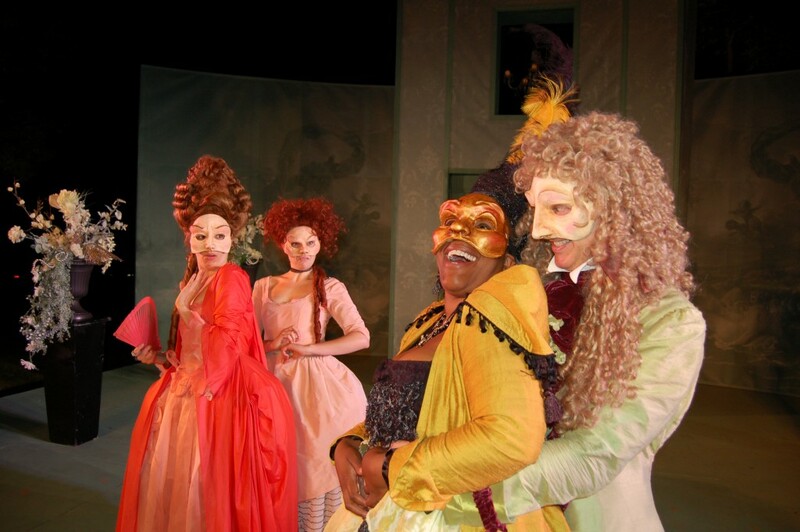 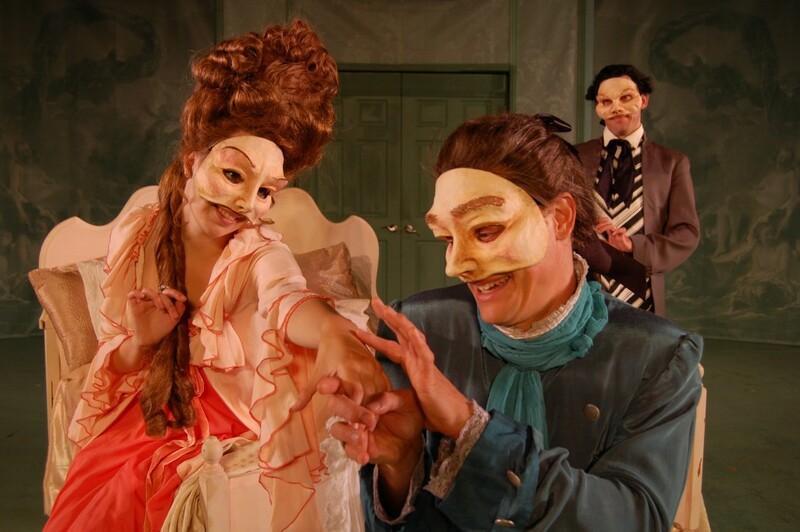 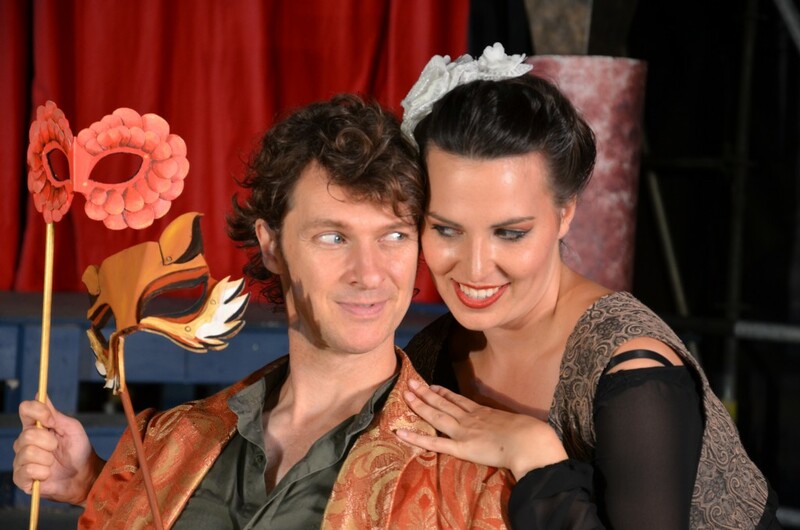 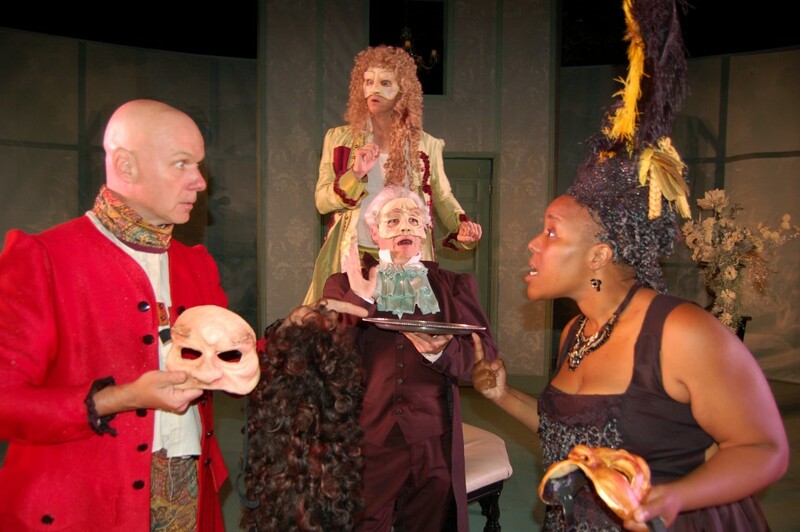 An original version of Marivaux’s penetrating exploration of love and the art of seduction. 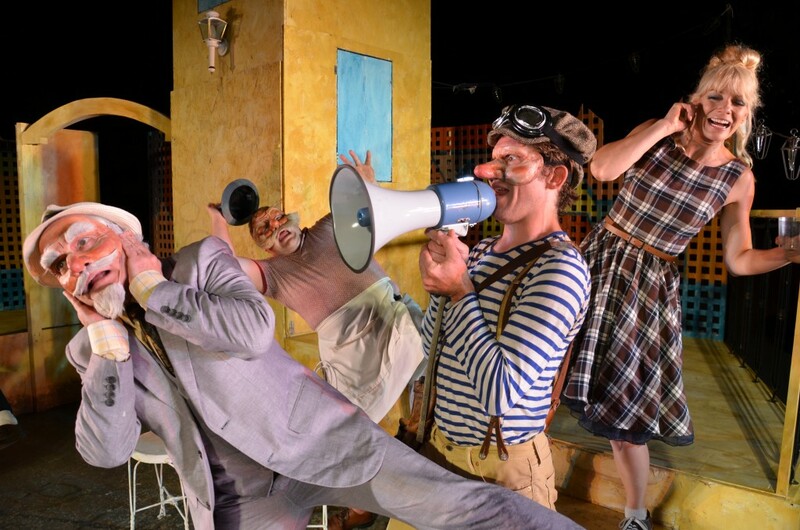 Cast Guislain Turcotte, Paul Griffin, Andrew Morphew, Jordan Hancey, Amy Cunningham, Birgitte Solem, Kim Renders, William Beddoe, Mary Shearman, Nathan Swartz, Allison Patterson. 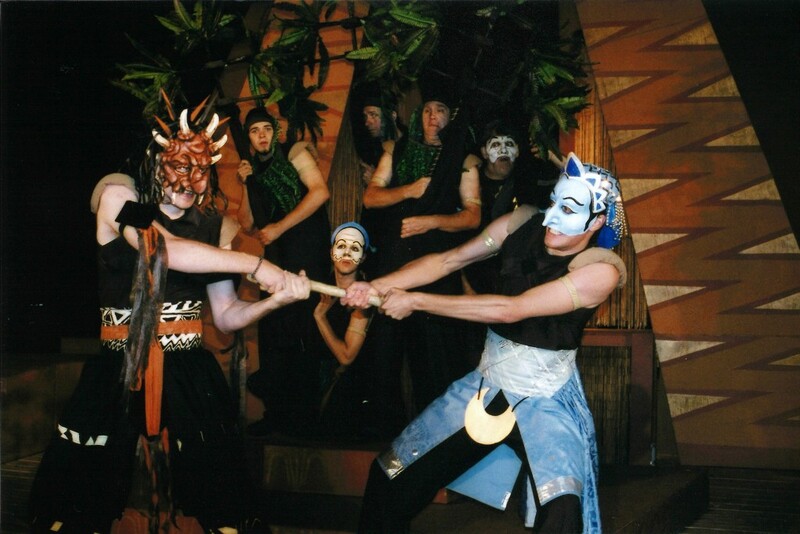 Cast Alix Sideris, Paul Griffin, Brendan McClarty, Kyle Horton, Nathalie Baroud, Brendan McClarty, Andrew Morphew, Jordan Hancey, David Marta, Mary Shearman, Cassandra Silver, Lawren Taylor. 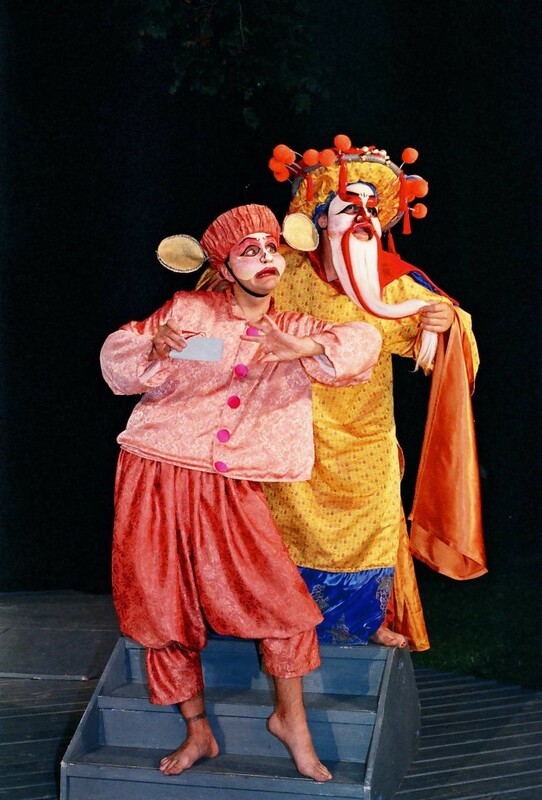 An original romance inspired by an Indian folktale about the war between two sisters to divide a kingdom. 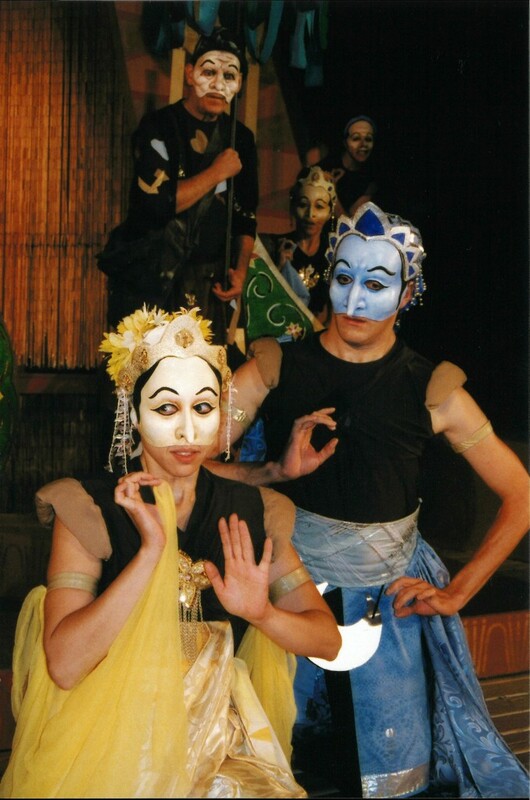 Staged integrating elements of Indian Kathakali. 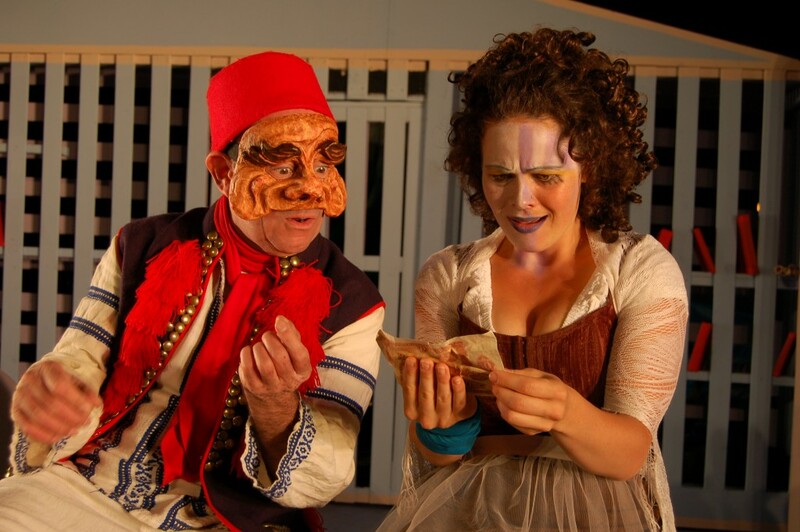 Cast Jesse Buck, Beverley Wolfe, Jeffrey Aarles, Andrew Morphew, Robert Ross Parker, Susan Bonham, Sarah Chrétien-Melbourne, Lincoln Shand, Lisa Norton, Sarah Joy Bennet, Lindsay Milligan, Allison Patterson, Alistair Cheng, Matt Nemer, Andrew Watson. 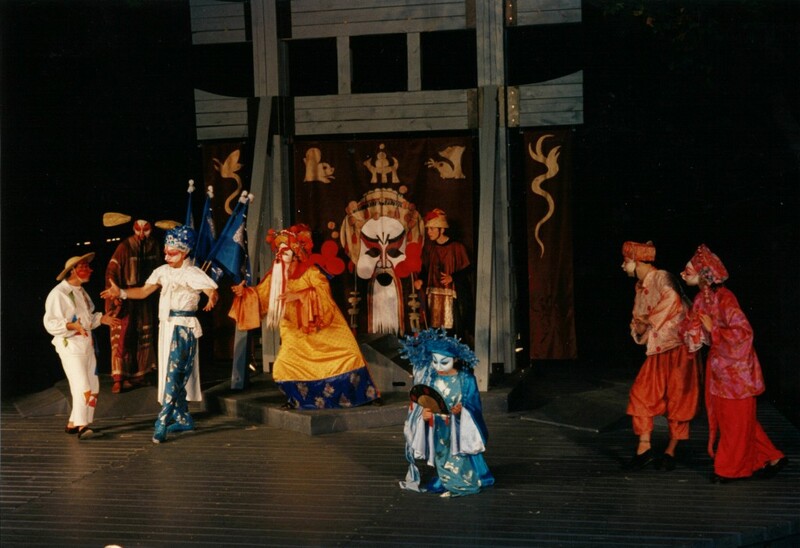 Cast Robert Ross Parker, Jeffrey Aarles, Paul Griffin, Tanya Popert, Mark Whitbread, Stephen Guy-McGrath, Paulette Sinclair, Andrew Morphew, Susan Bonham. 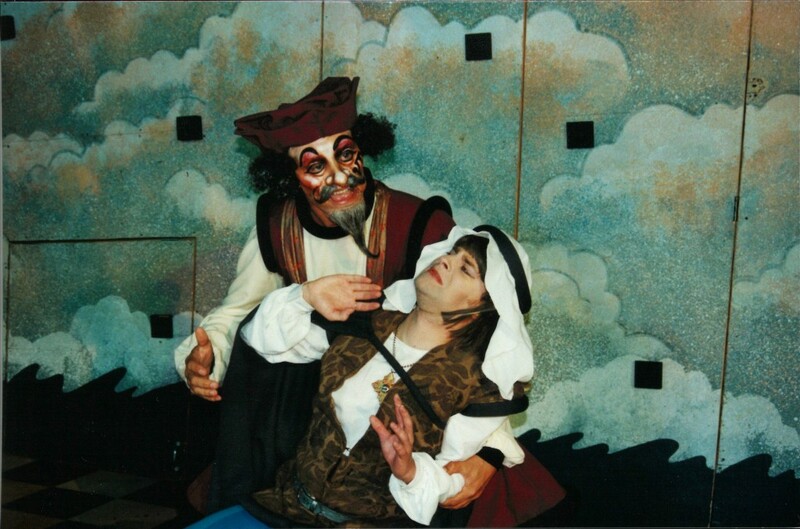 Cast Pierre Brault, Paulette Sinclair, Jeffrey Aarles, Bernard Arène, Laura Di Cicco, Mark Whitbread, Mireille Rancourt, Susan Bonham, Robert Ross Parker, Cheron Martin, Sarah Bennett, Katie Layng, Zachary Smith, Craig Desson. 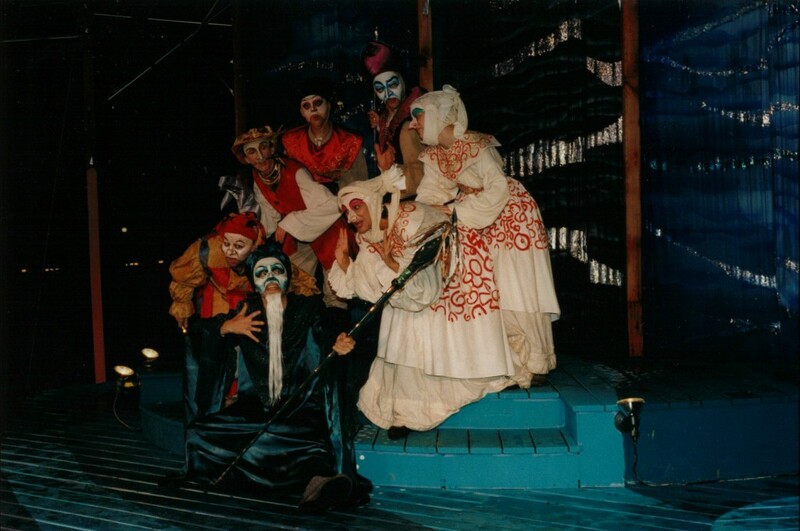 Cast Diana Fajrajsl, Laura DiCicco, Kathleen Egan, Tim Kohout, Henry Gauthier, Mark Whitbread, Mike Brunet, Bruce Spinney, Sarah Muff, Robin Black, Devon Taylor. 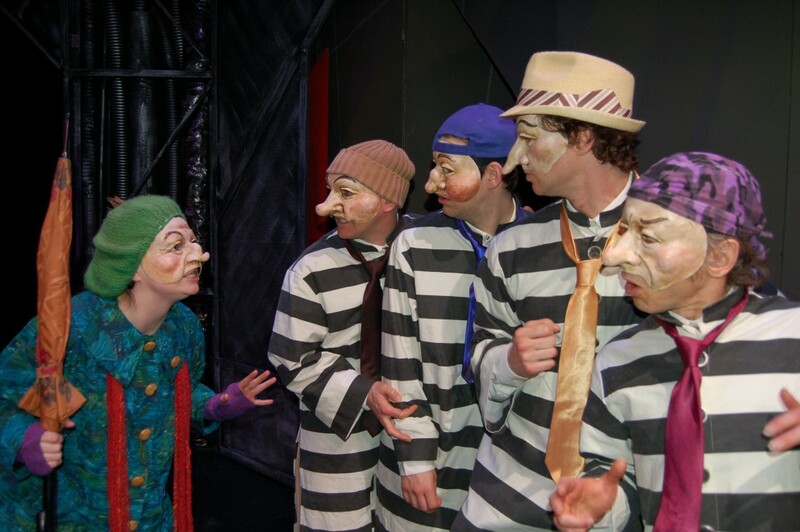 Cast Diana Fajrajsl, Steven Bush, Ross Mullan, Timothy Kohout, Bernard Arène, Bernadette Hendrickx, Mark Whitbread, Andrew Peck, T.L. 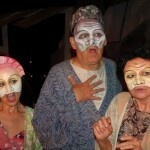 Stewart, Yurij Kis, Virginia West.